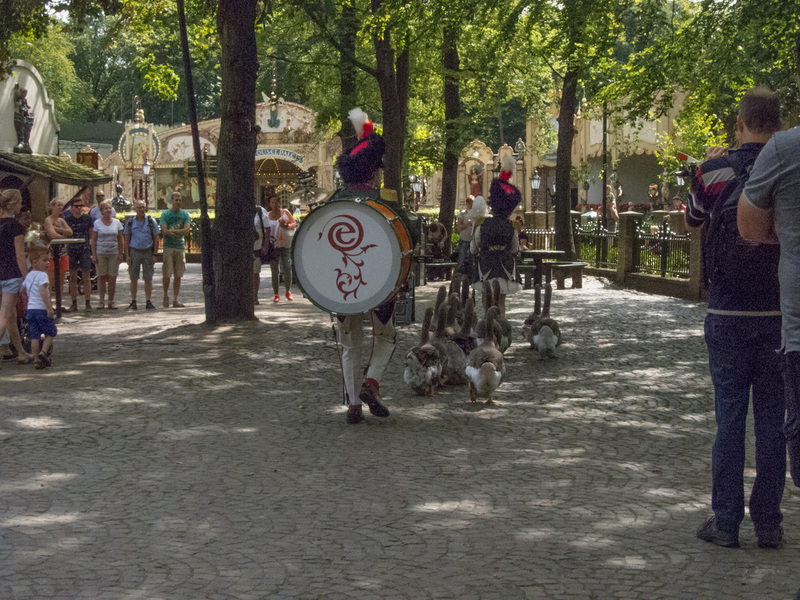 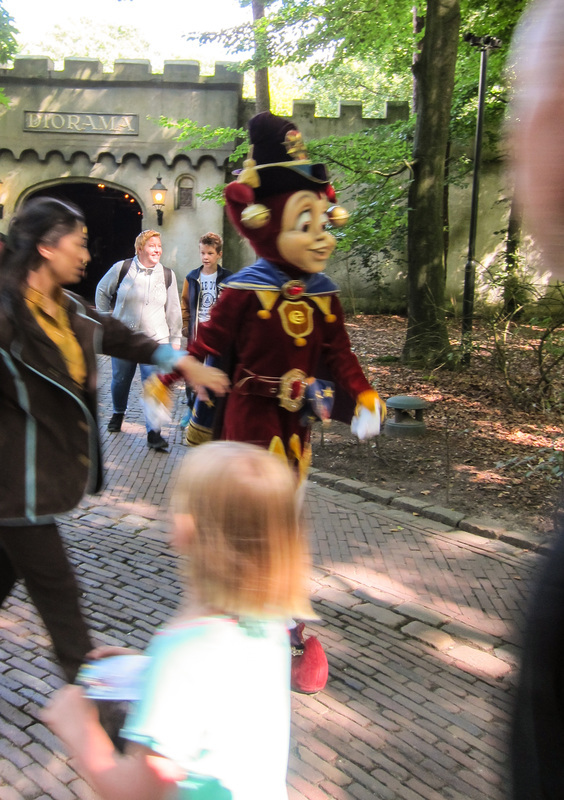 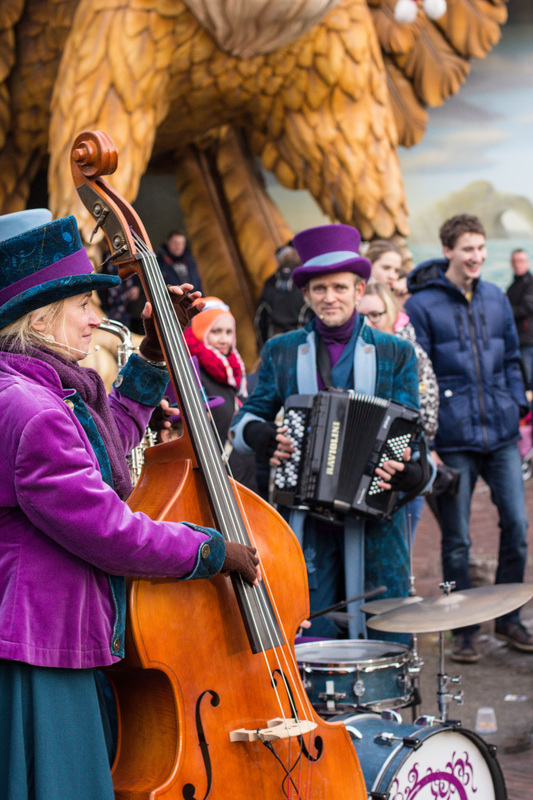 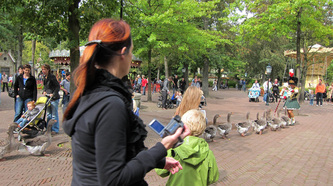 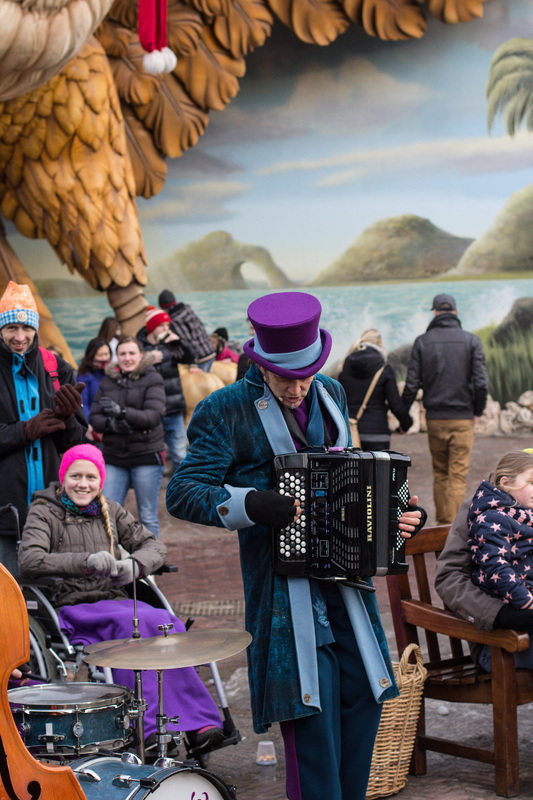 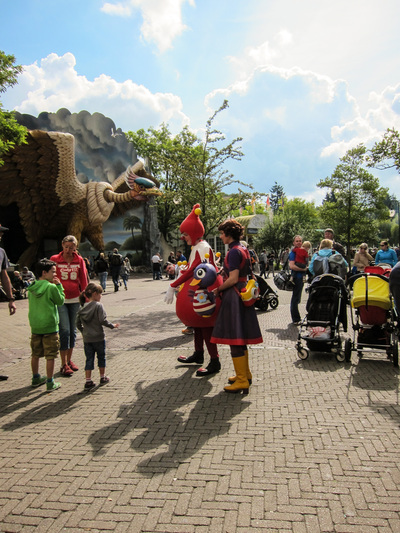 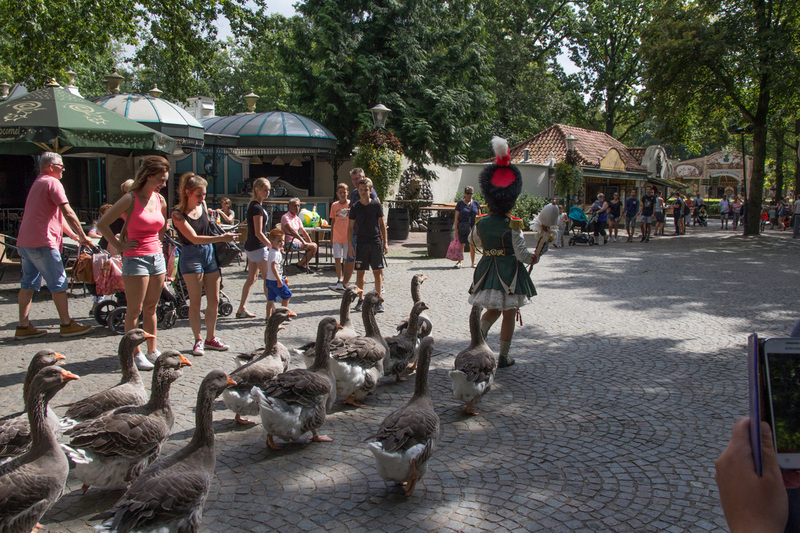 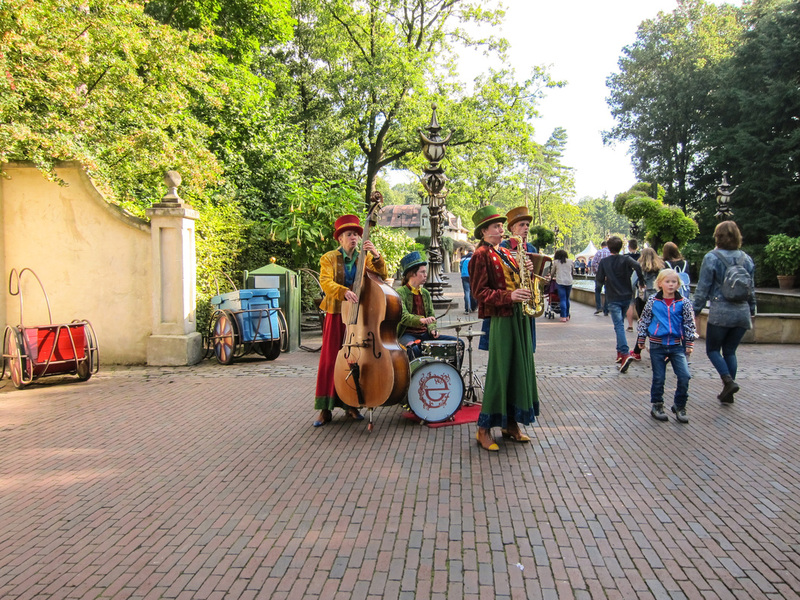 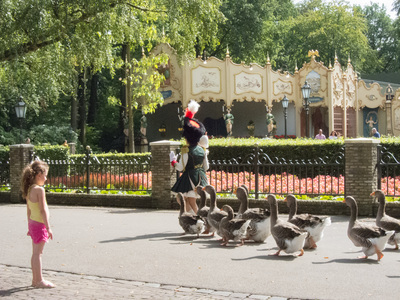 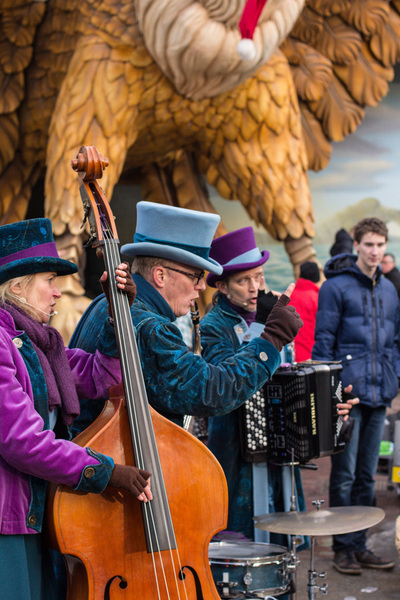 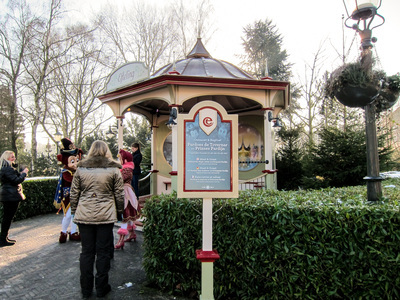 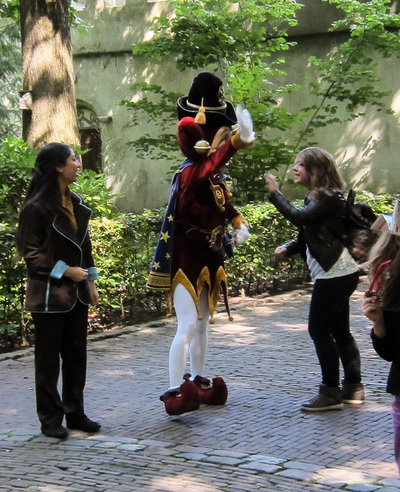 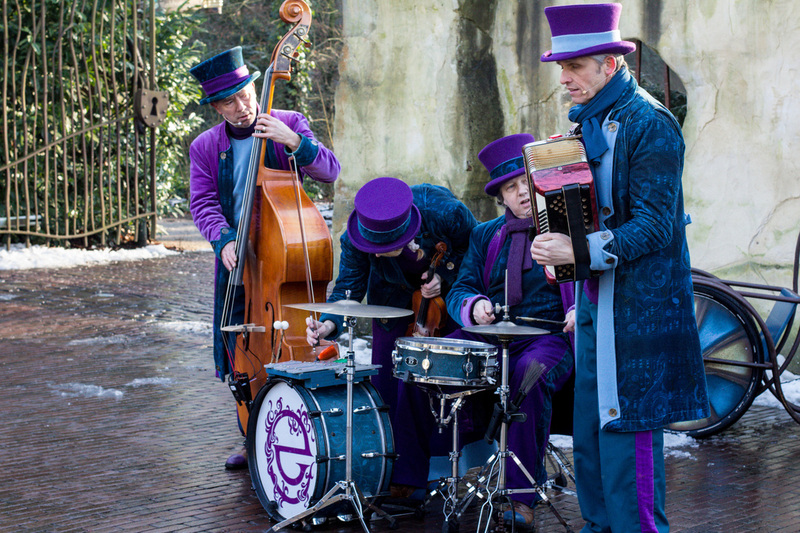 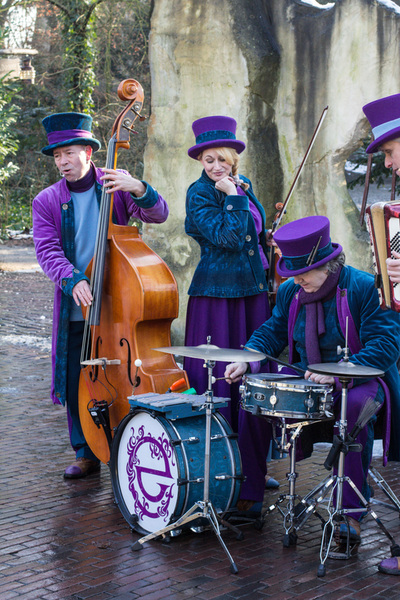 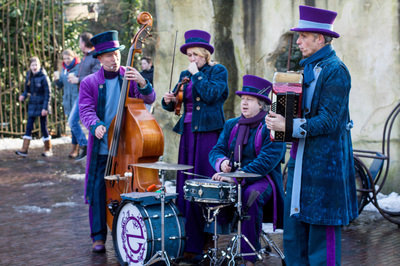 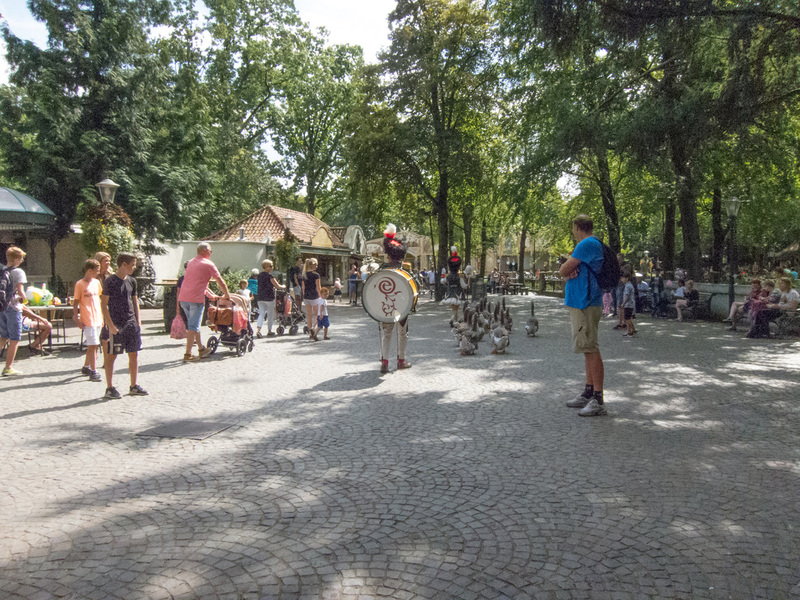 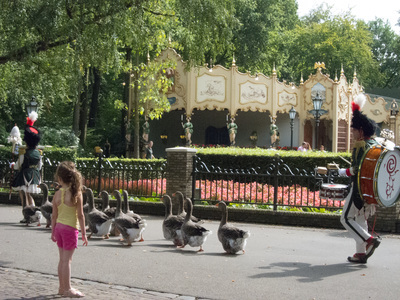 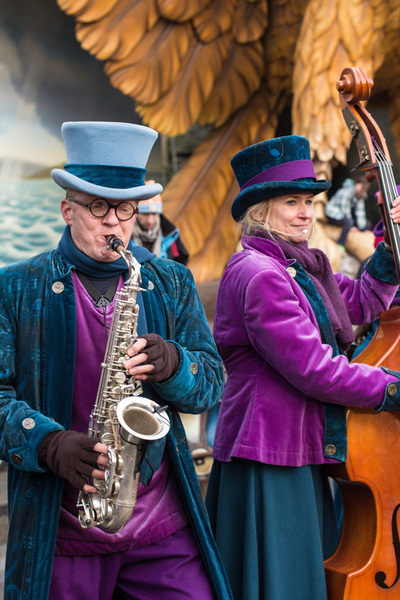 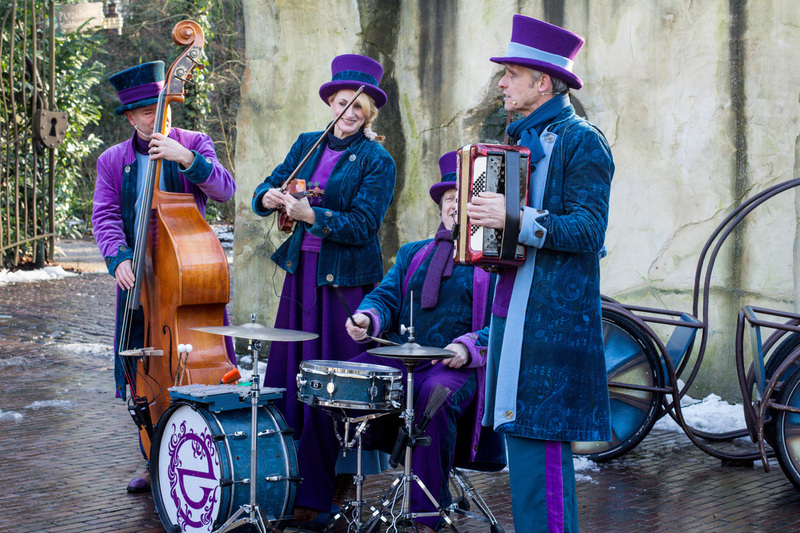 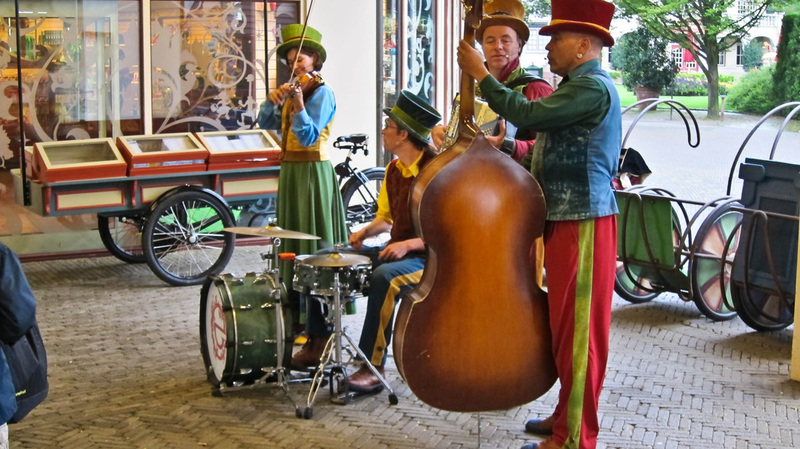 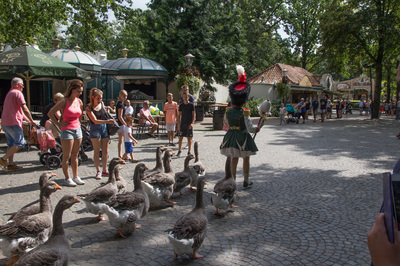 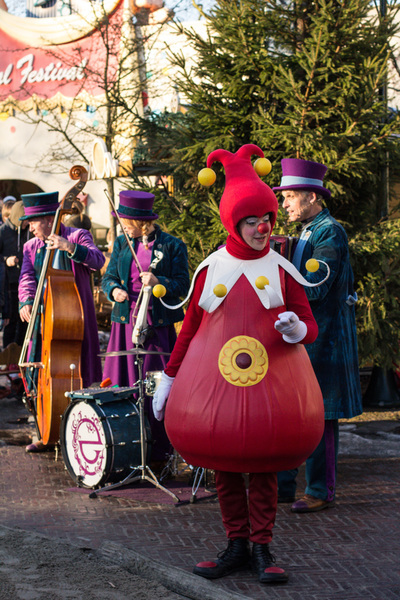 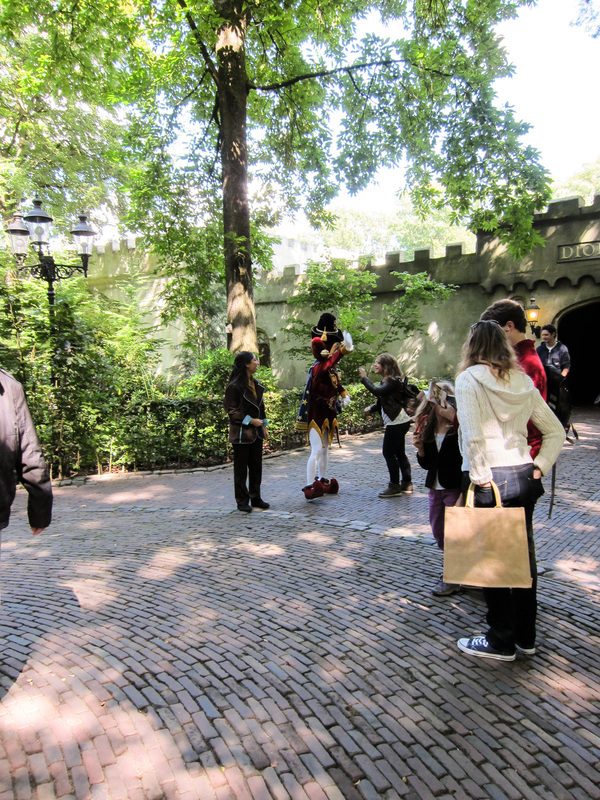 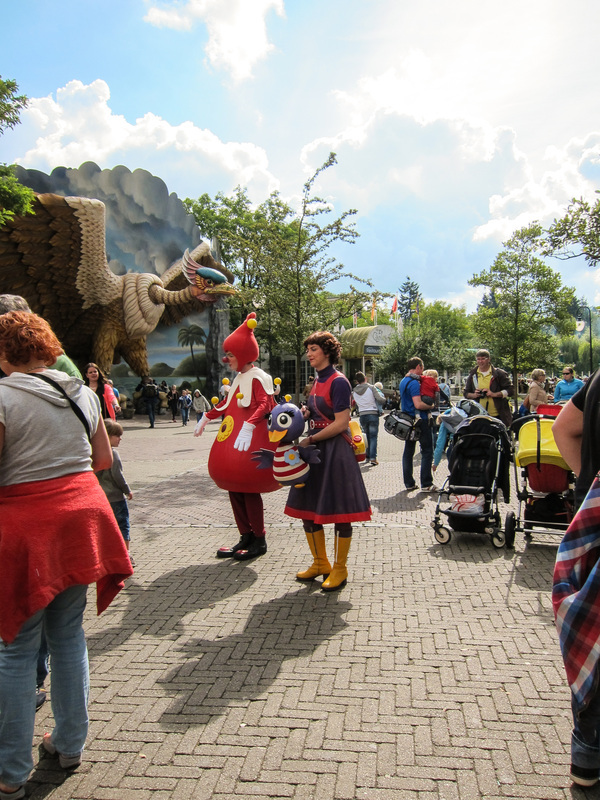 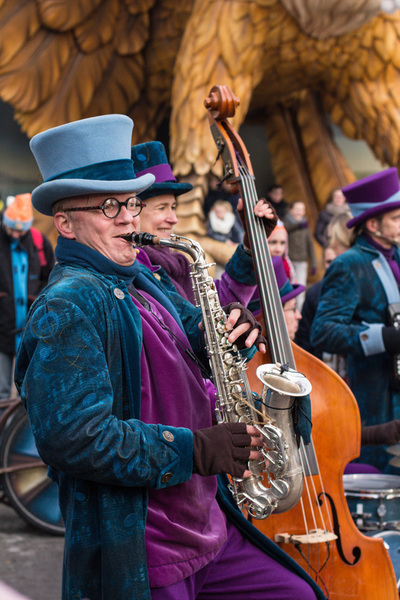 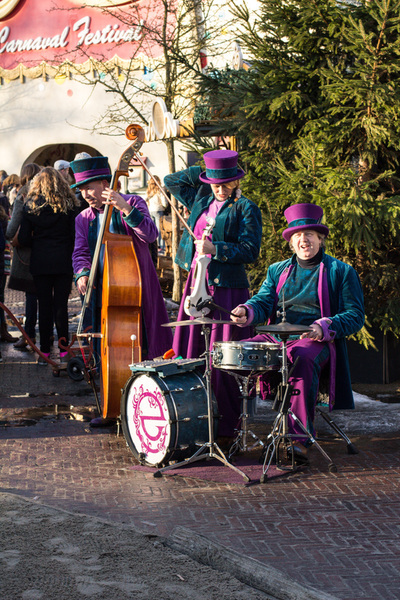 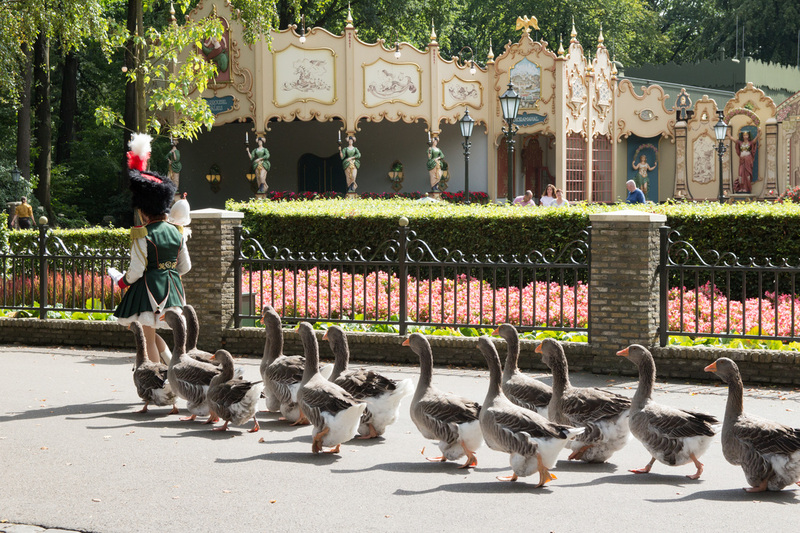 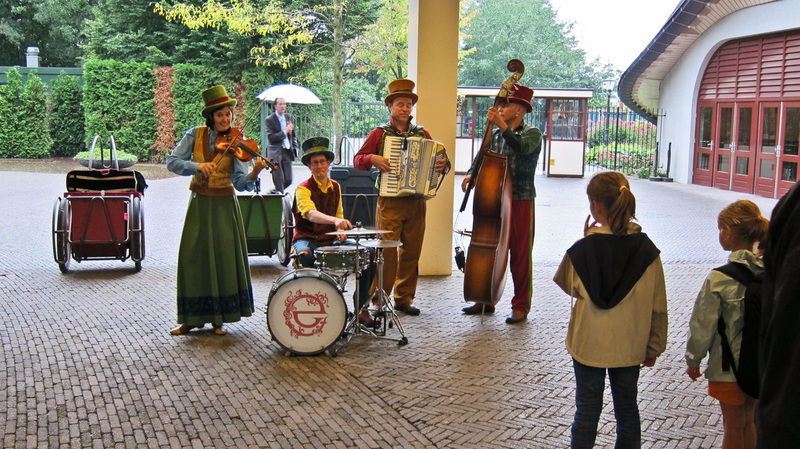 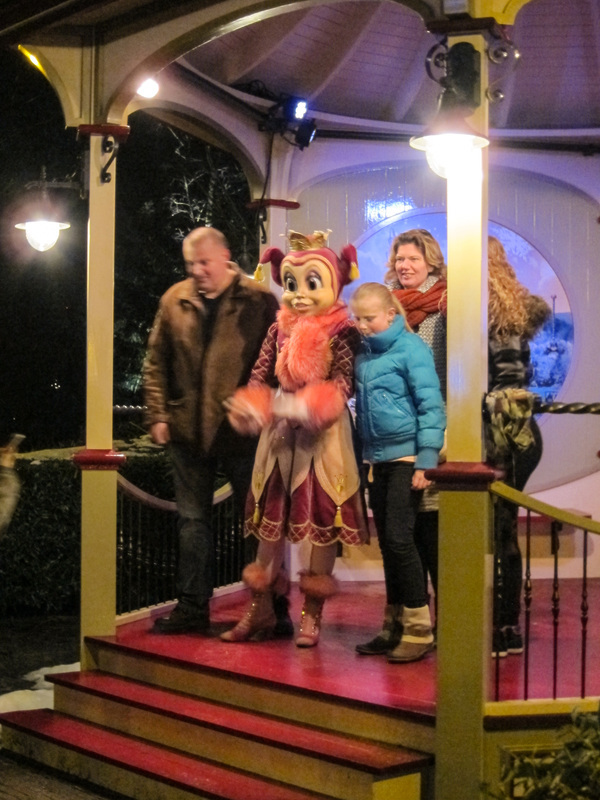 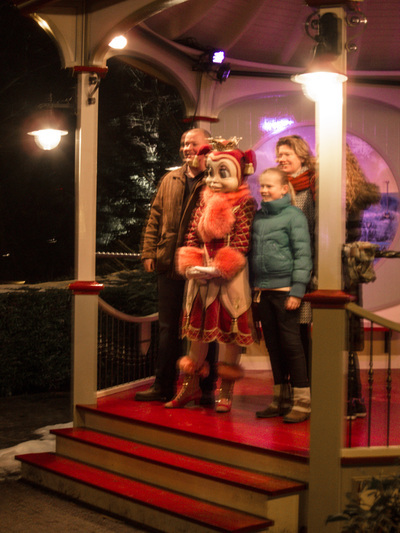 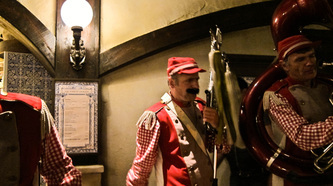 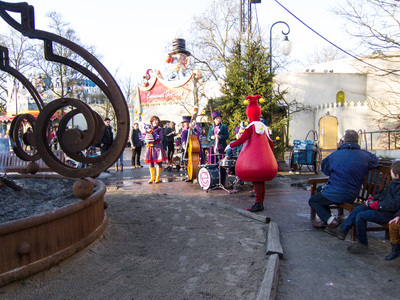 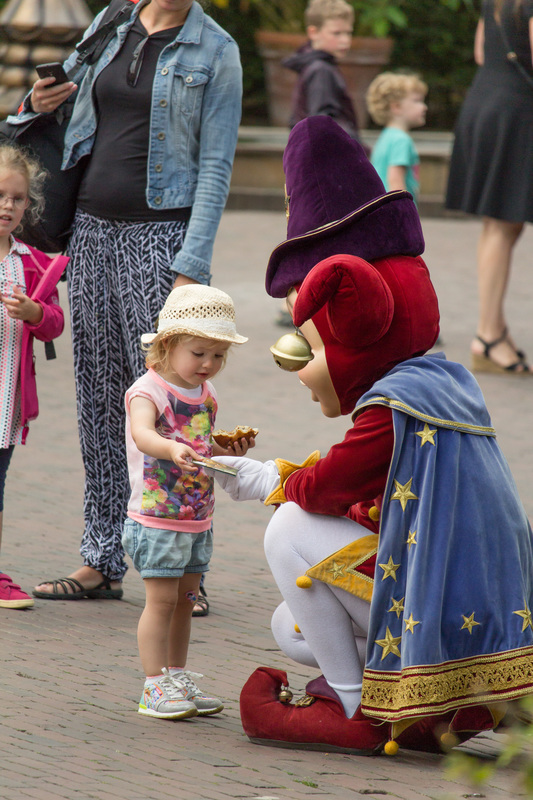 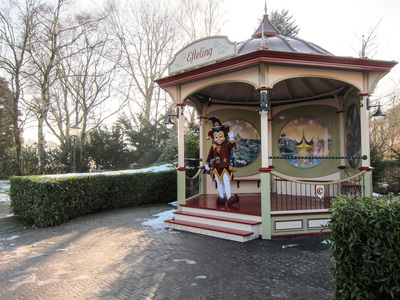 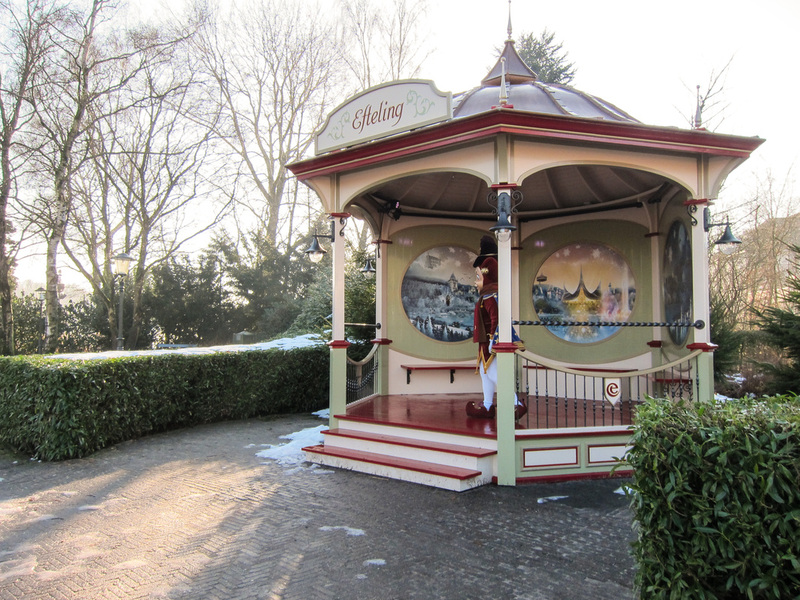 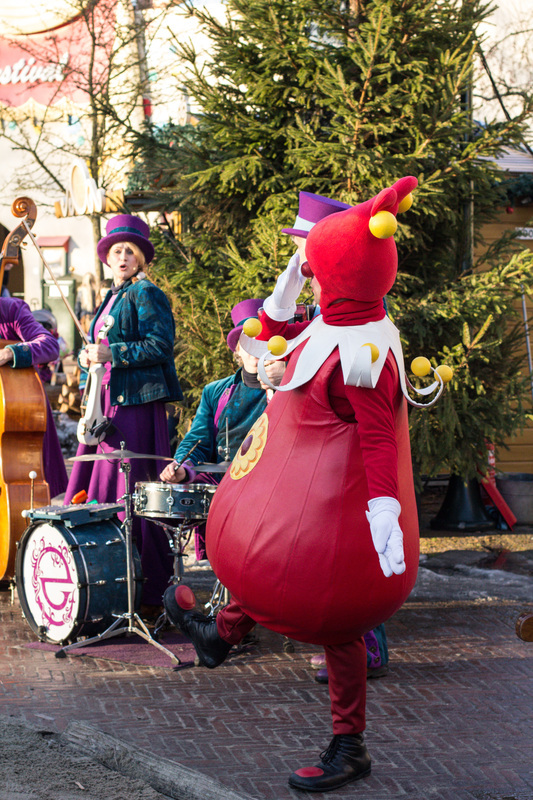 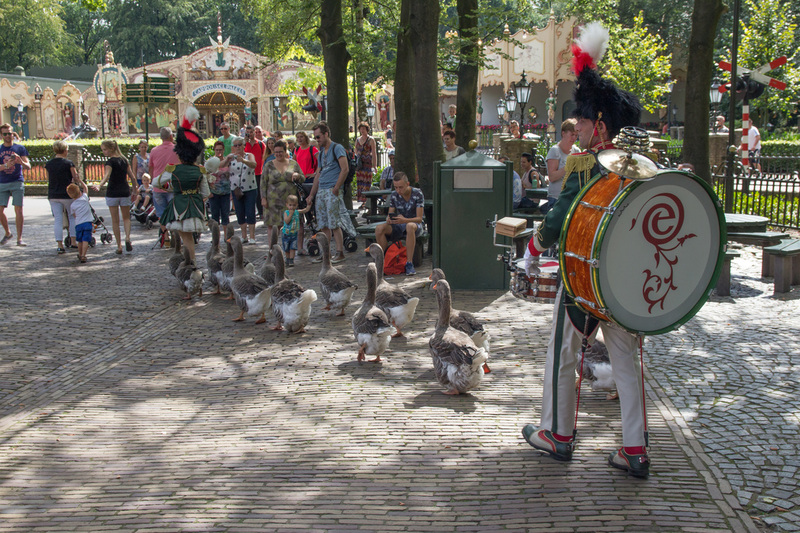 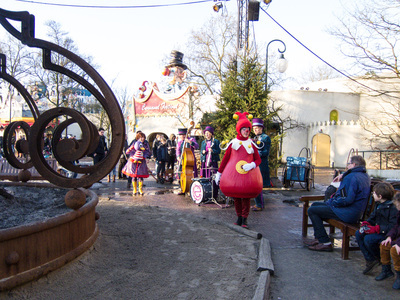 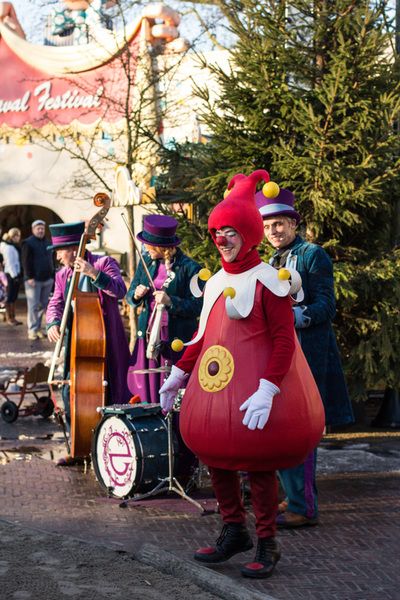 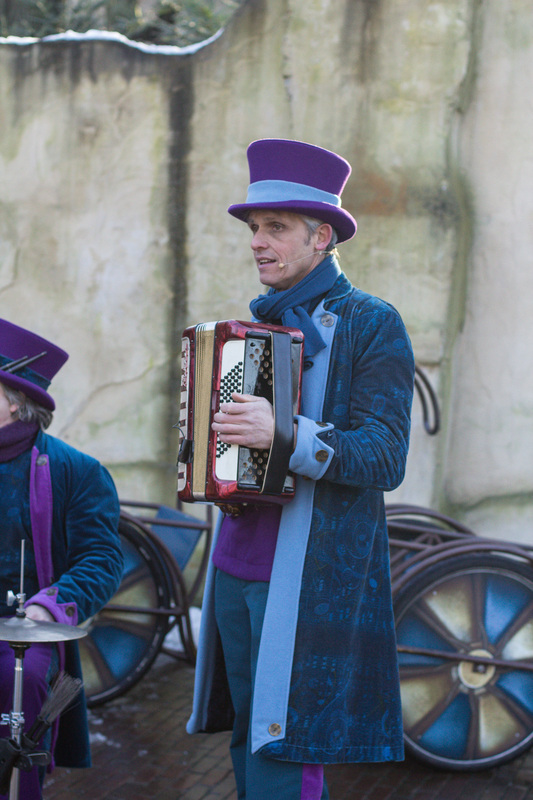 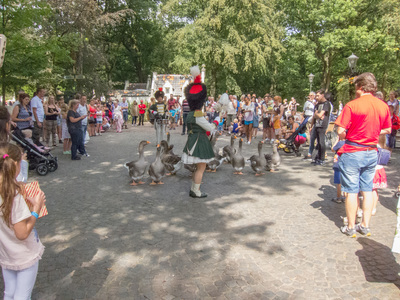 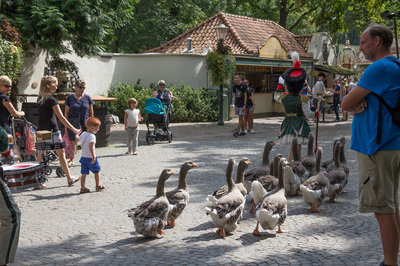 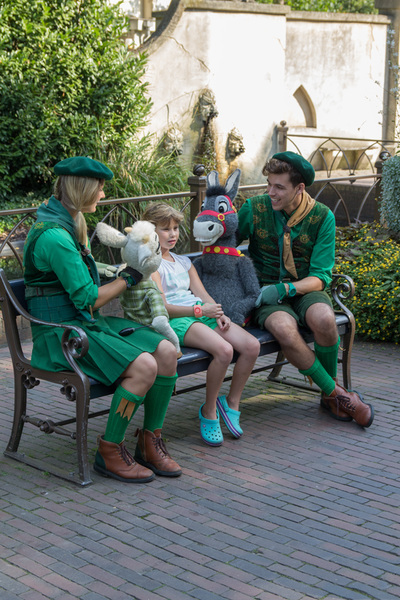 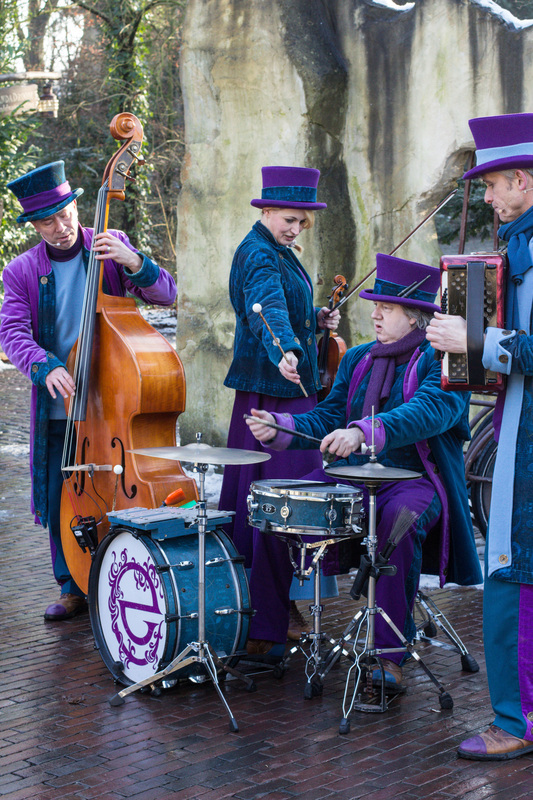 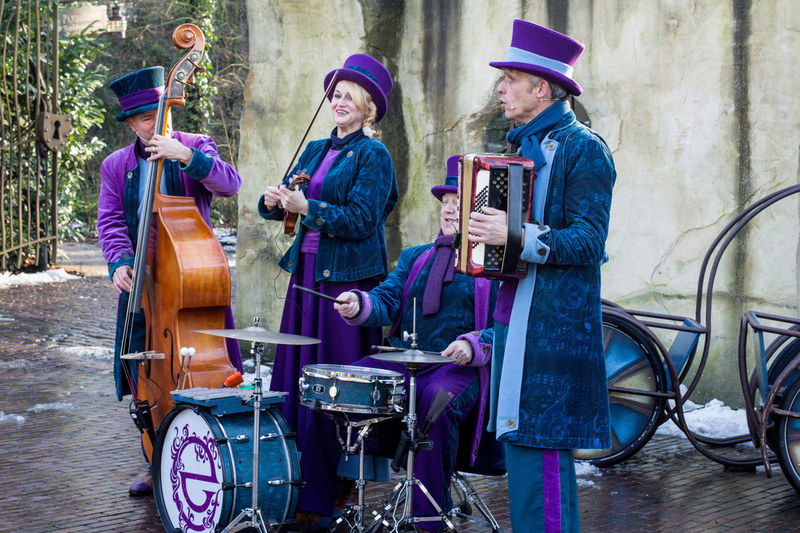 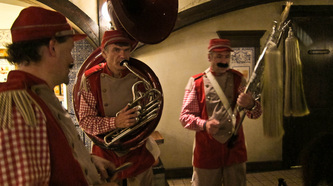 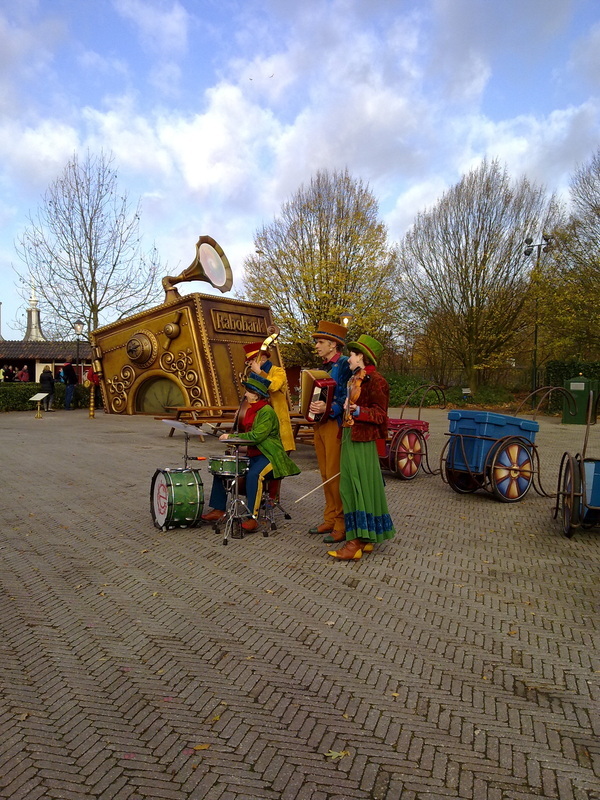 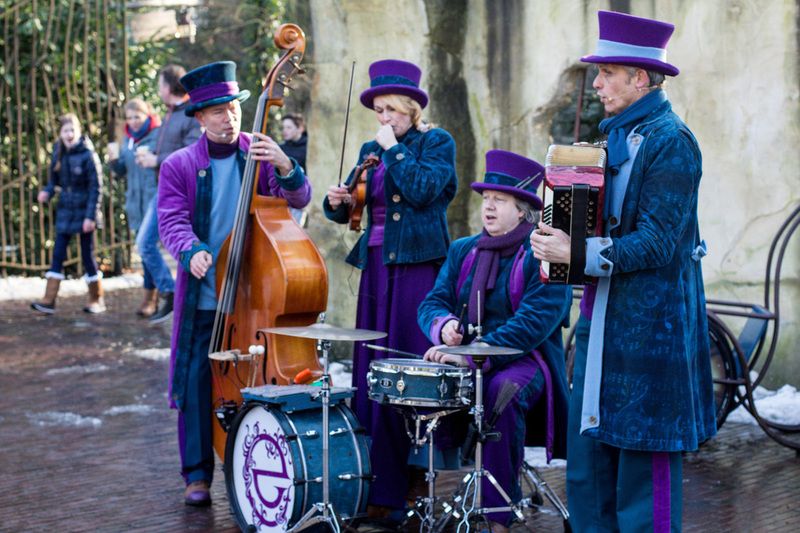 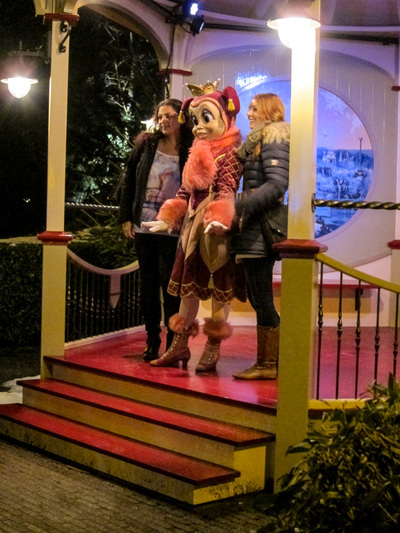 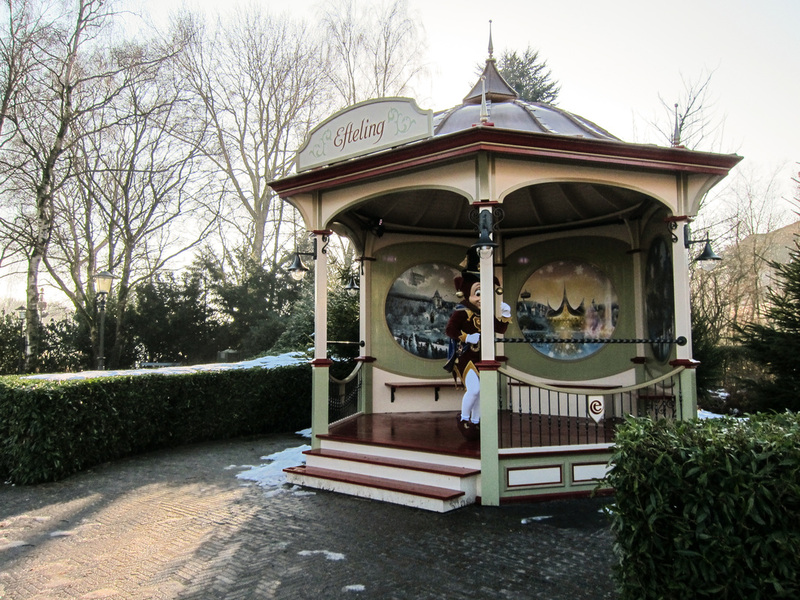 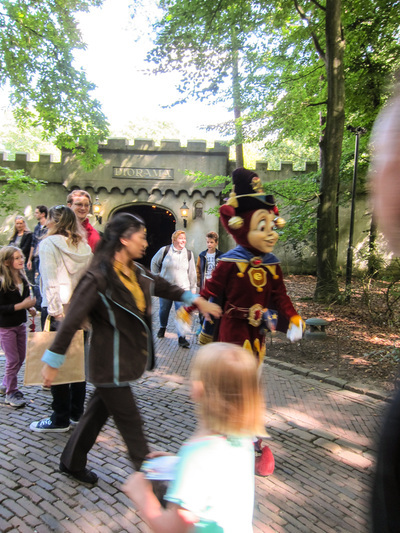 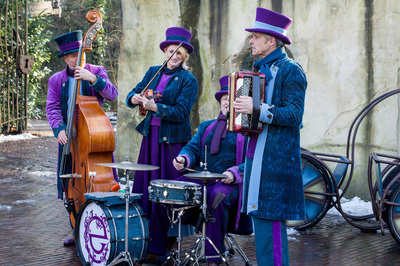 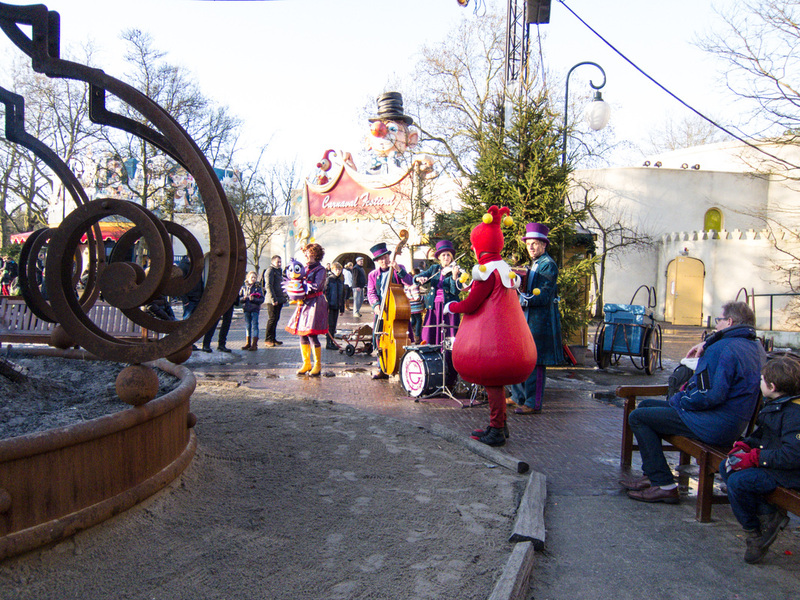 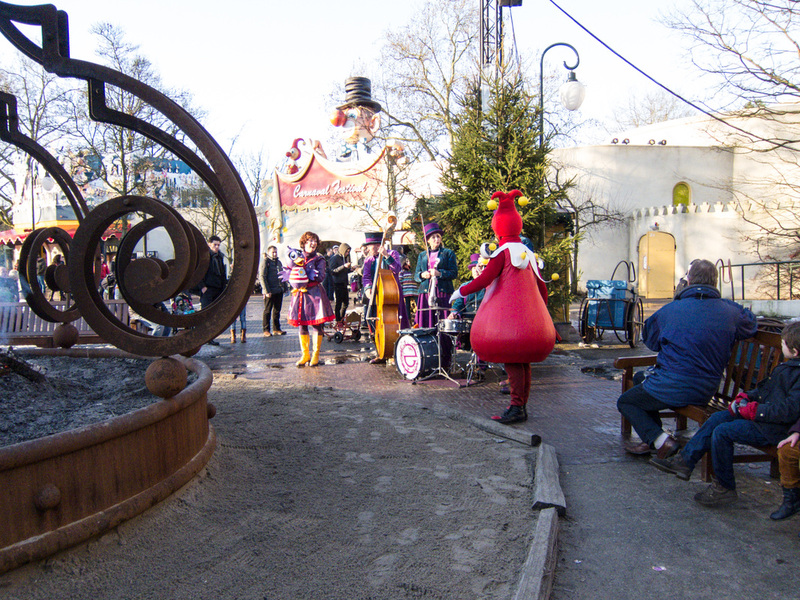 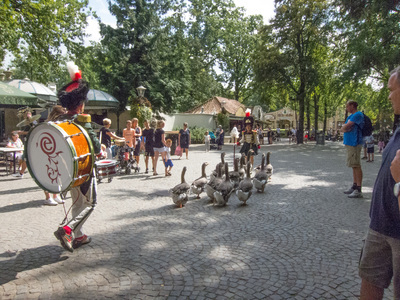 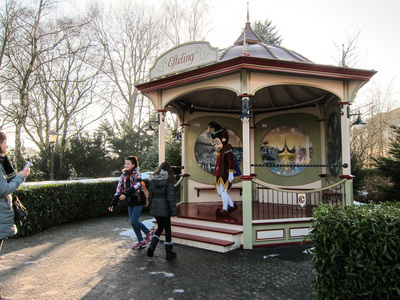 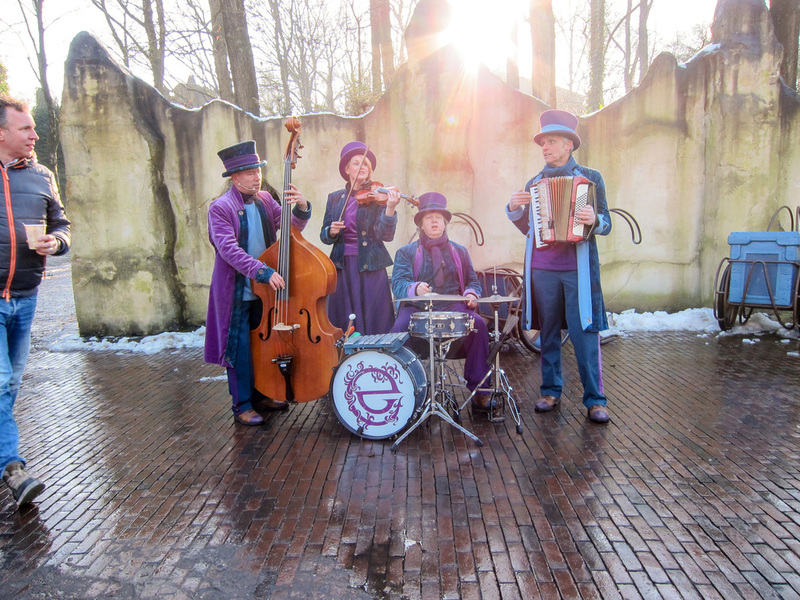 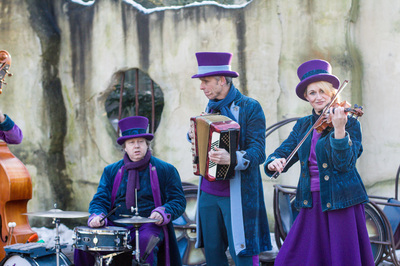 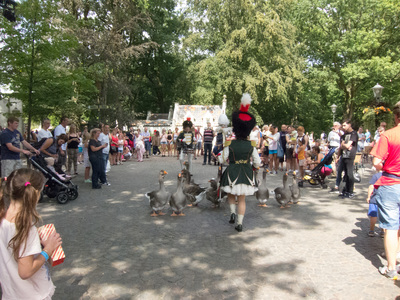 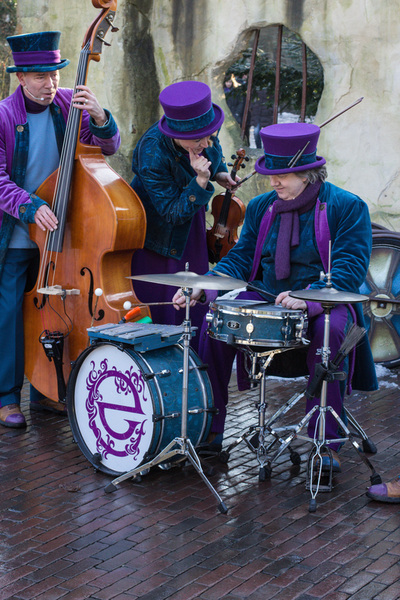 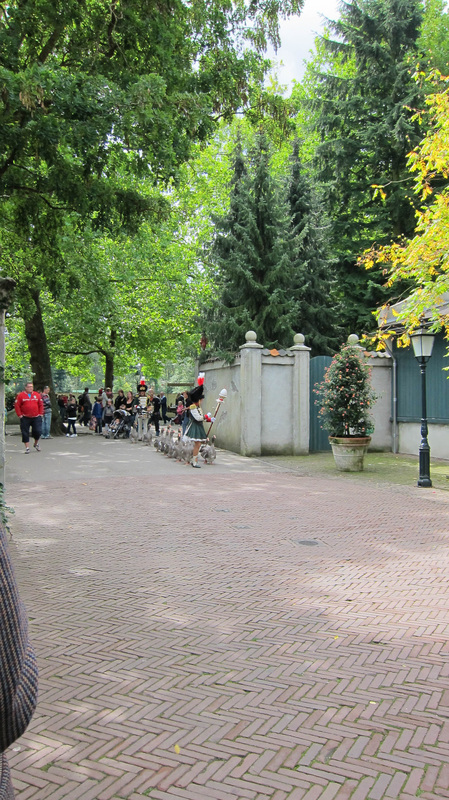 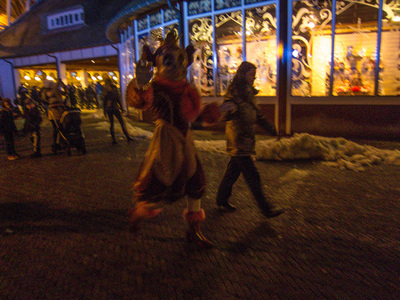 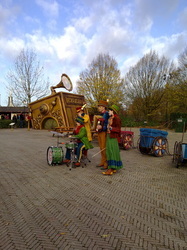 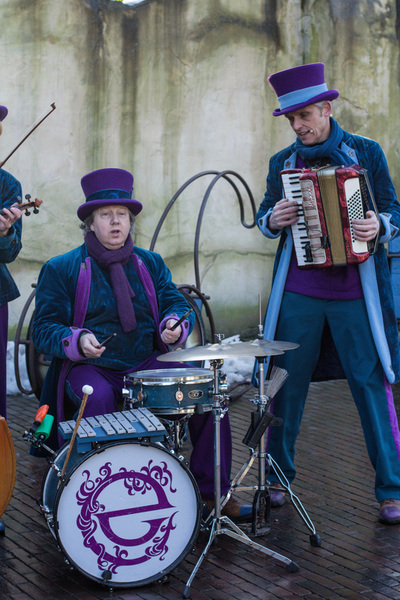 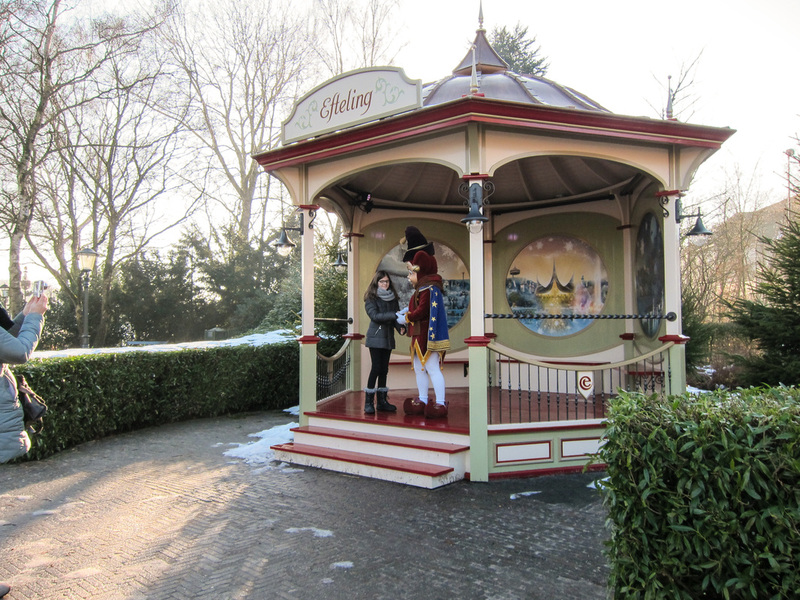 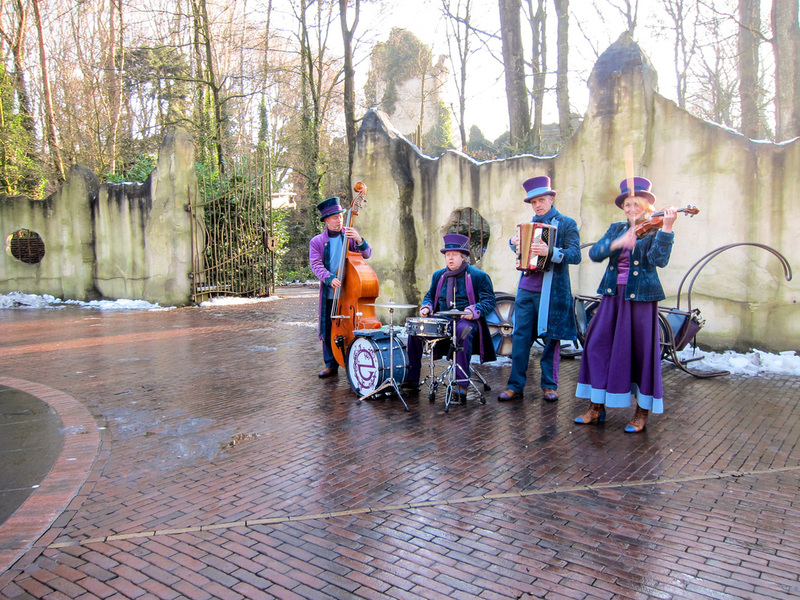 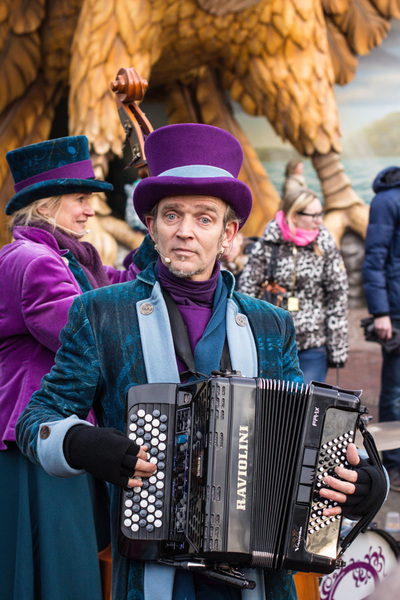 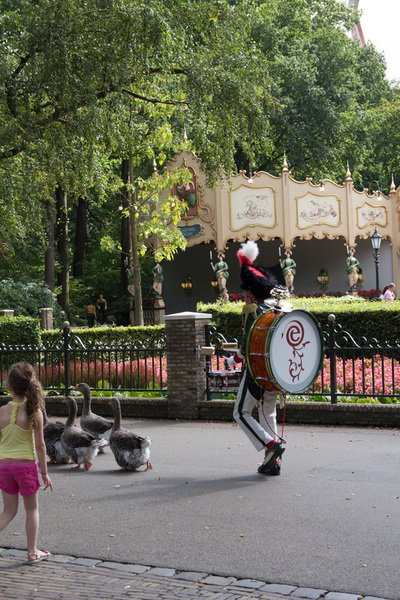 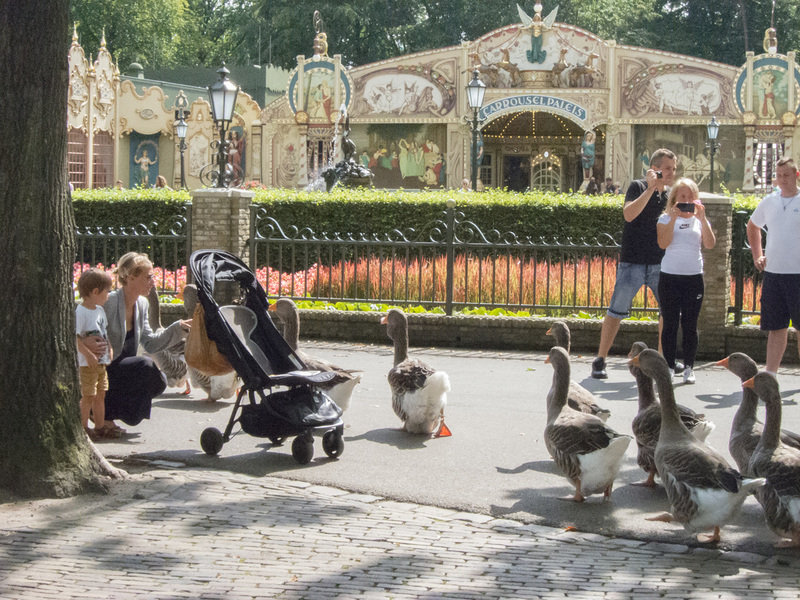 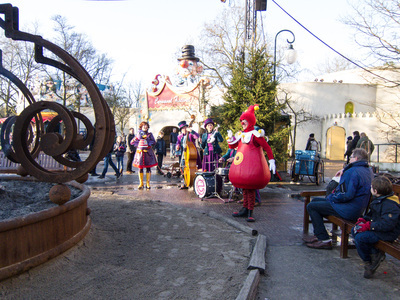 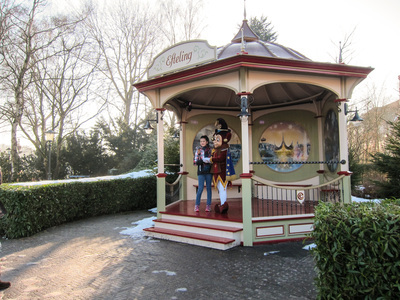 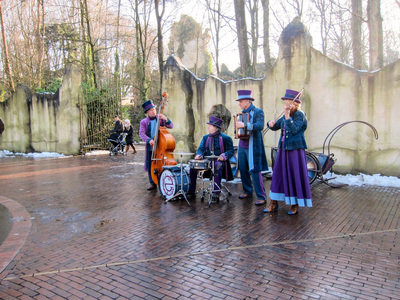 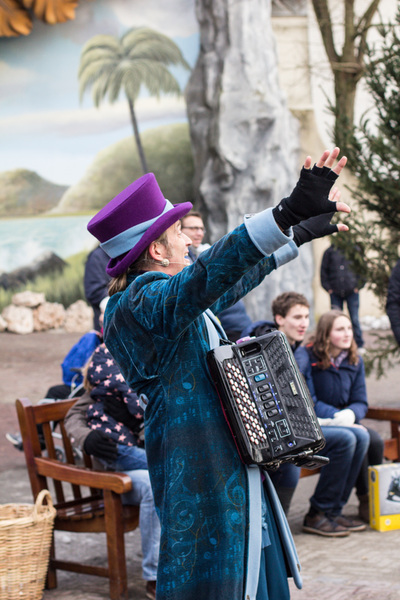 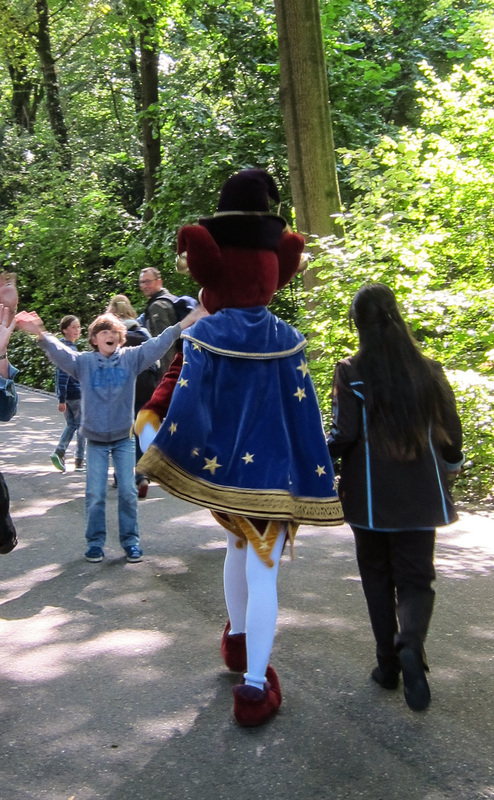 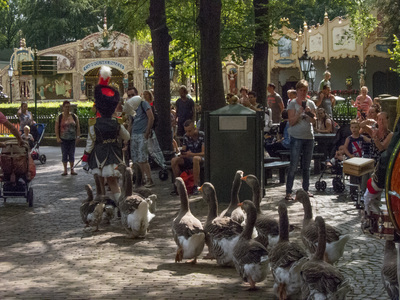 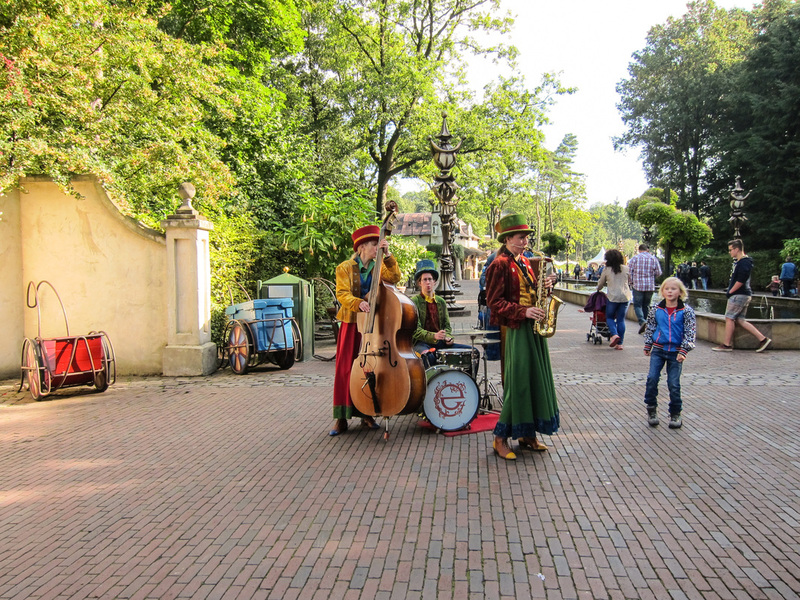 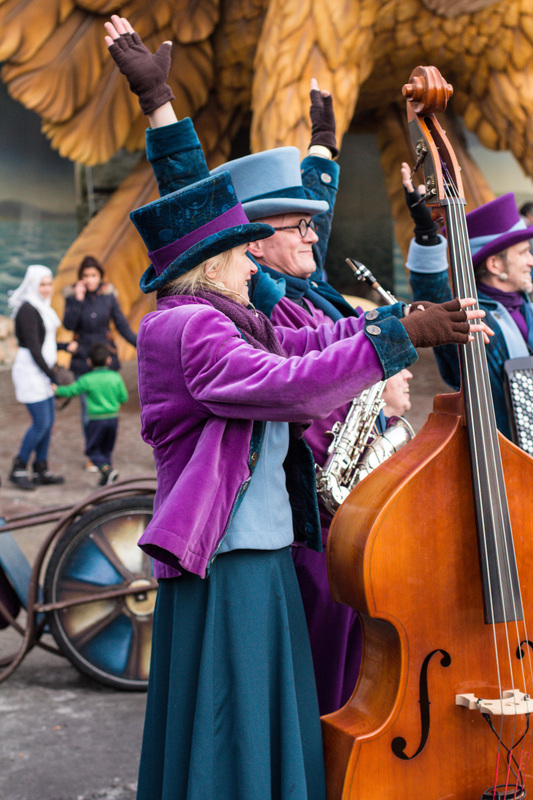 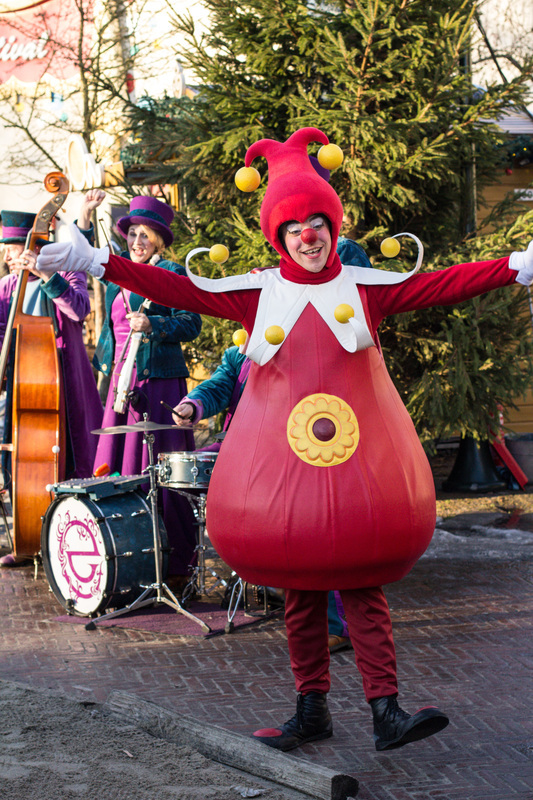 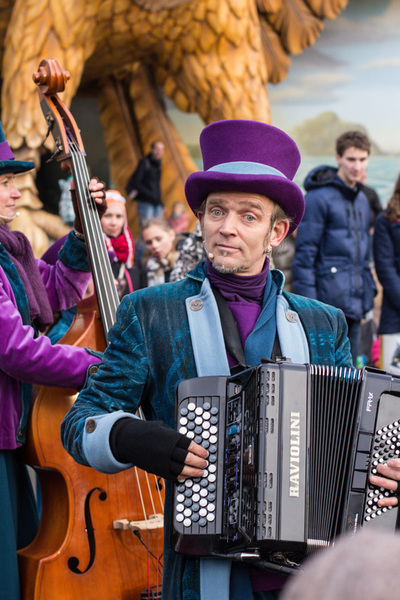 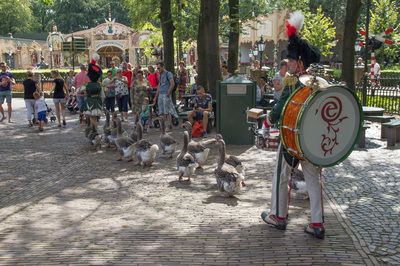 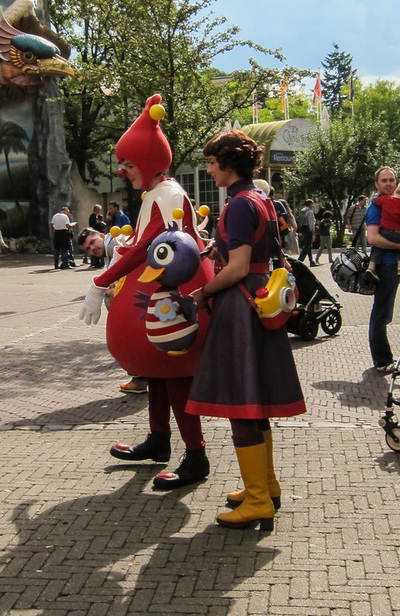 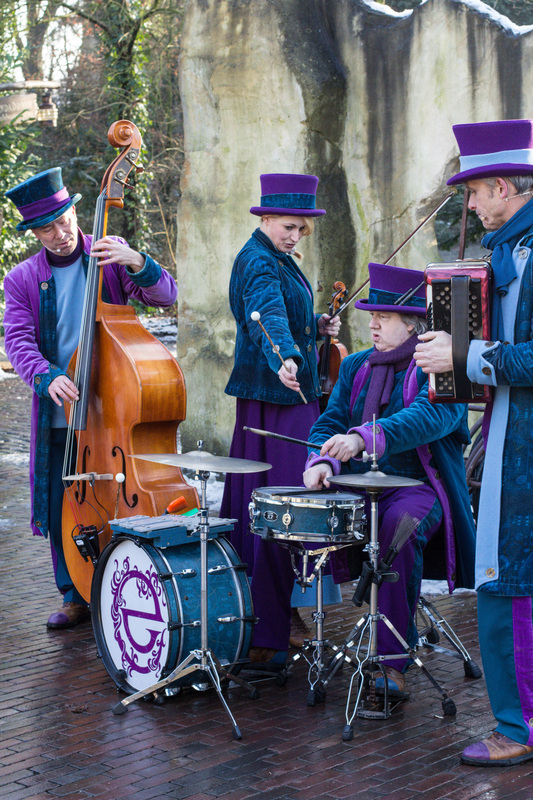 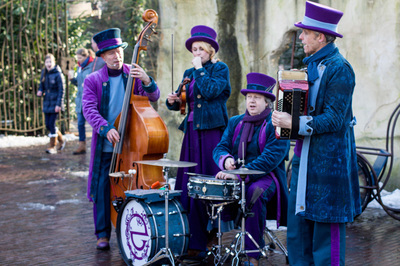 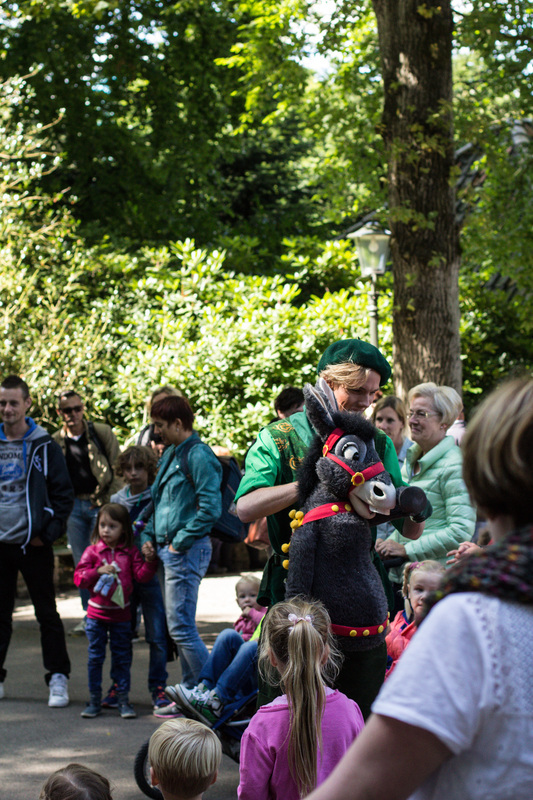 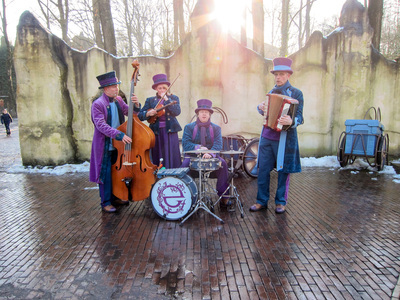 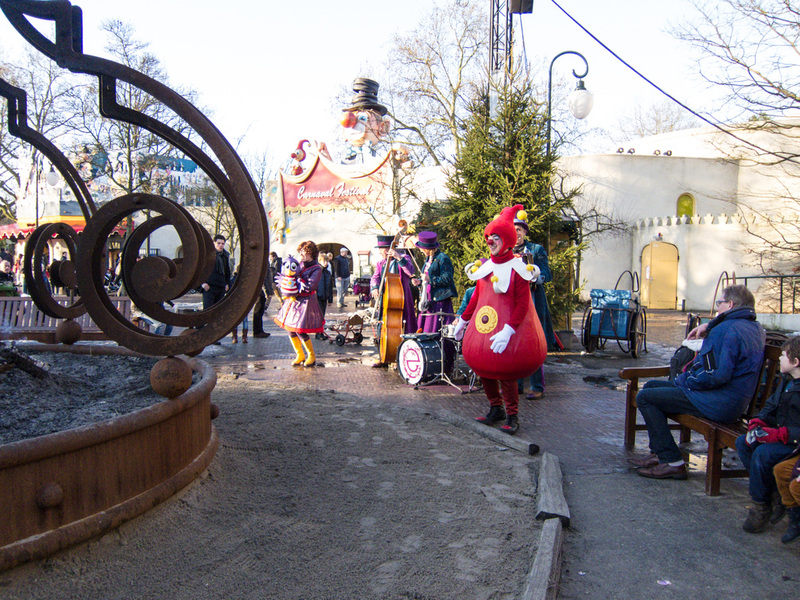 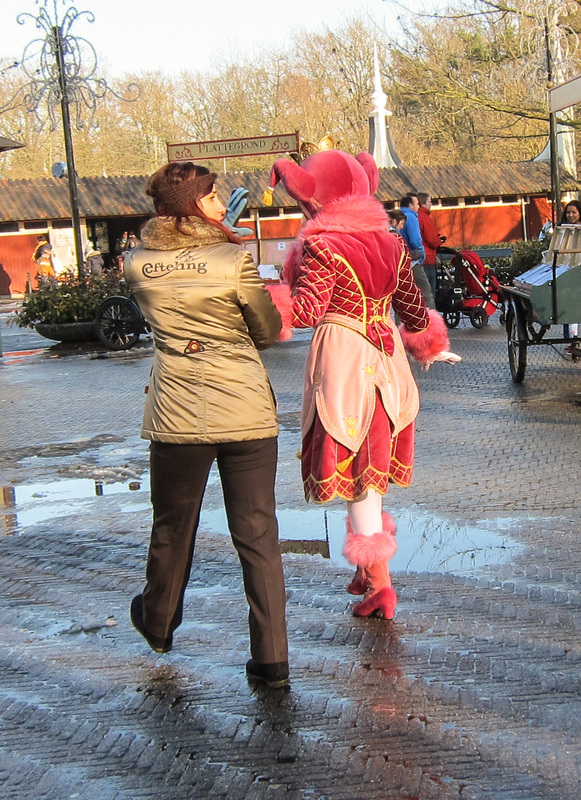 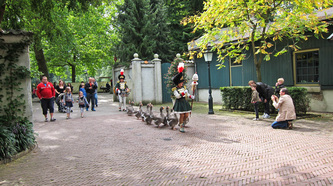 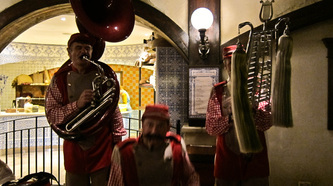 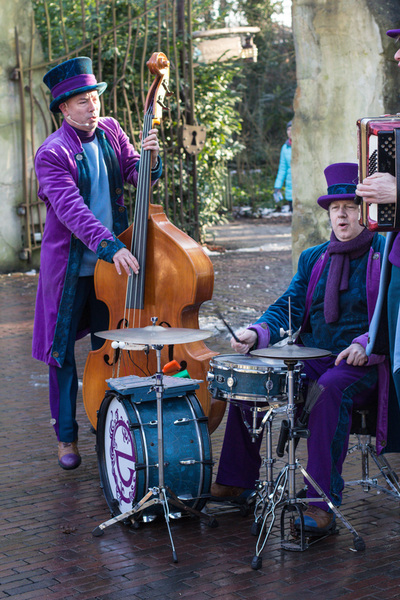 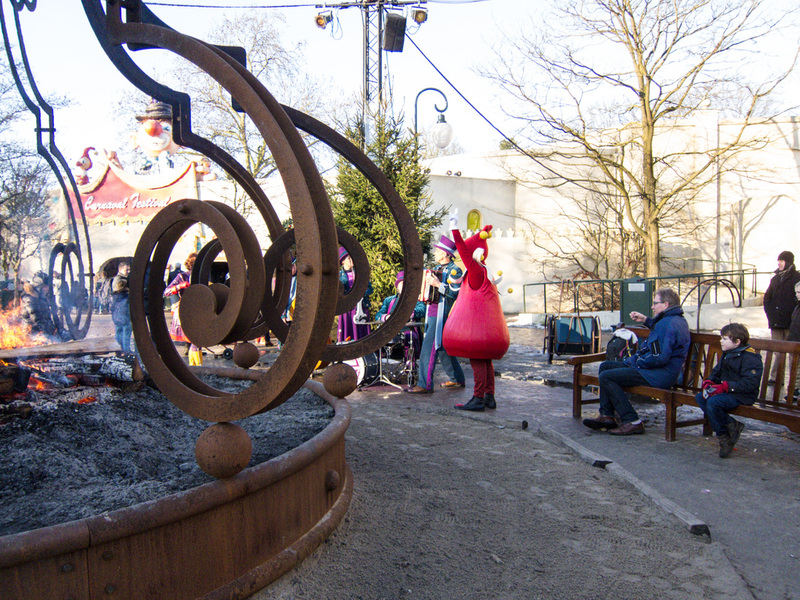 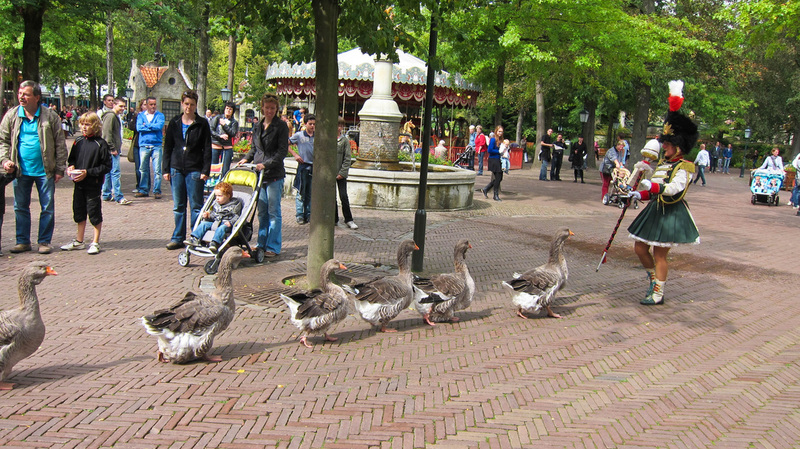 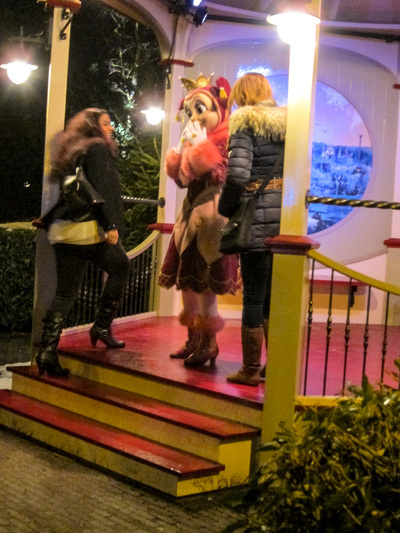 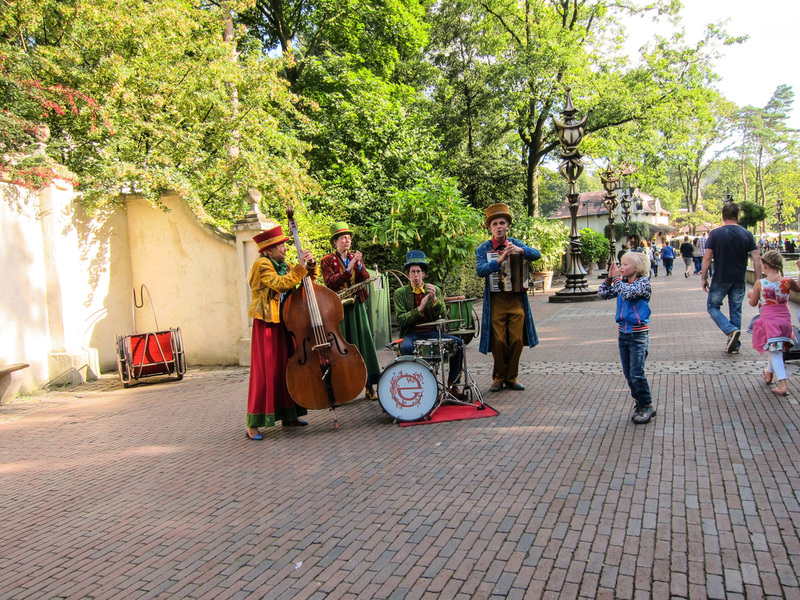 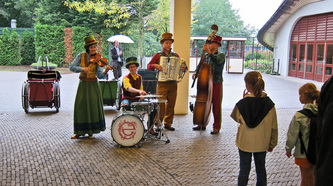 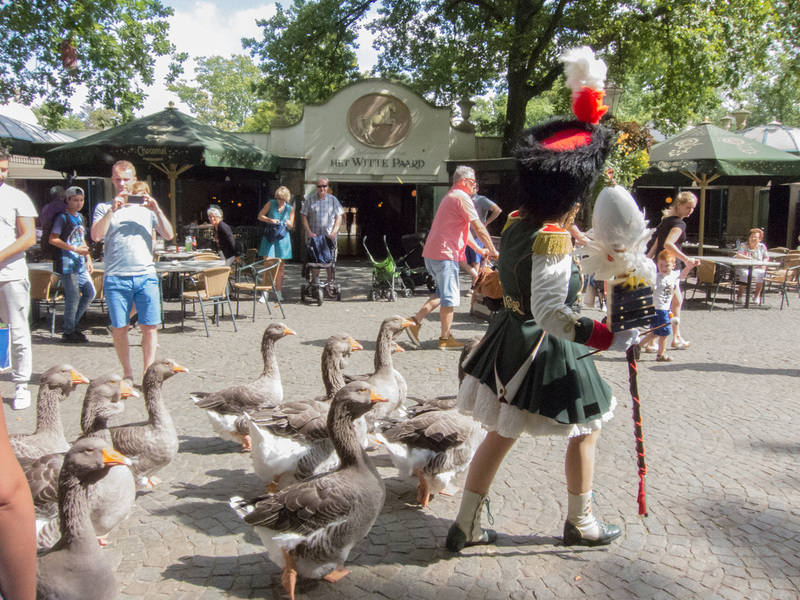 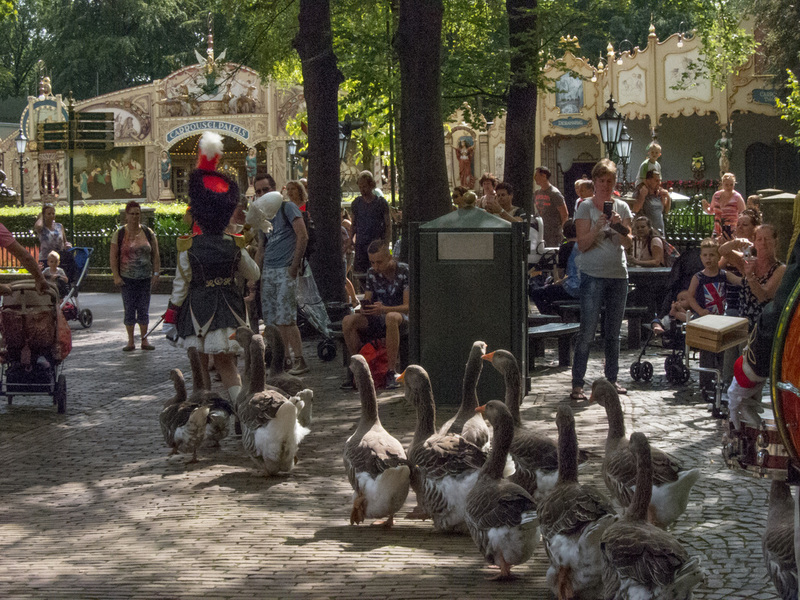 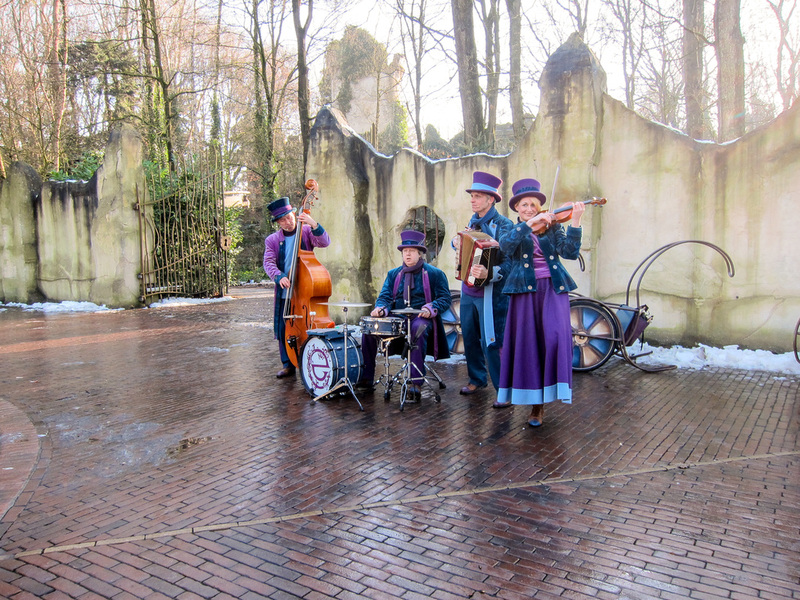 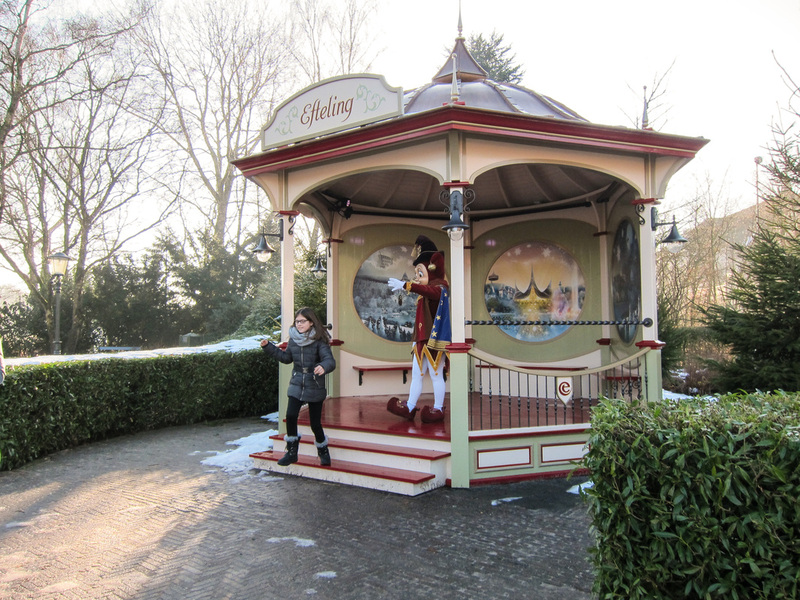 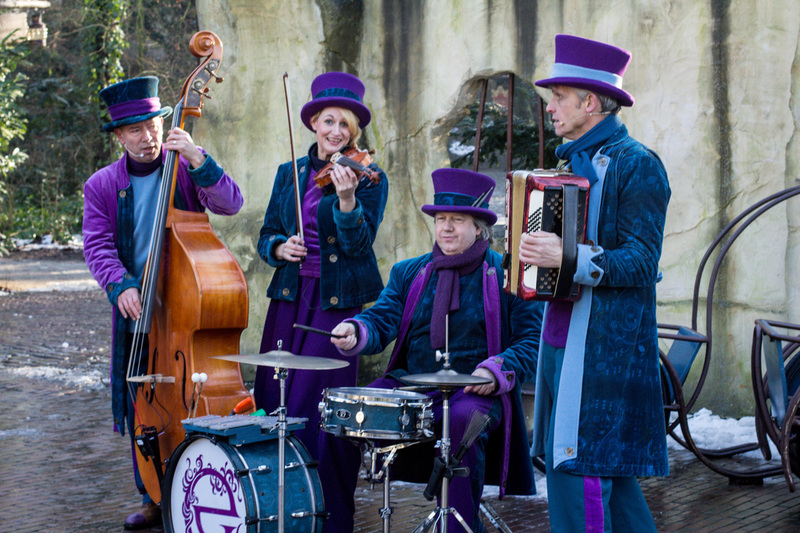 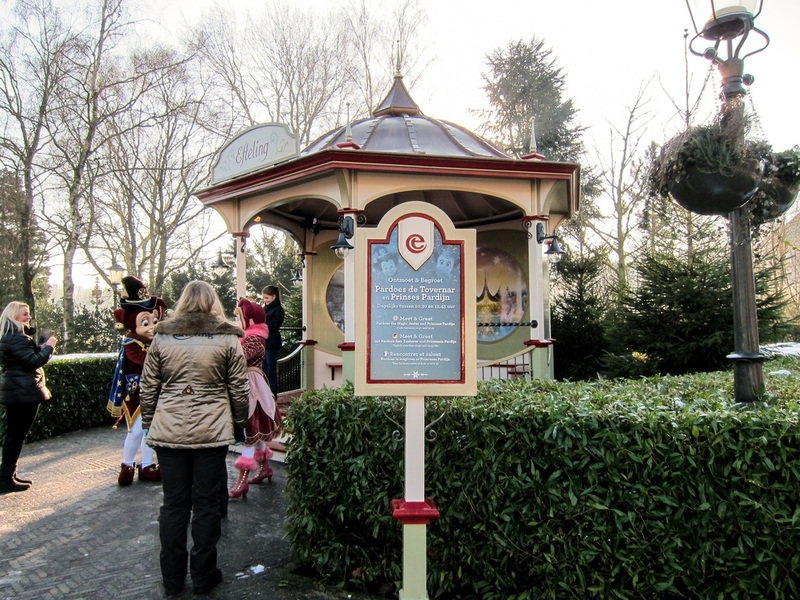 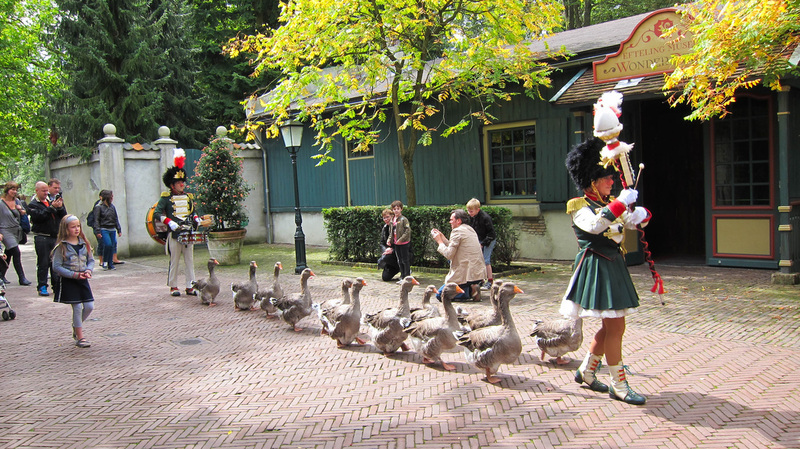 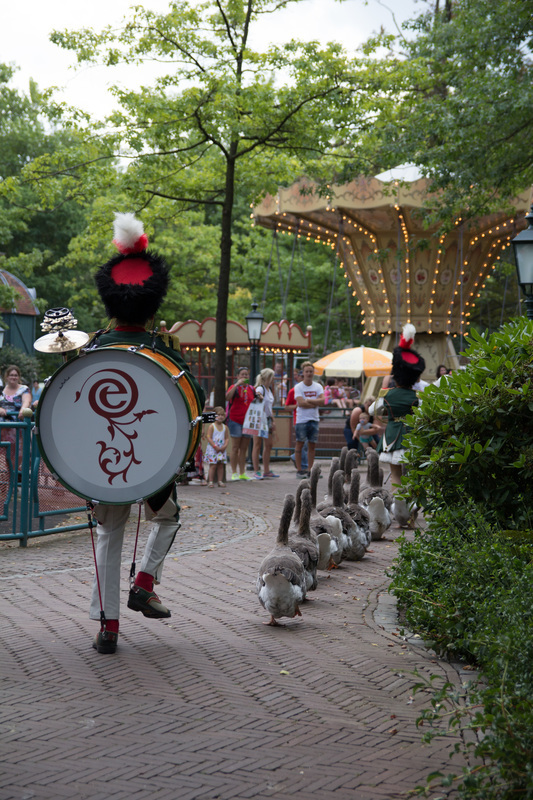 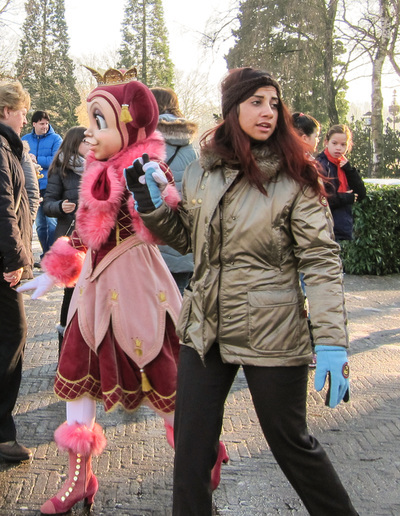 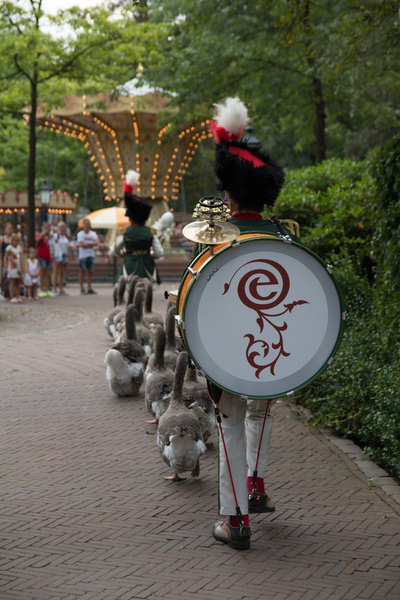 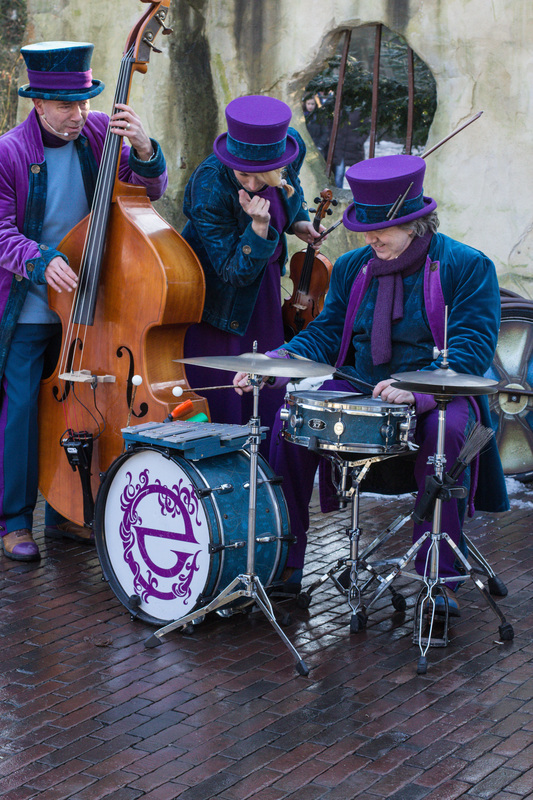 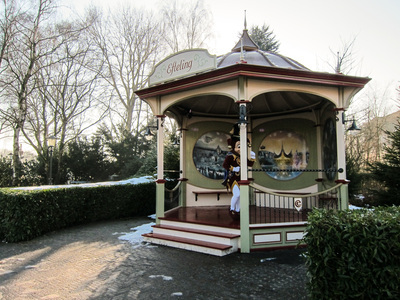 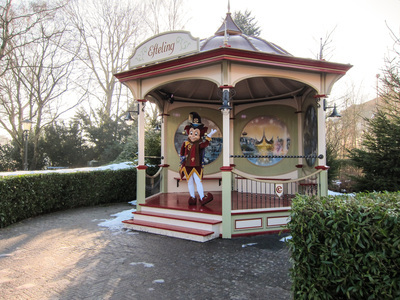 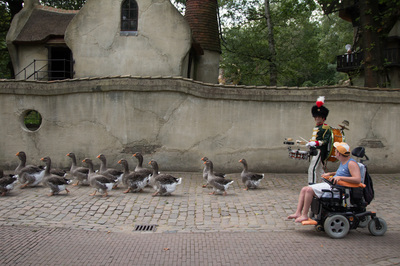 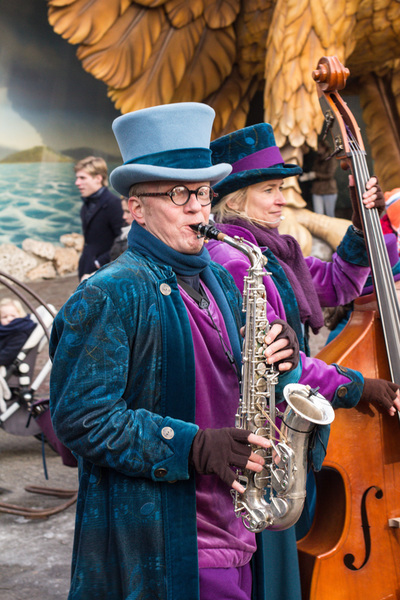 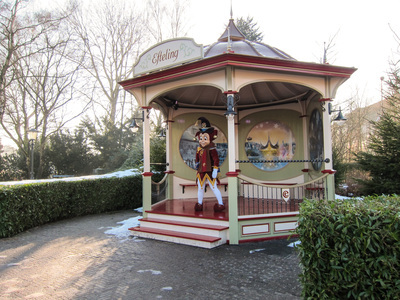 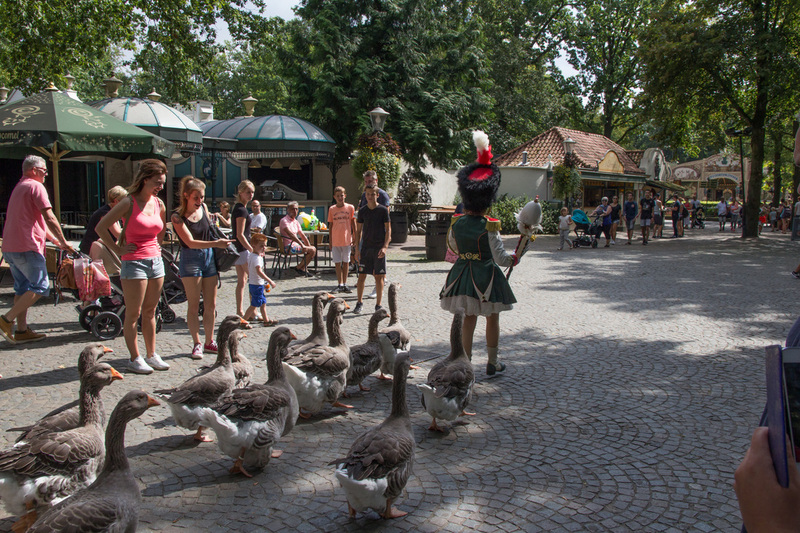 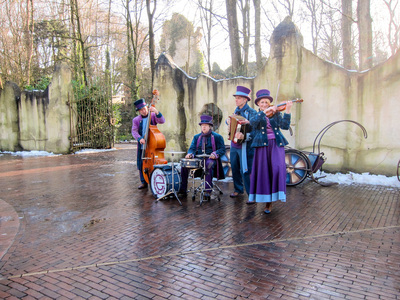 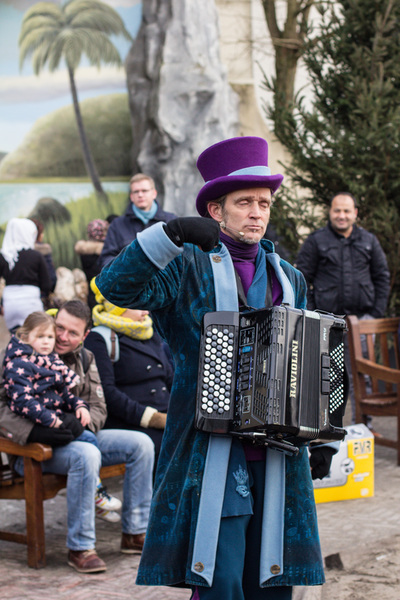 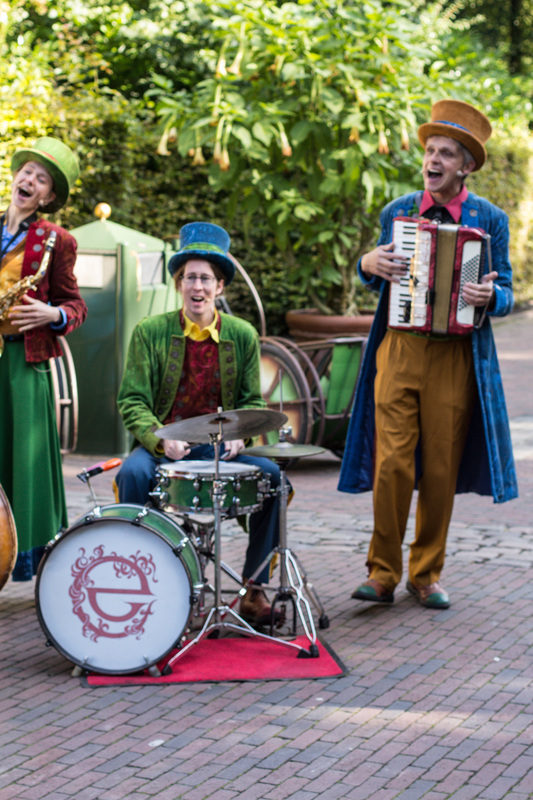 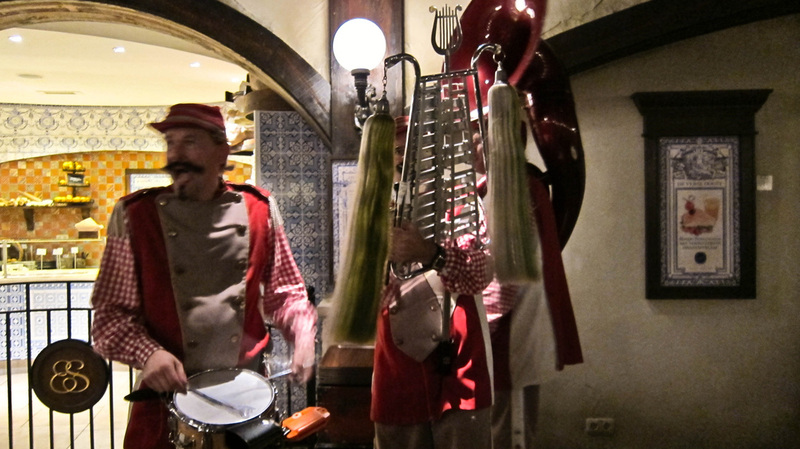 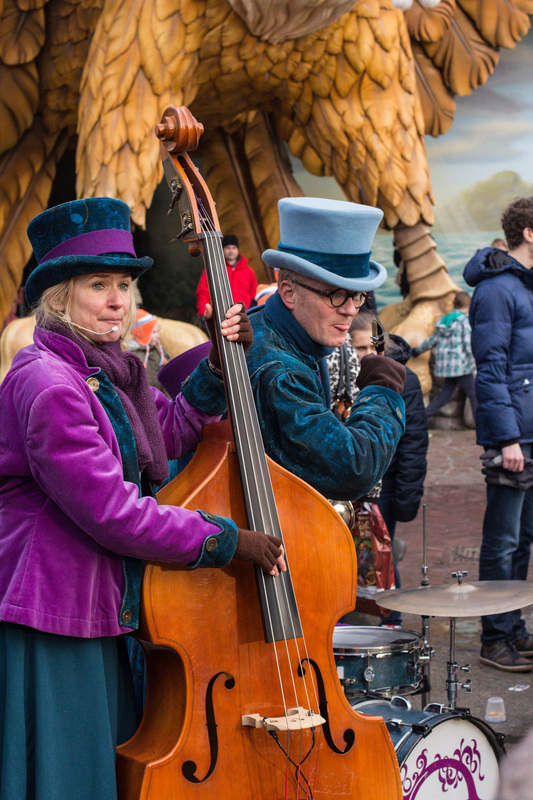 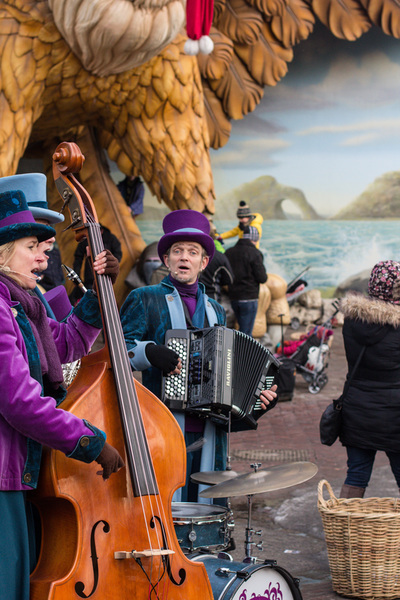 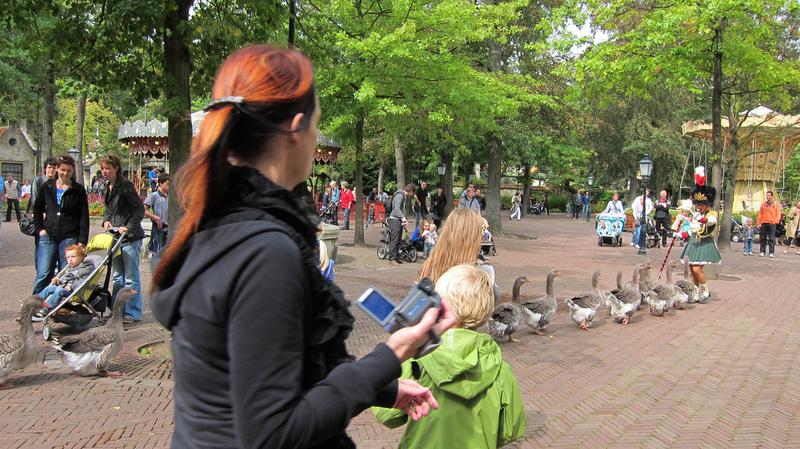 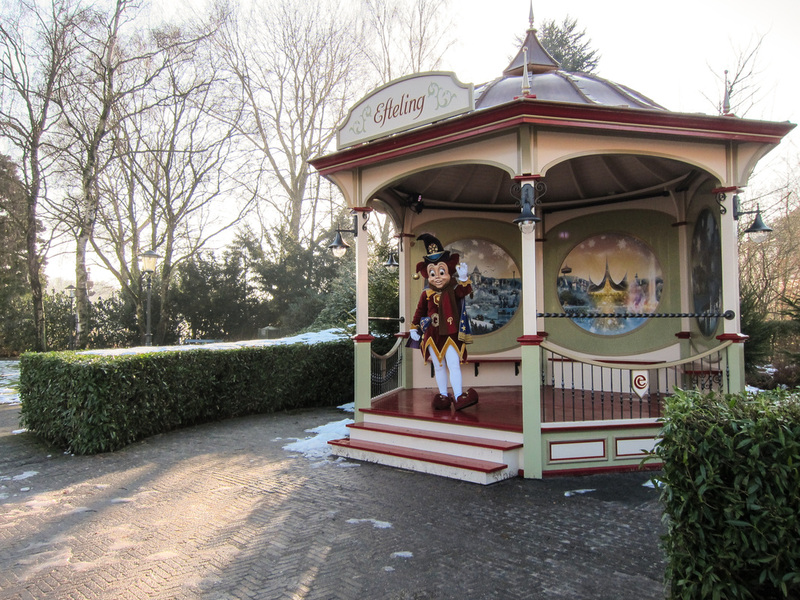 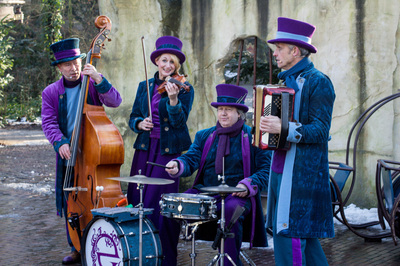 The Efteling has a great deal to offer besides the attractions in the park. 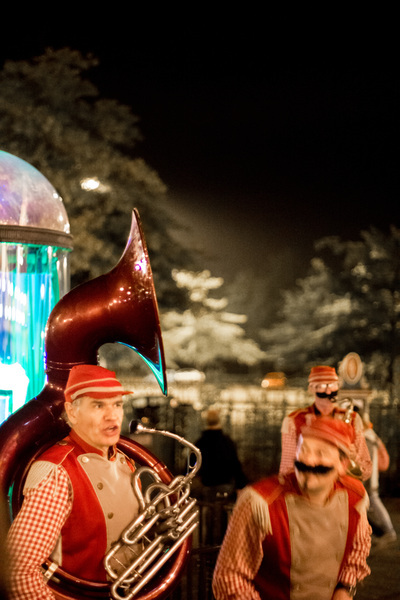 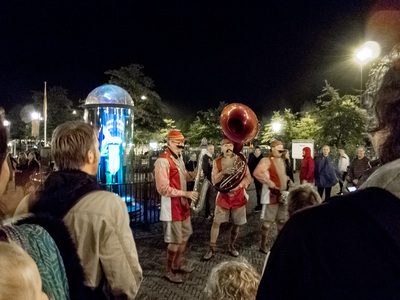 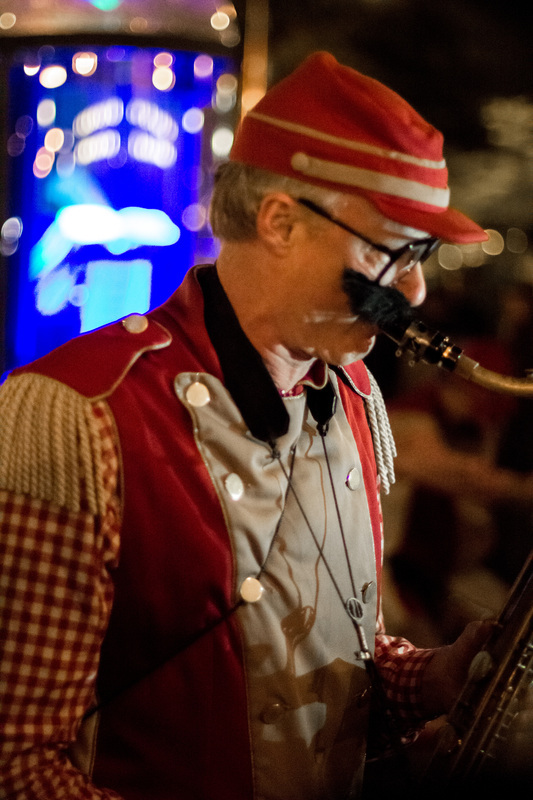 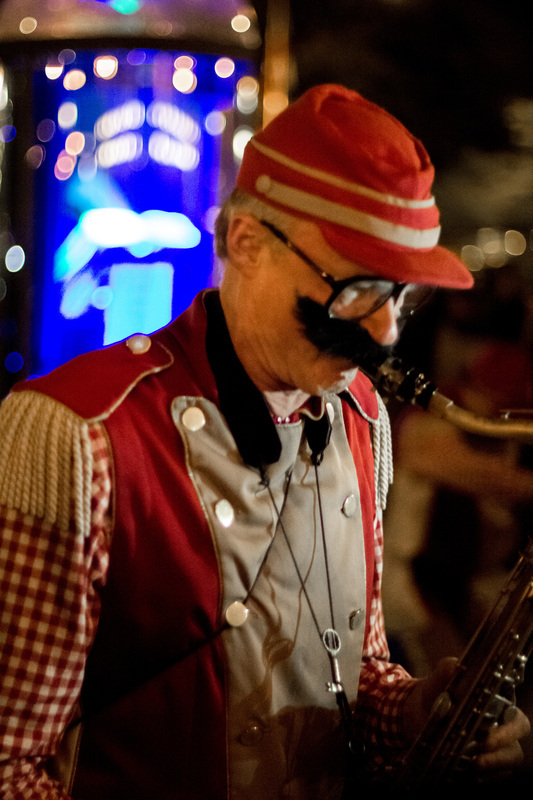 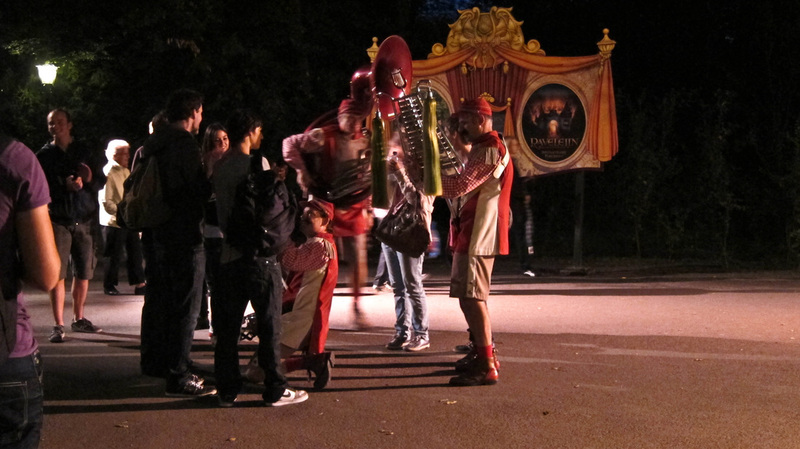 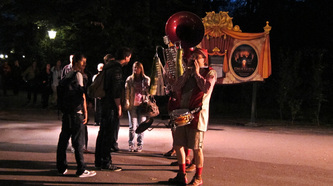 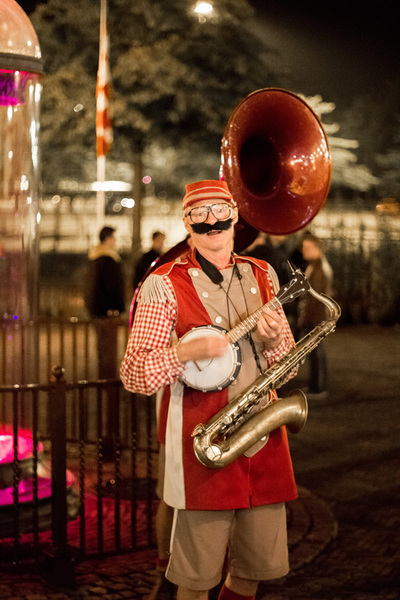 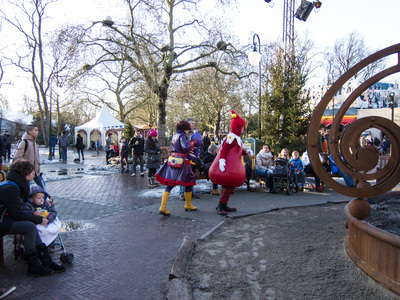 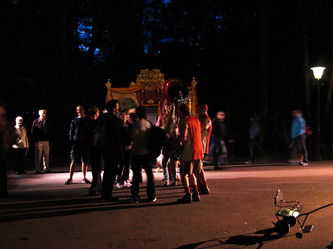 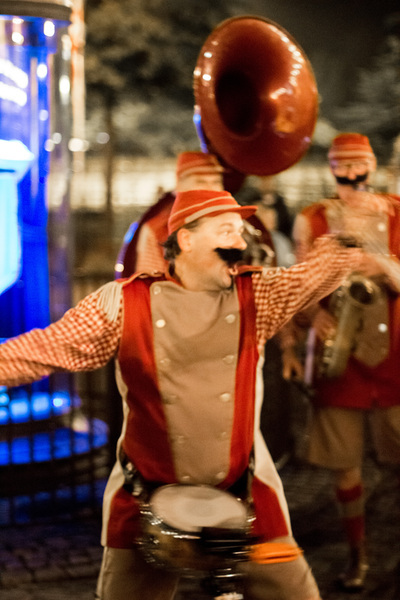 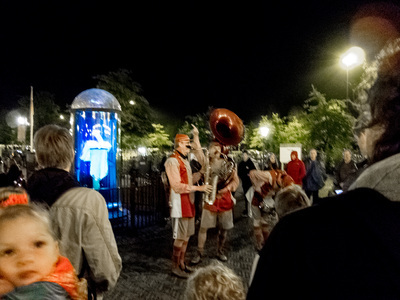 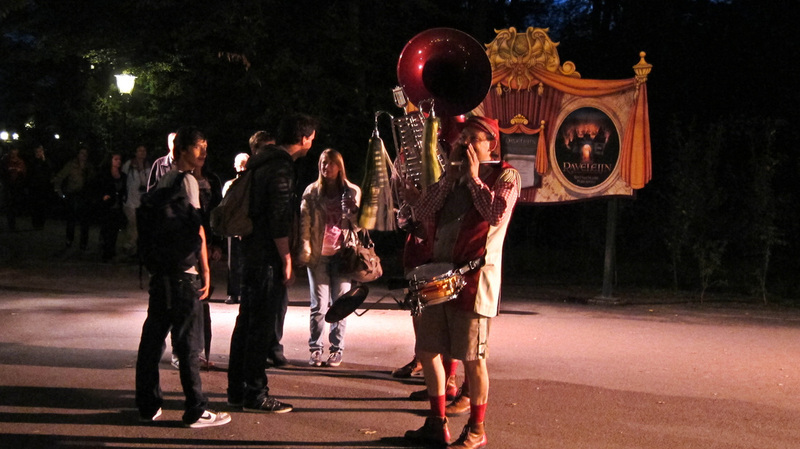 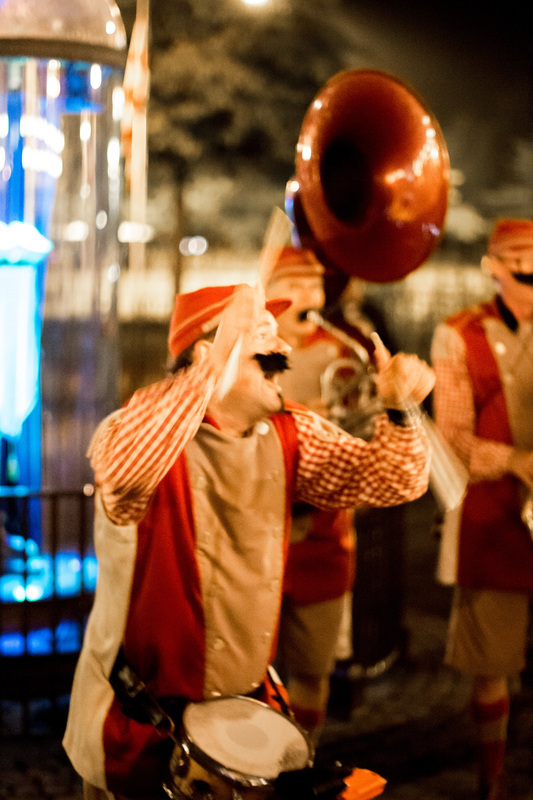 Every day of the week, visitors can watch a variety of exciting acts, enchanting shows and artists, live in the park. 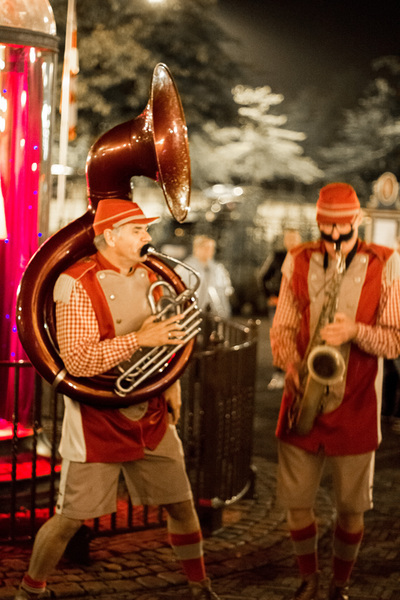 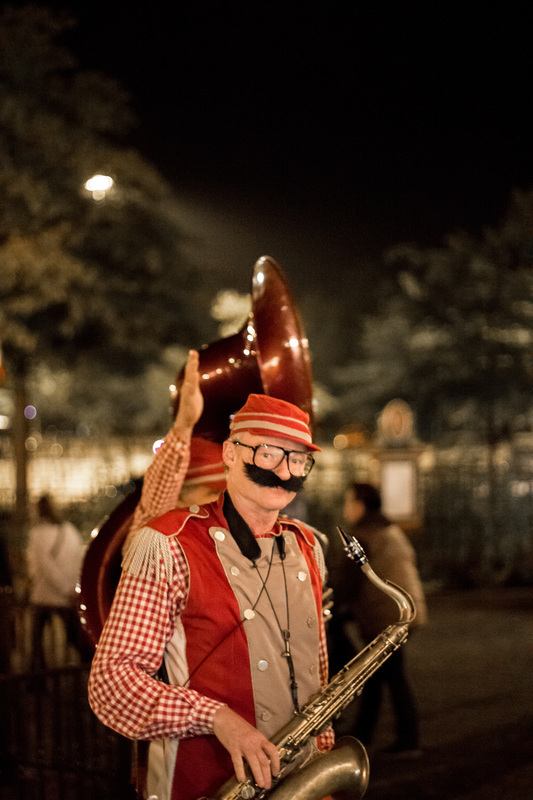 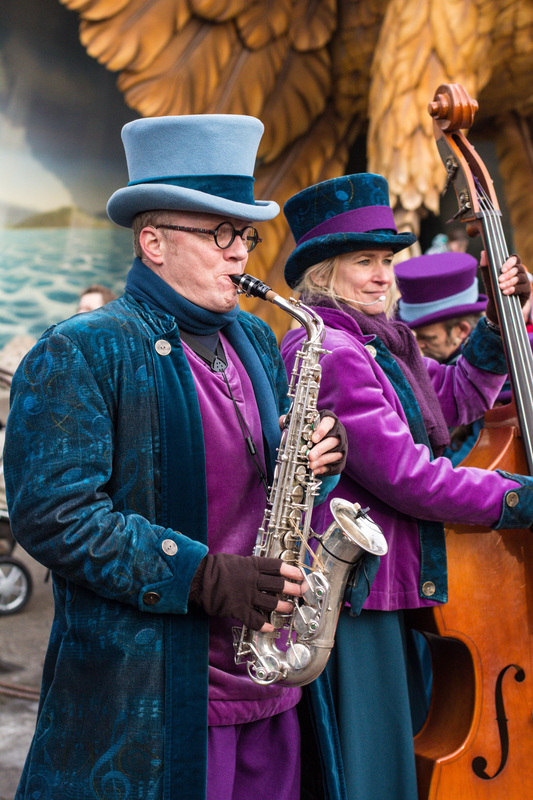 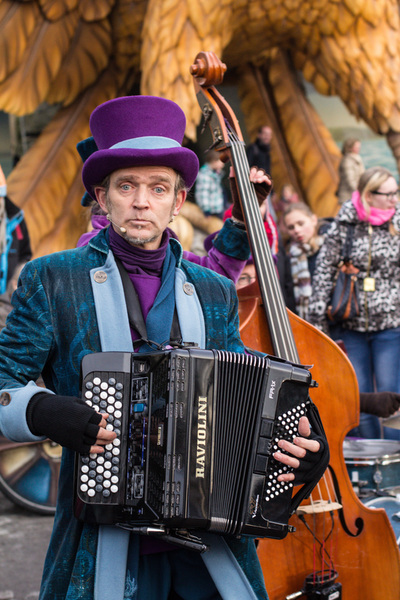 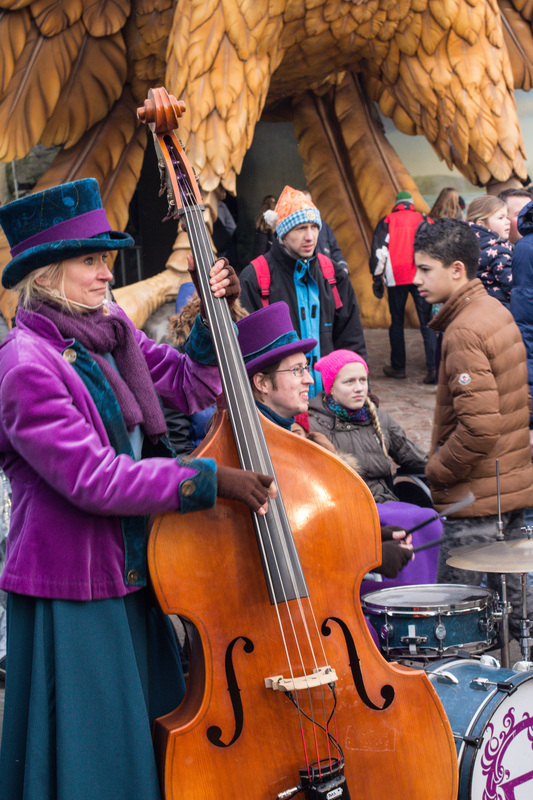 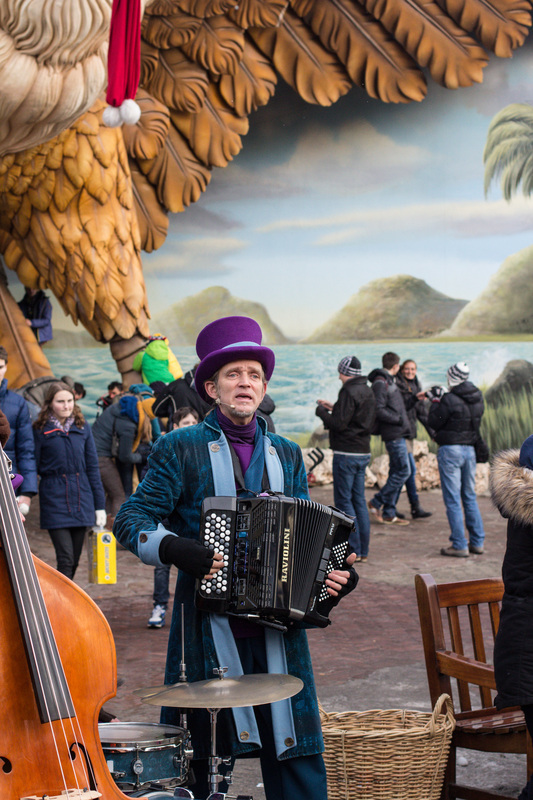 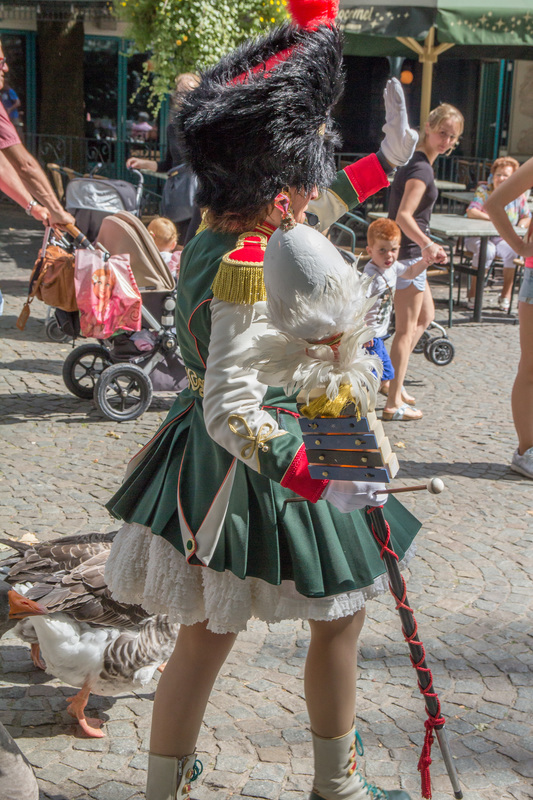 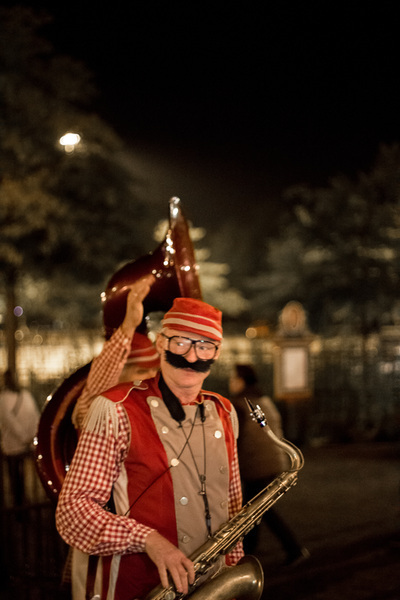 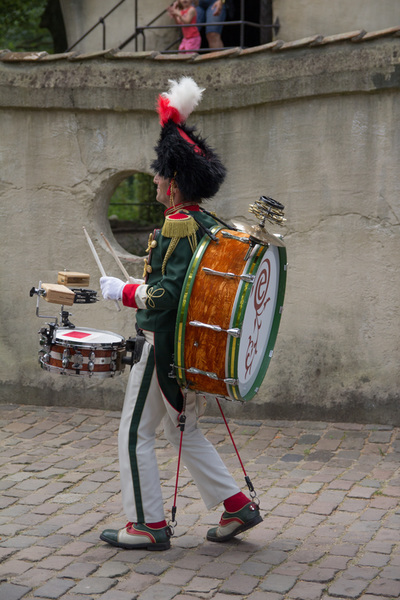 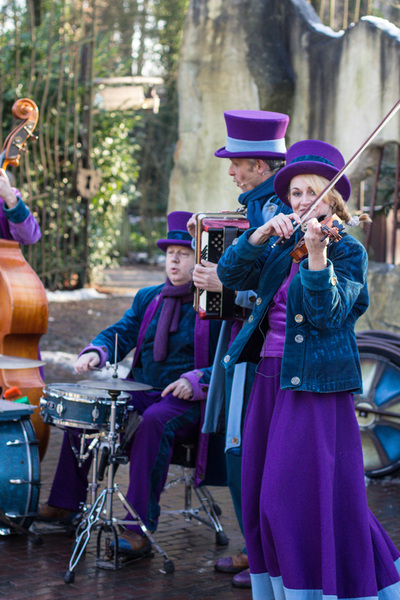 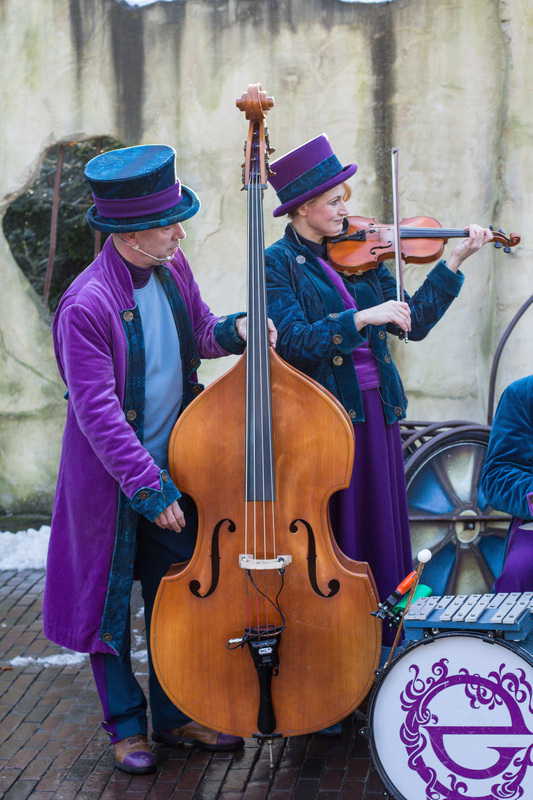 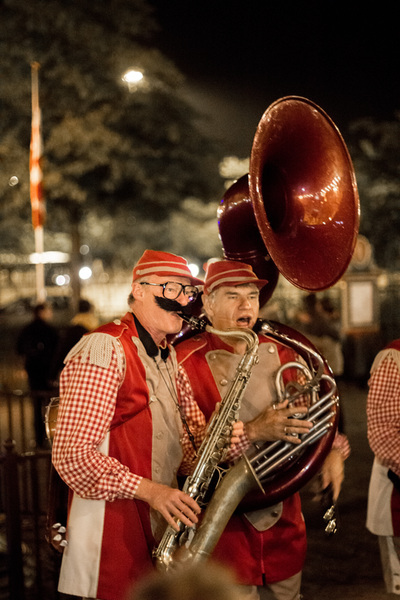 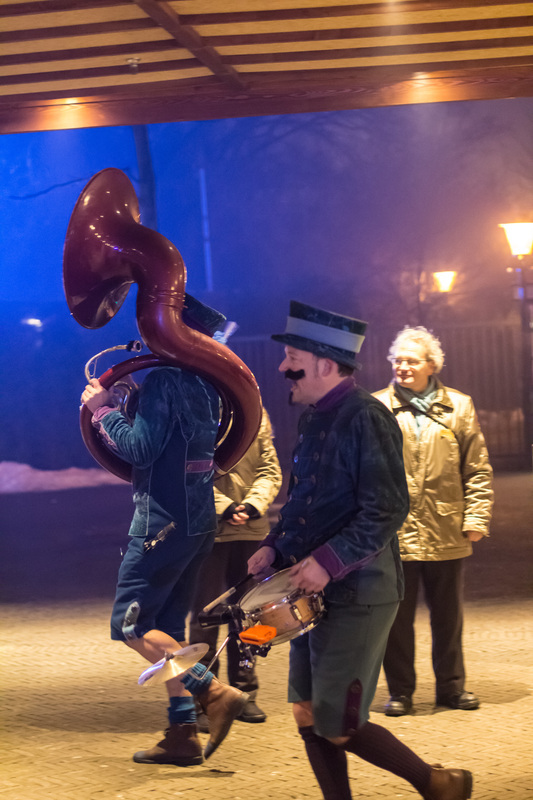 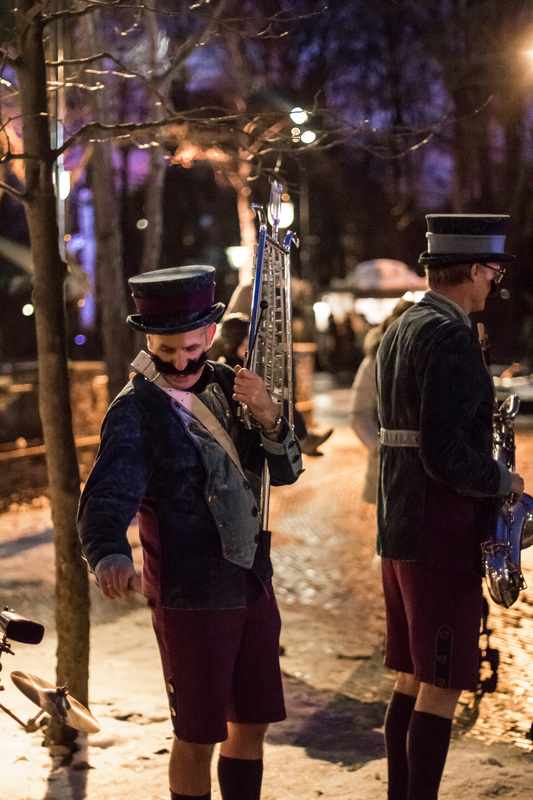 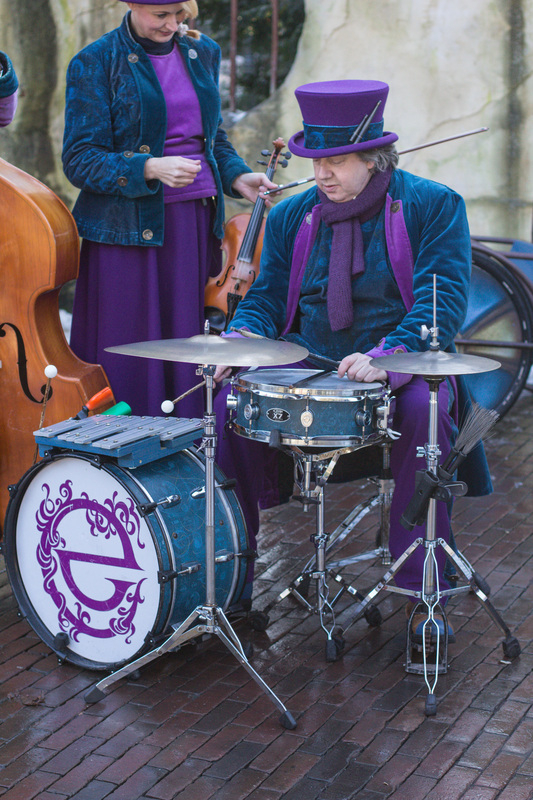 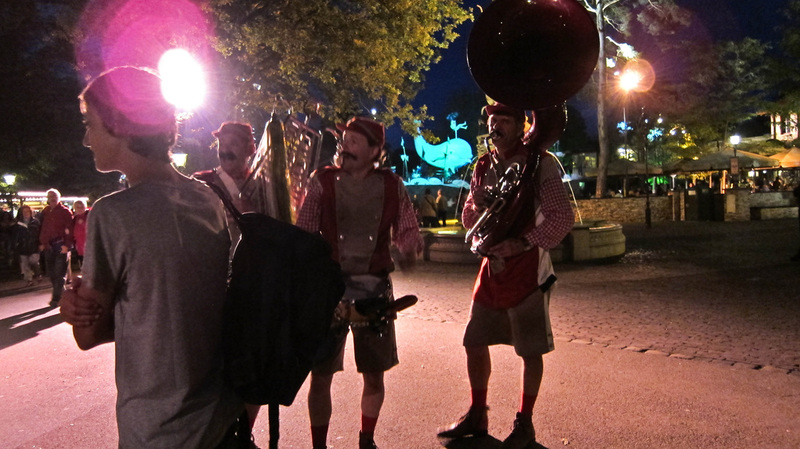 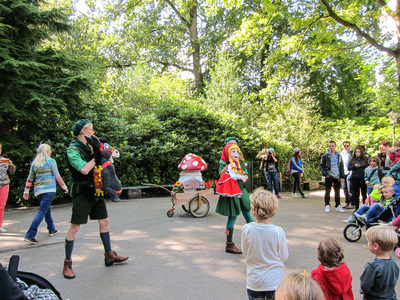 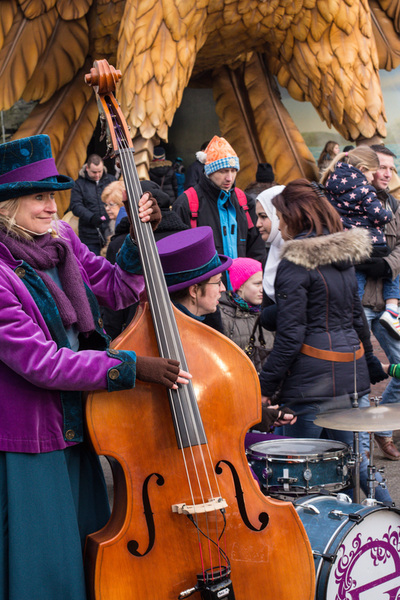 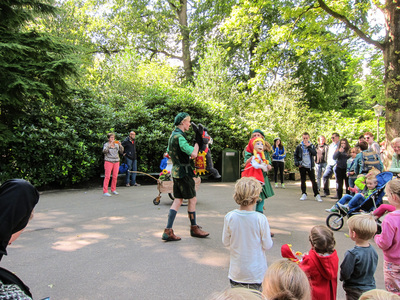 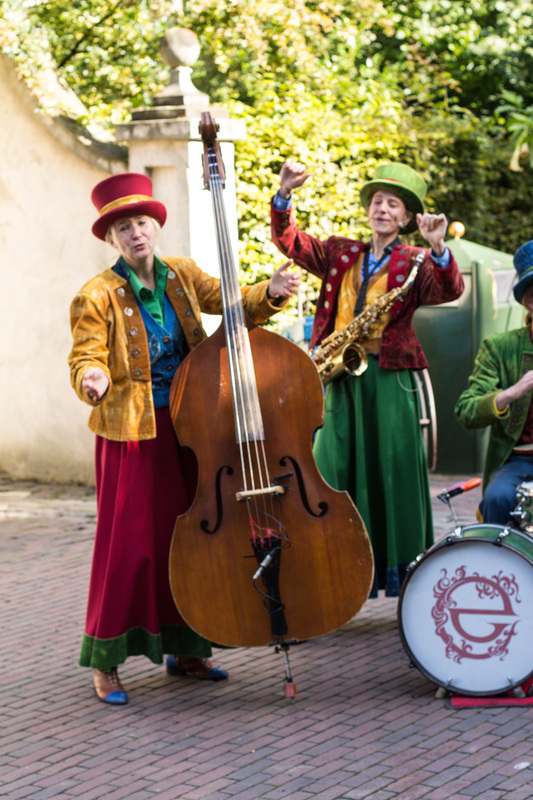 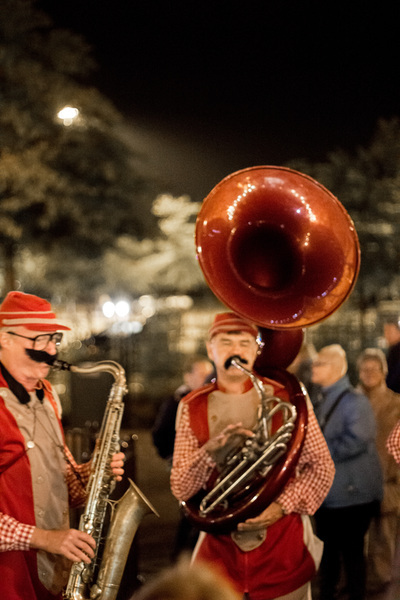 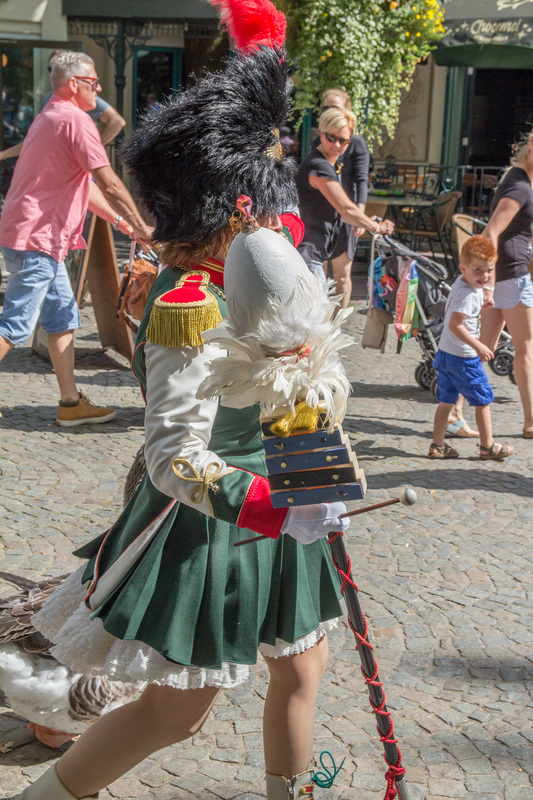 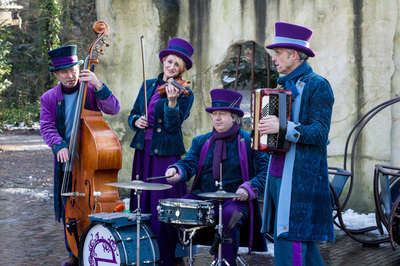 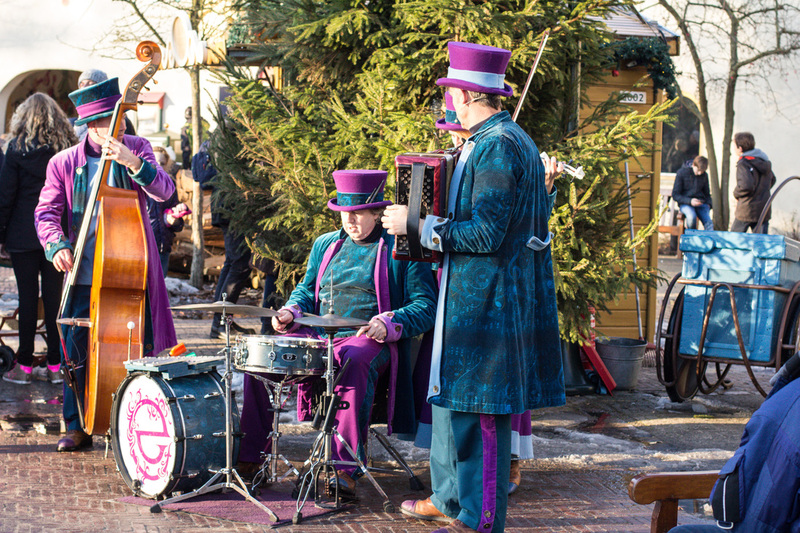 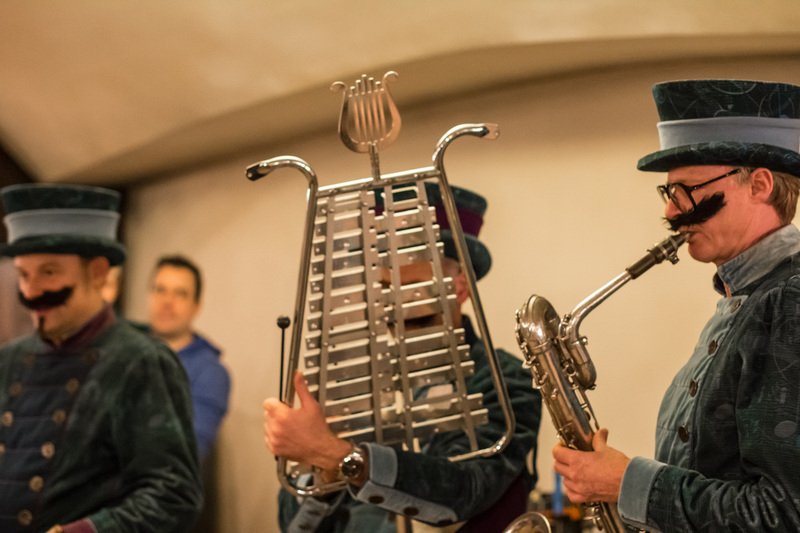 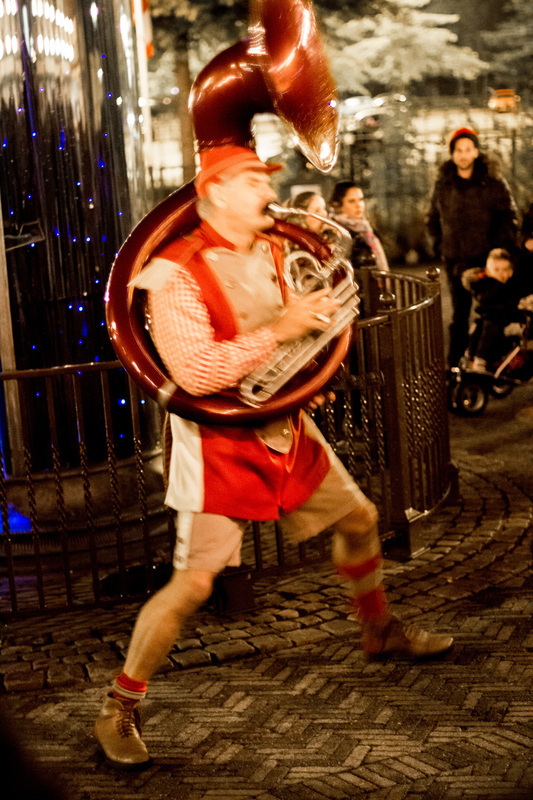 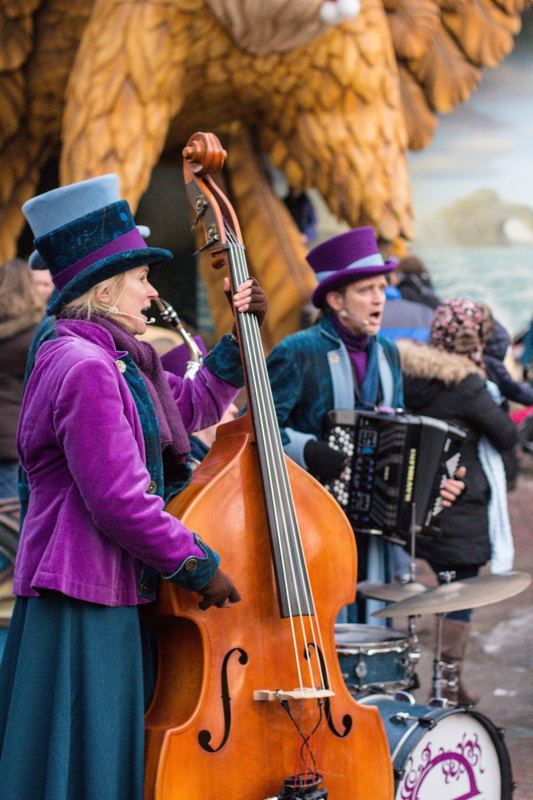 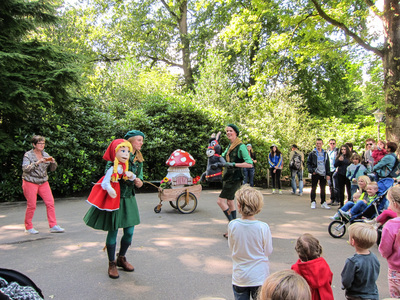 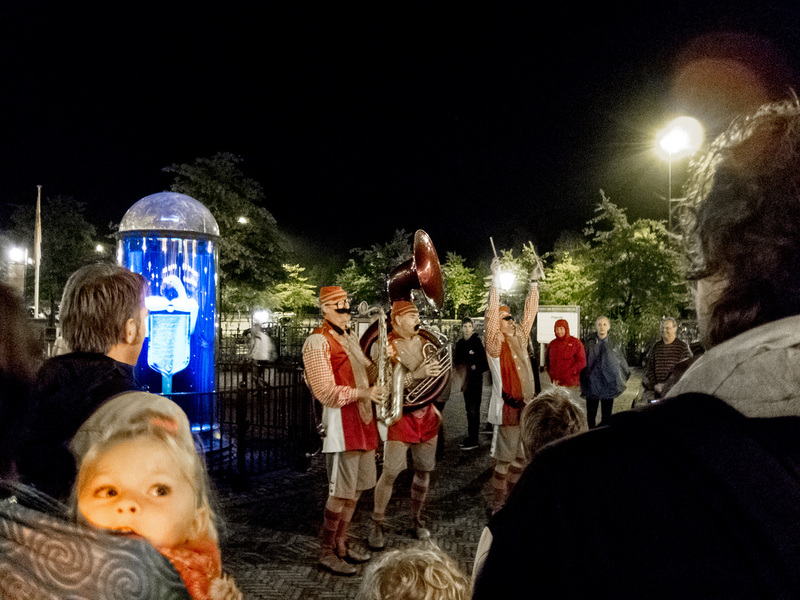 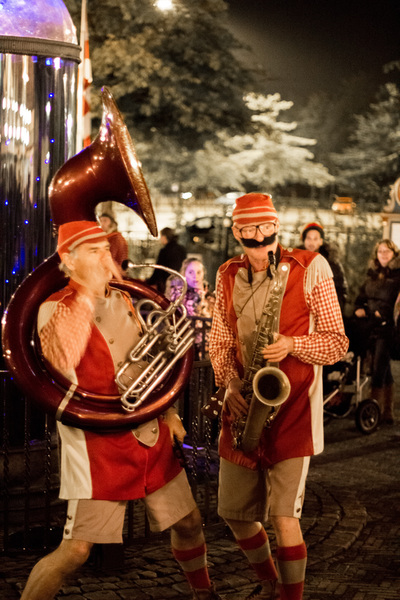 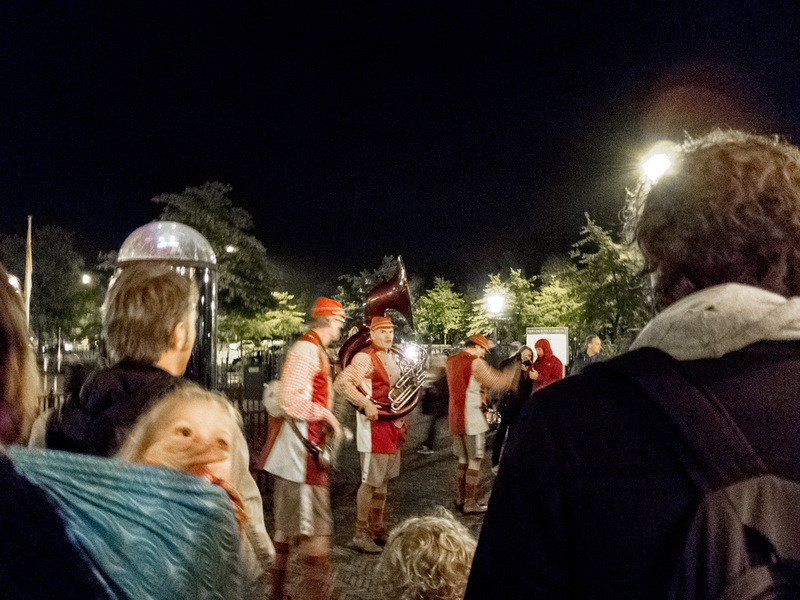 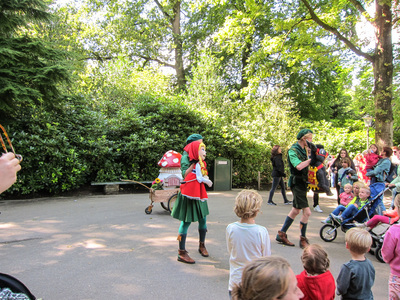 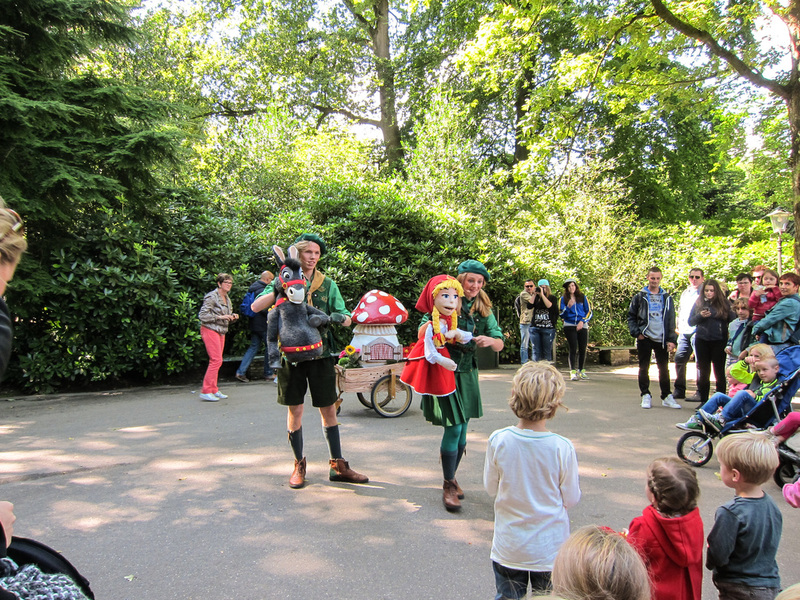 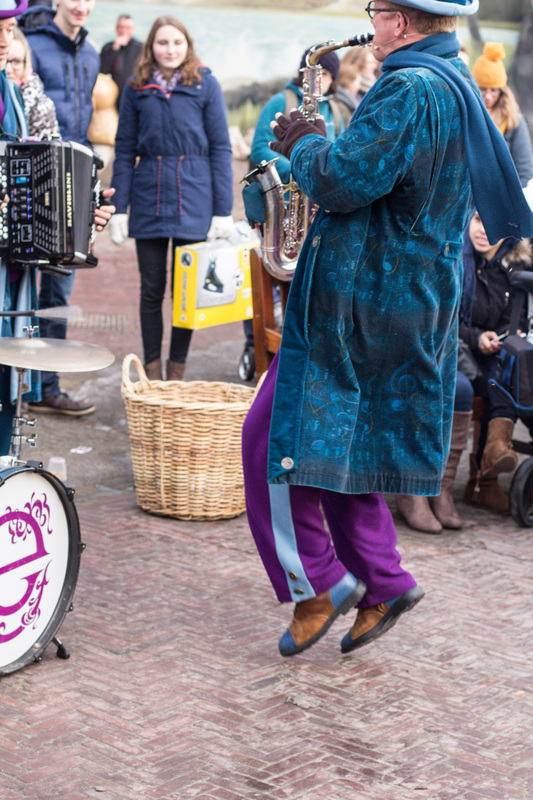 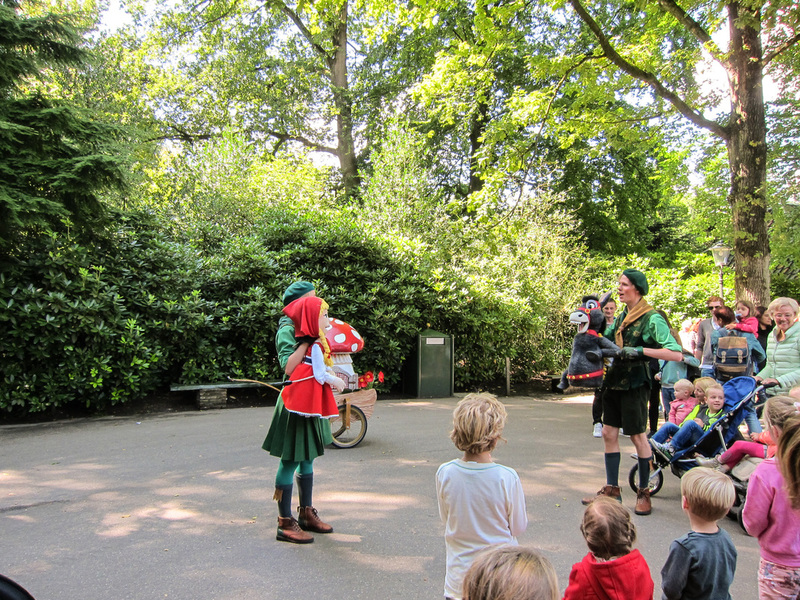 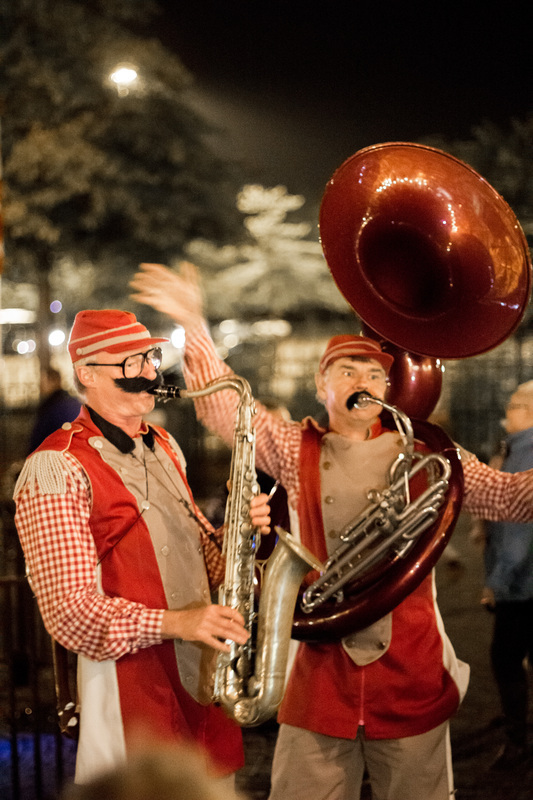 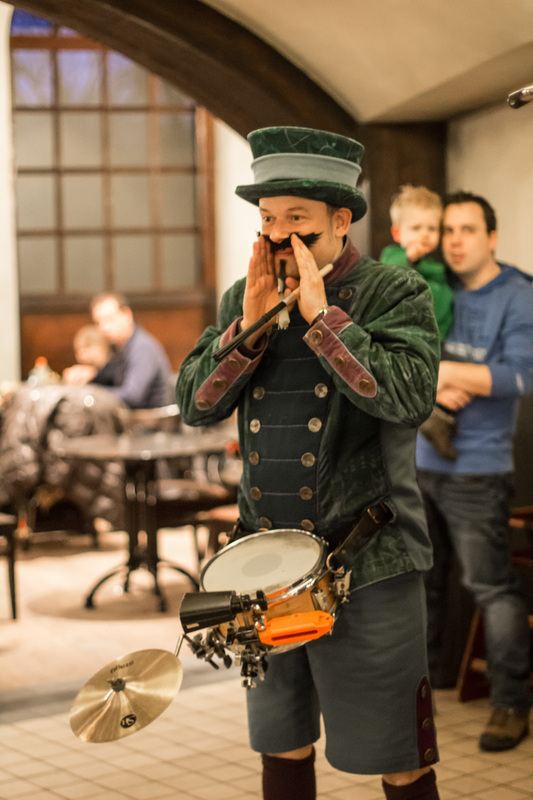 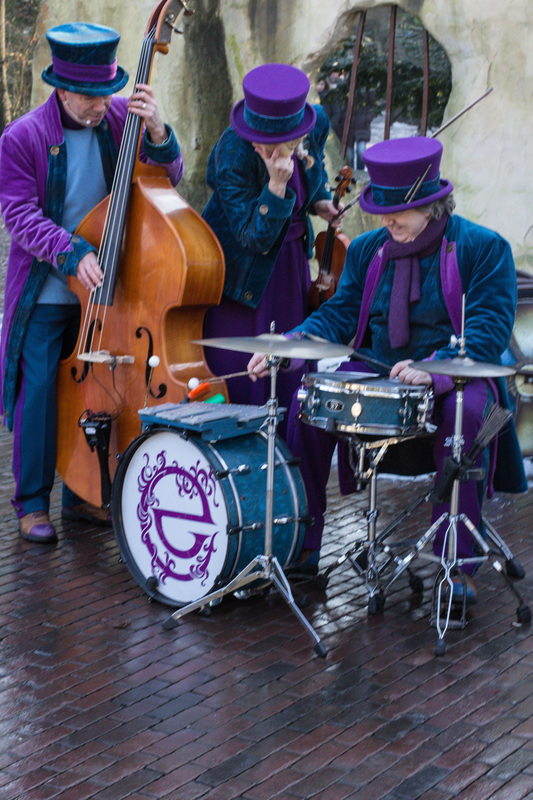 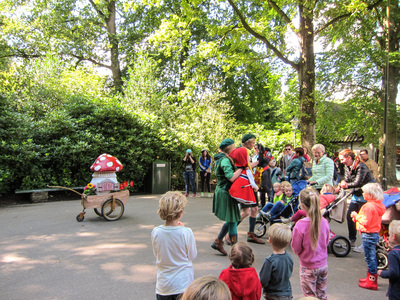 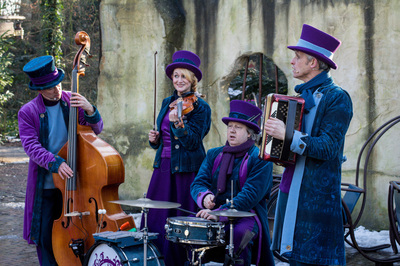 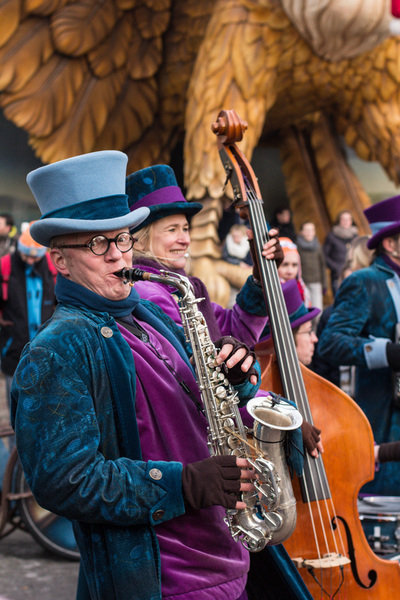 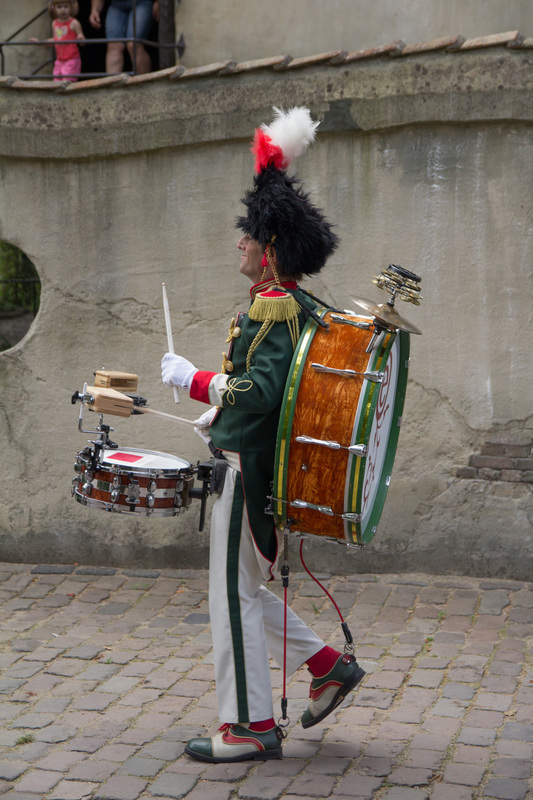 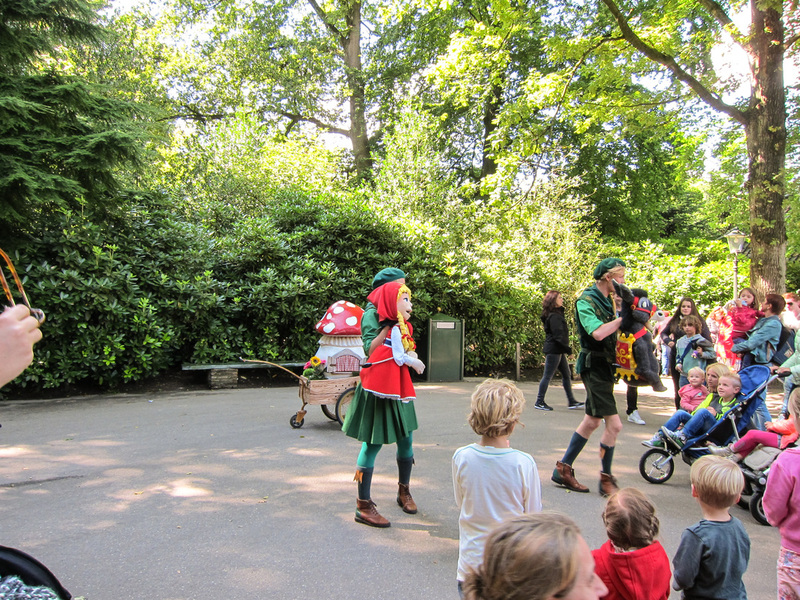 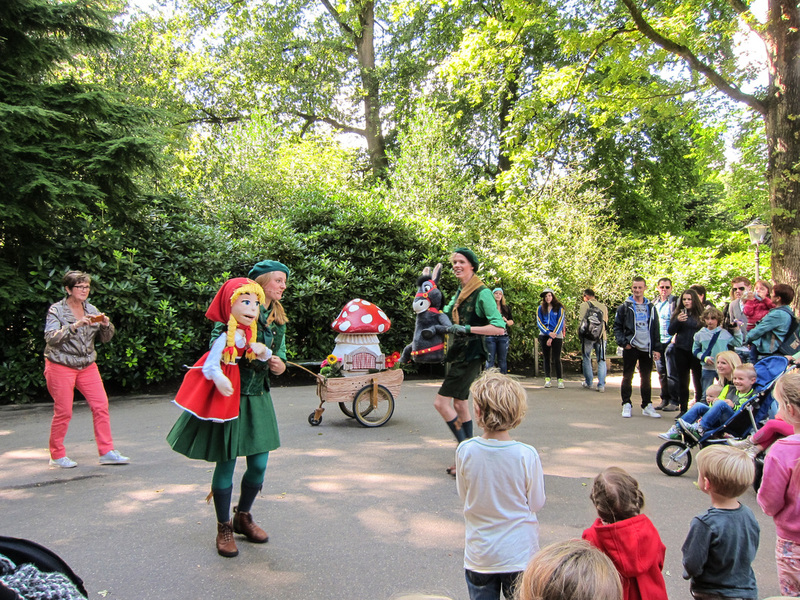 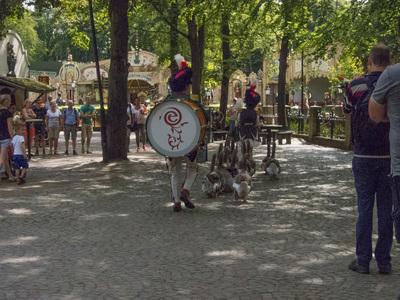 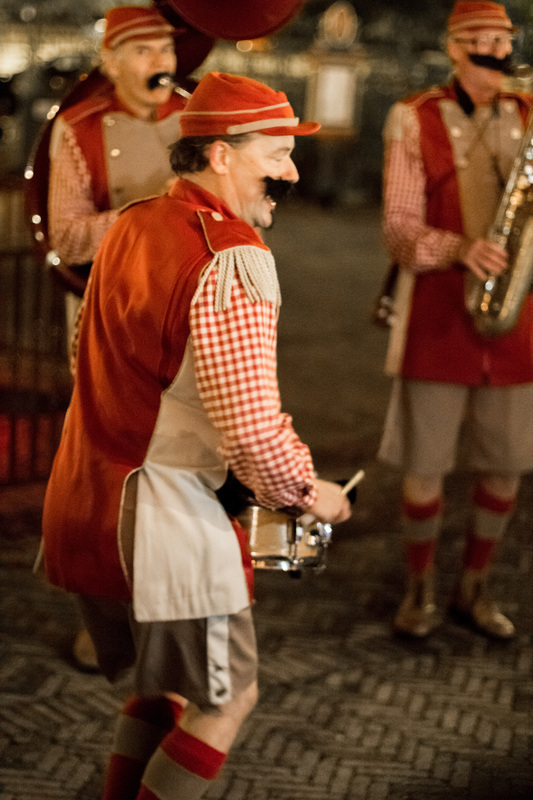 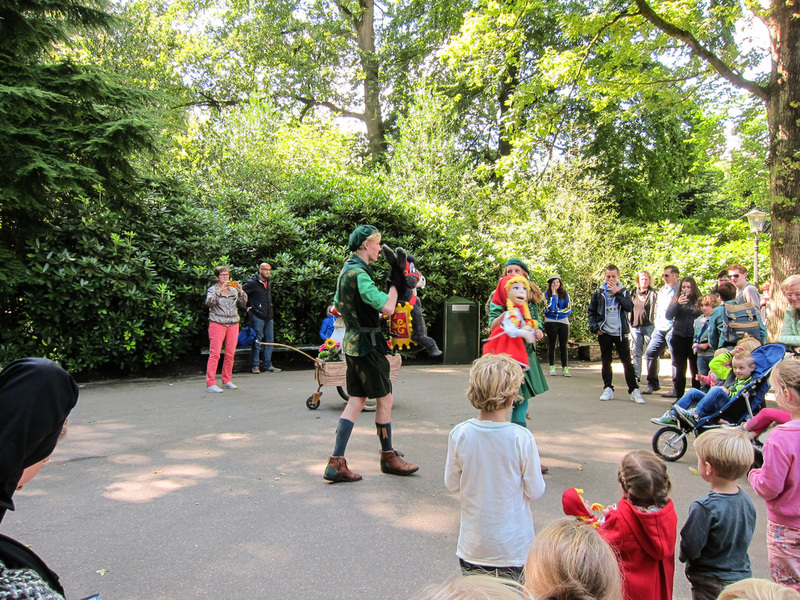 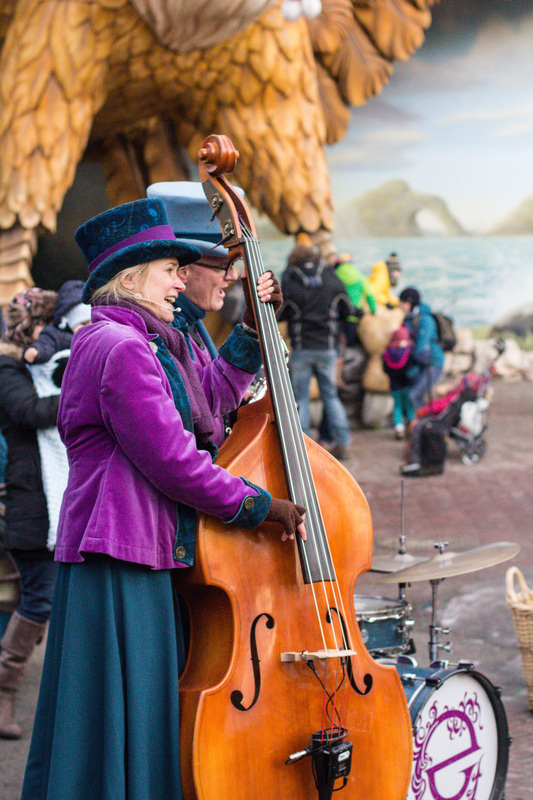 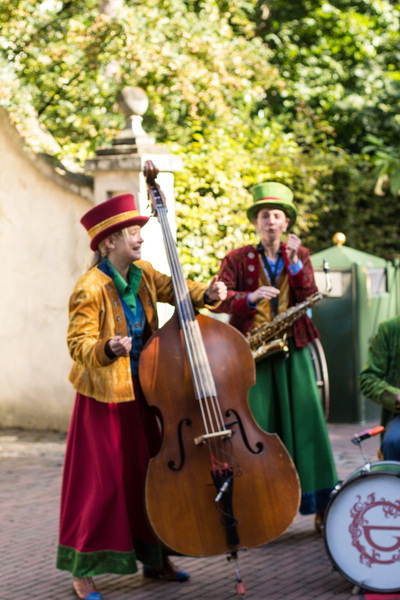 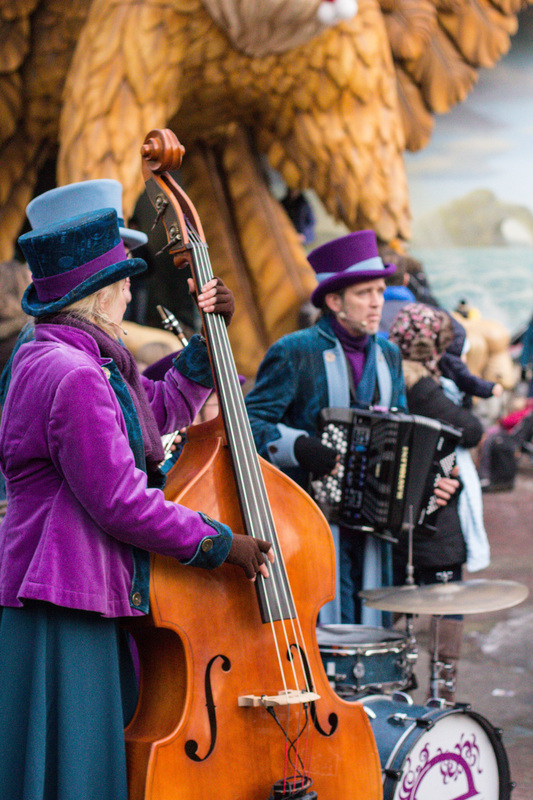 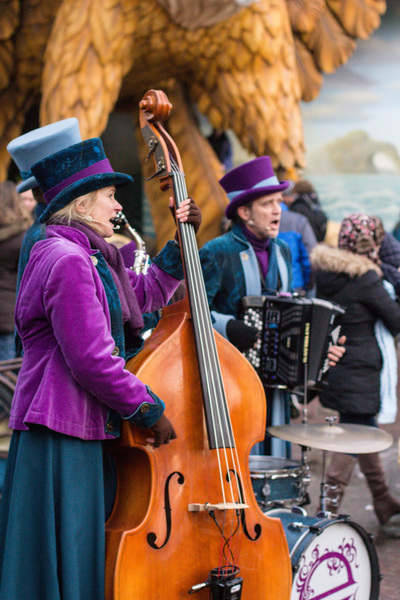 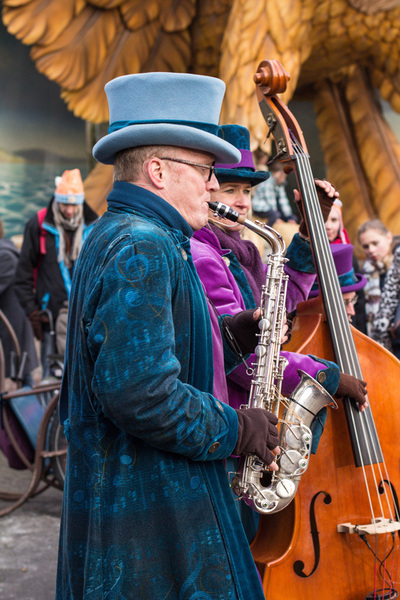 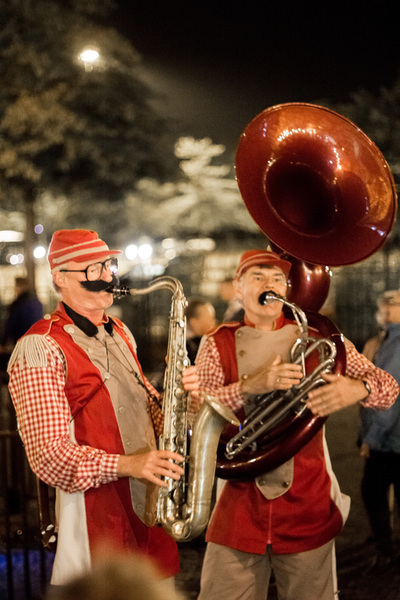 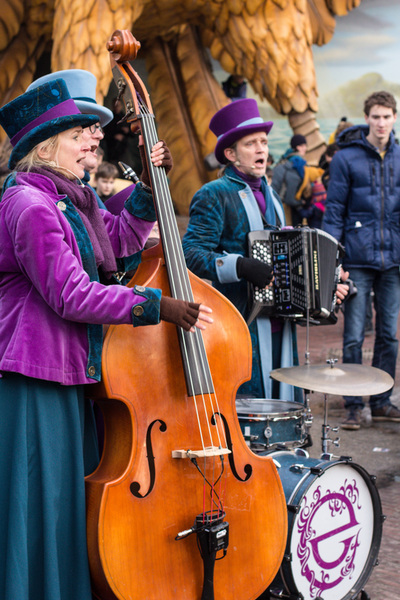 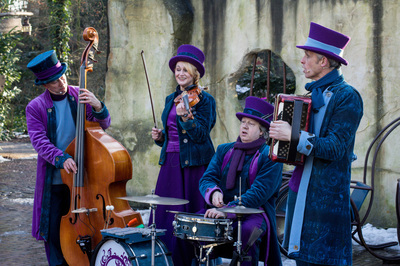 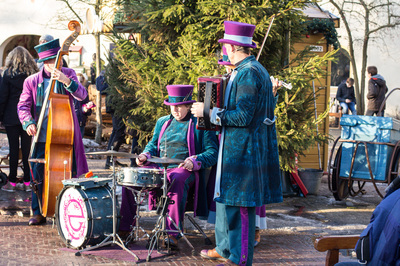 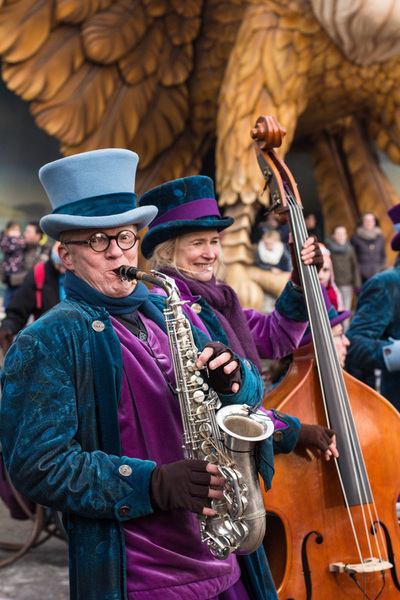 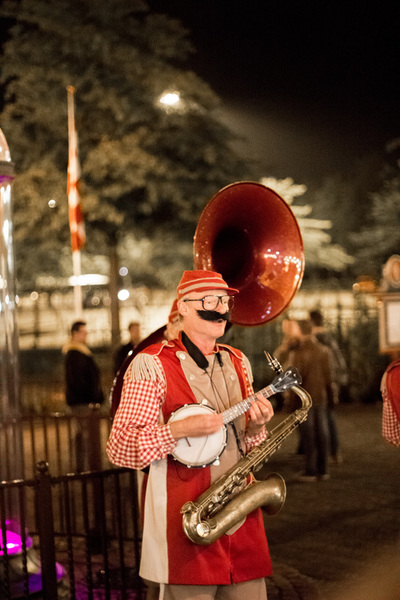 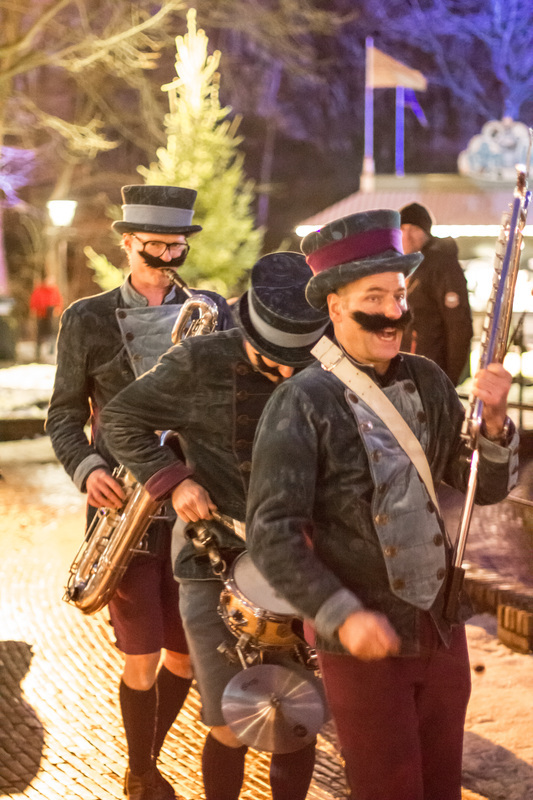 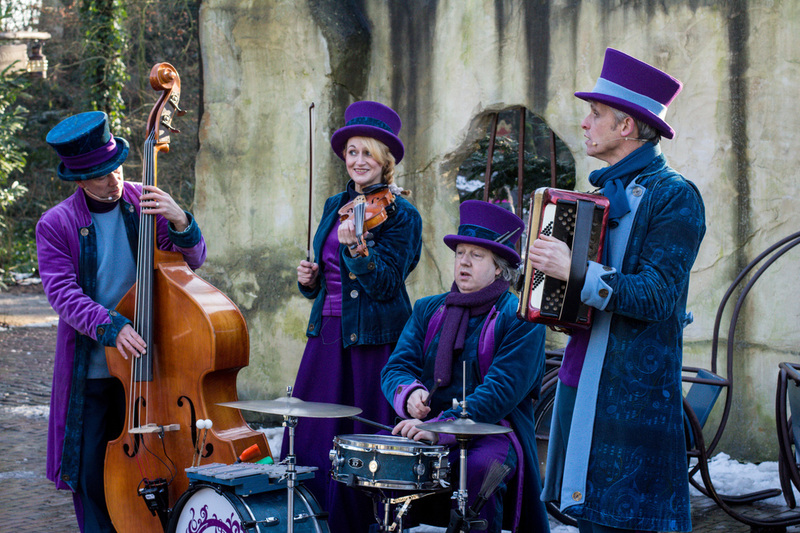 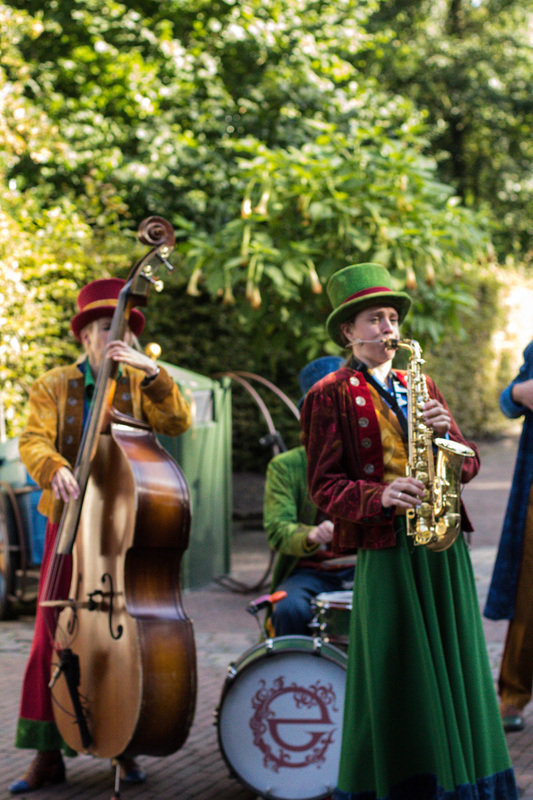 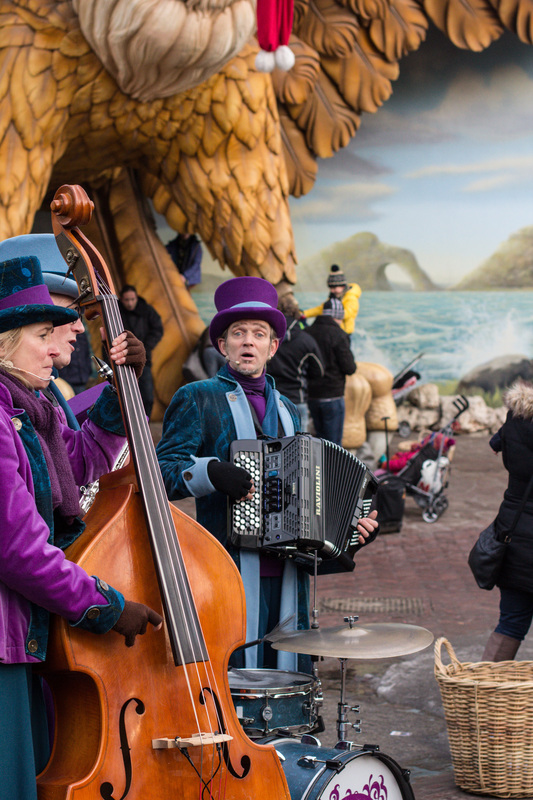 You are bound to bump into them wherever you go… inhabitants of the Fairytale Forest, amazing acrobats and merry musicians. Meet princess Anura the princess from the princess and the frog story who sets off Aquanura. 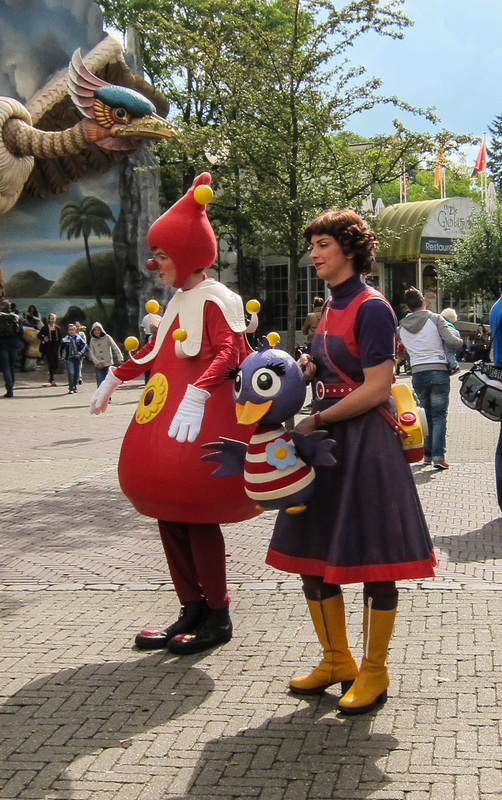 Meet Jokie and Jet from Carnaval Festival. 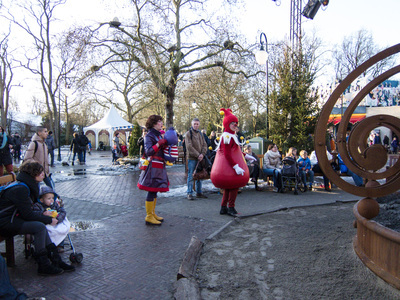 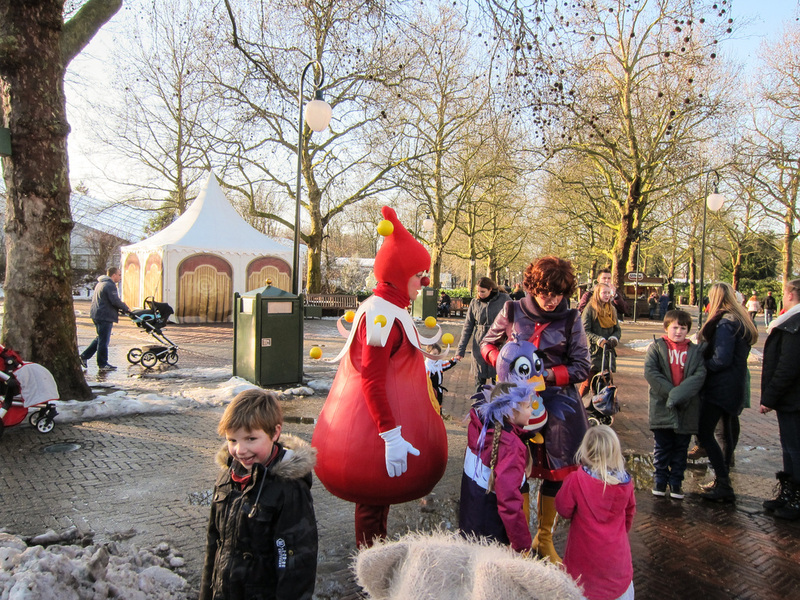 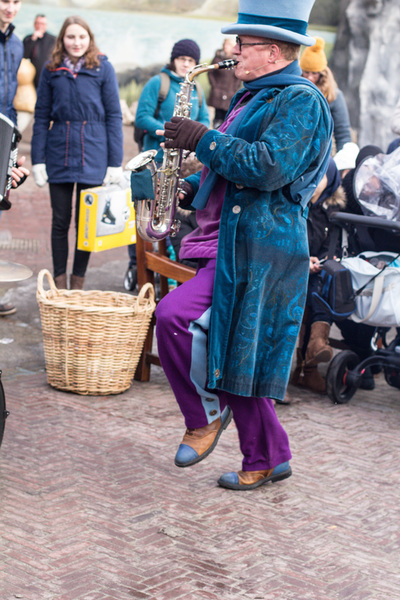 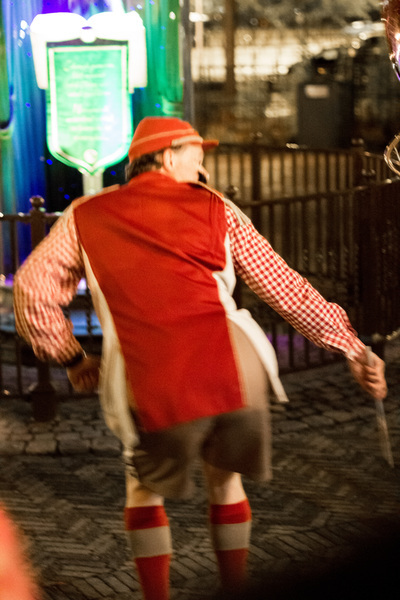 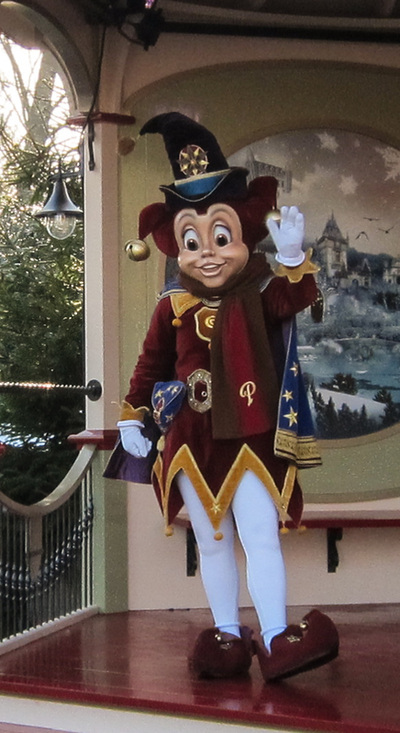 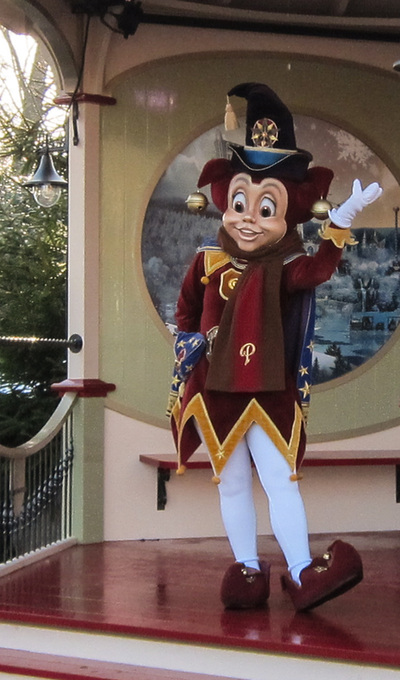 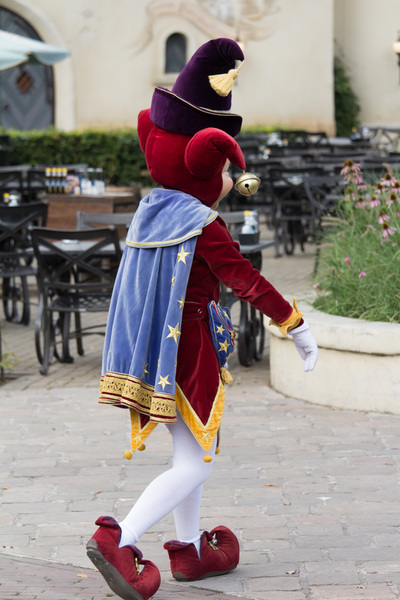 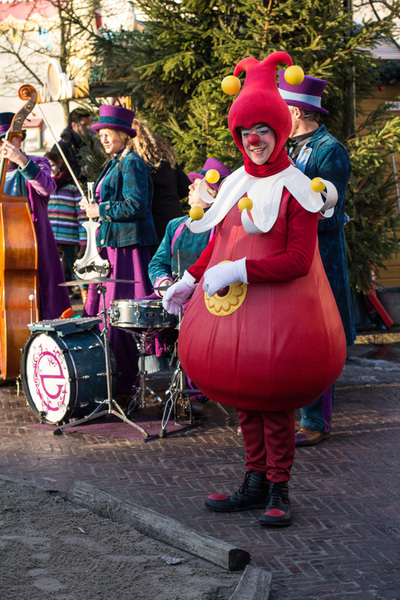 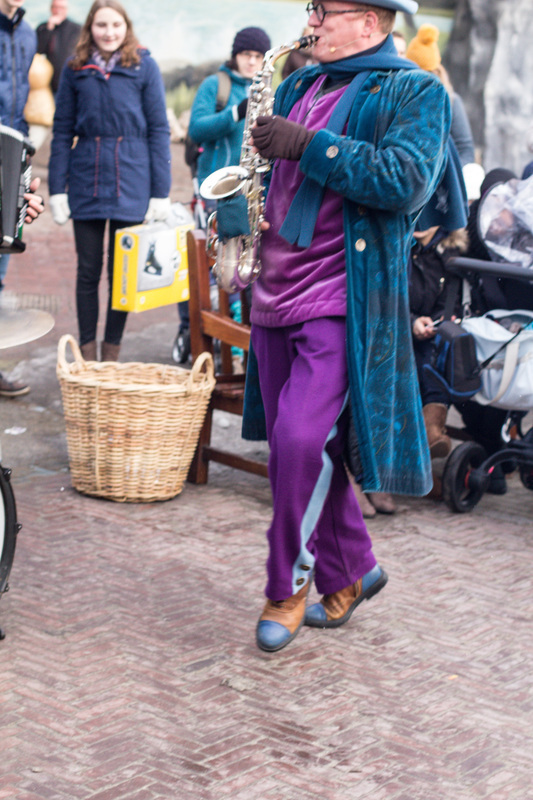 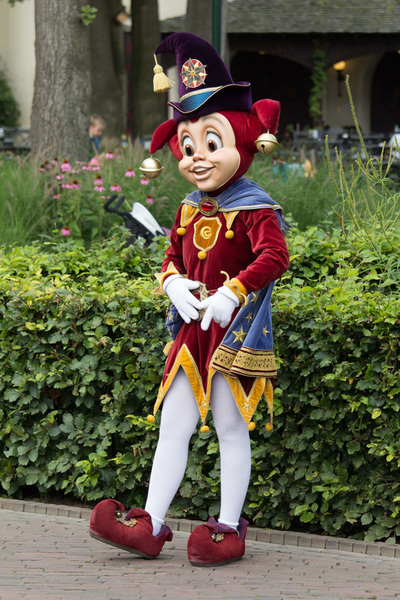 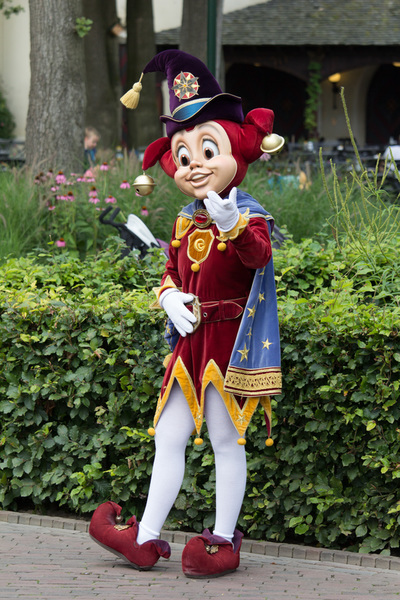 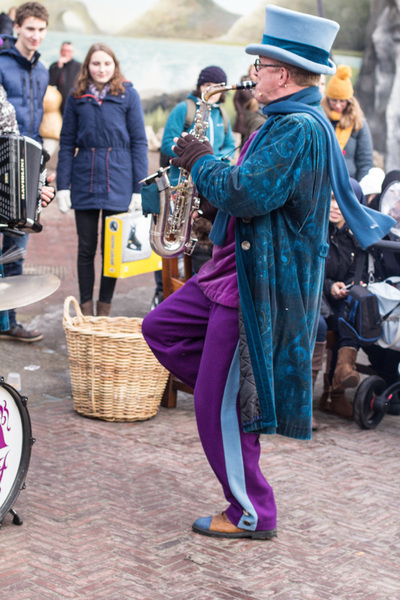 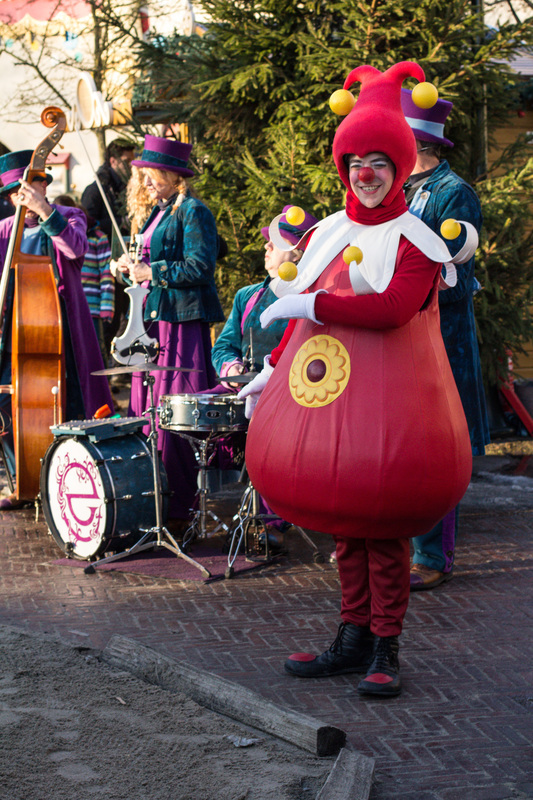 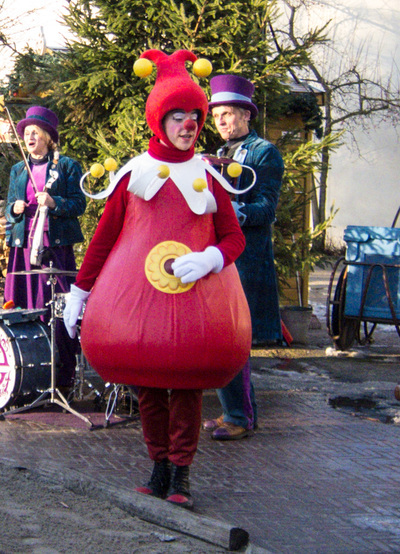 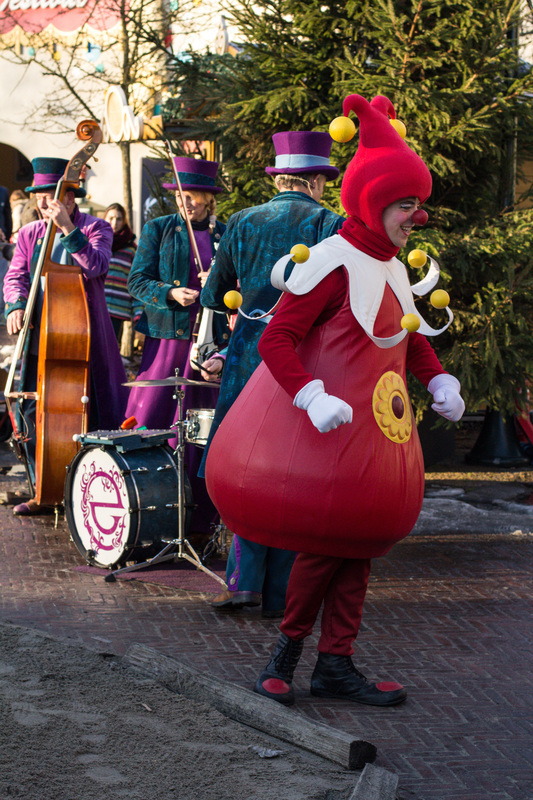 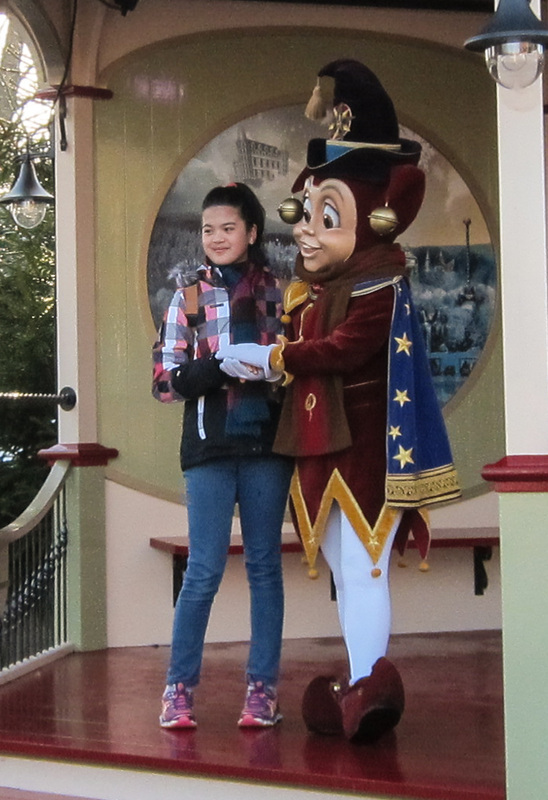 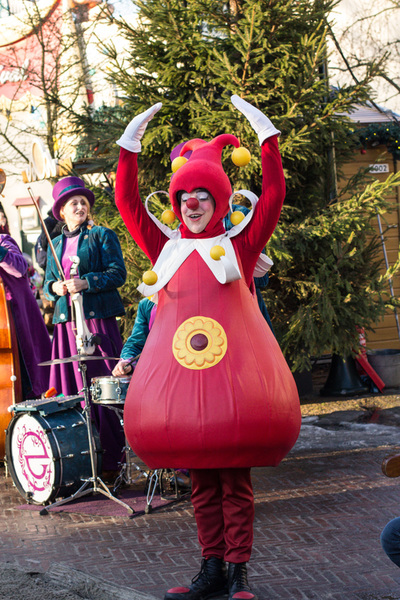 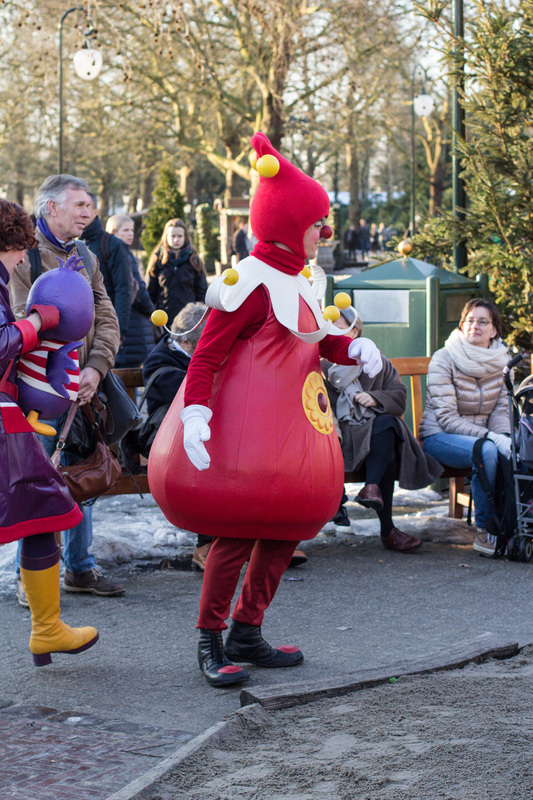 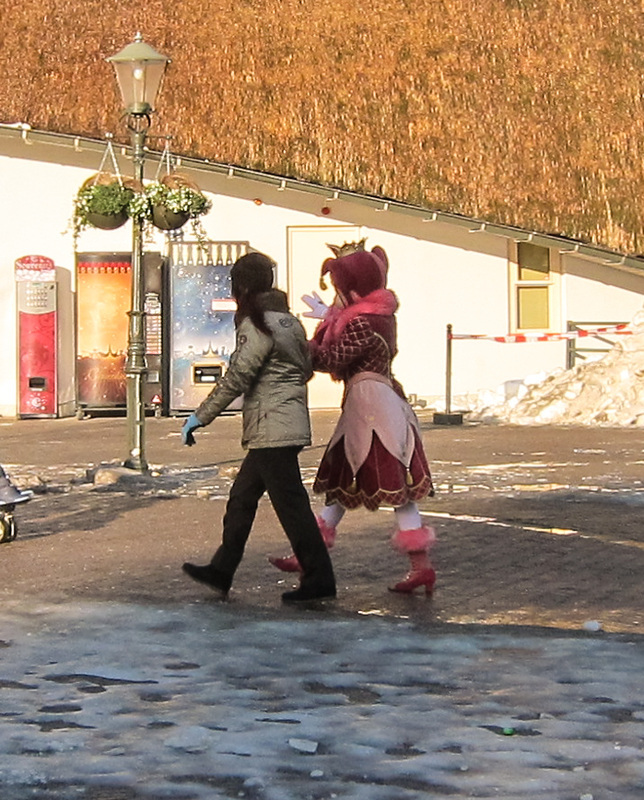 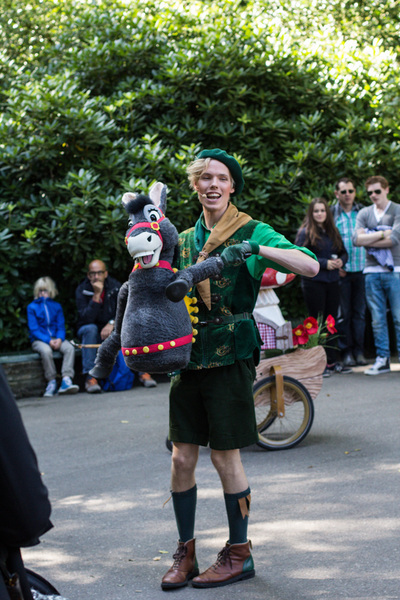 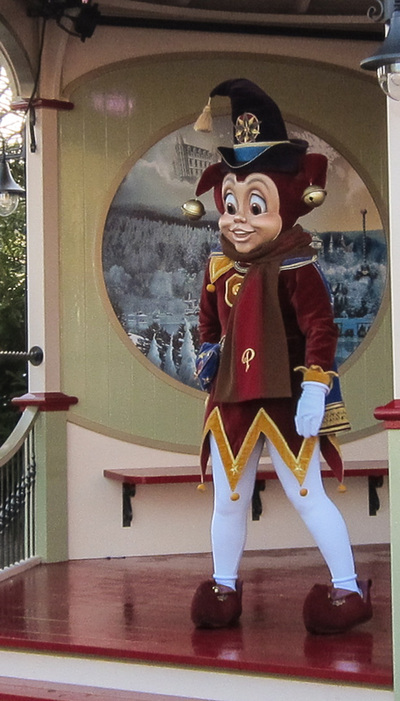 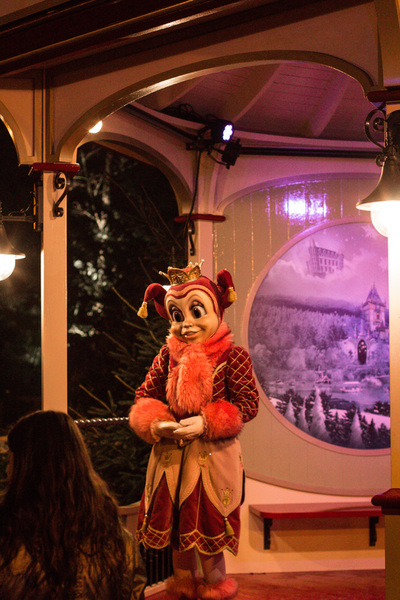 Meet Pardoes the magic royal jester and mascot of the park. 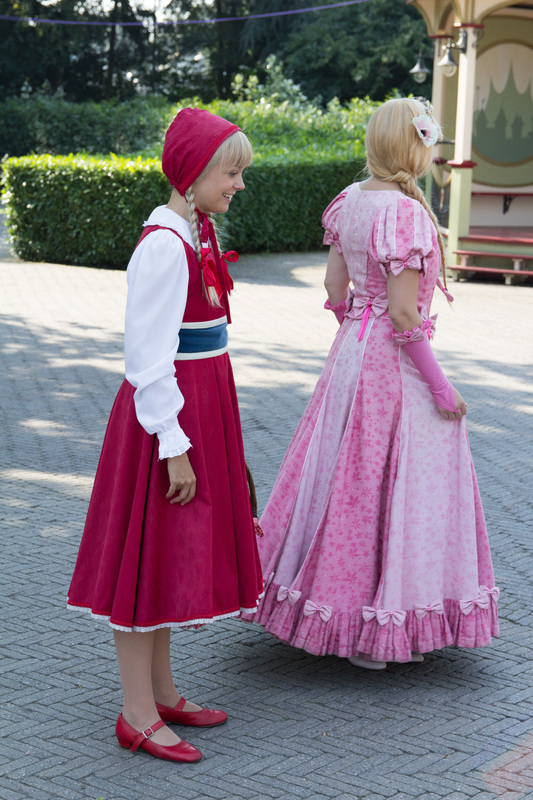 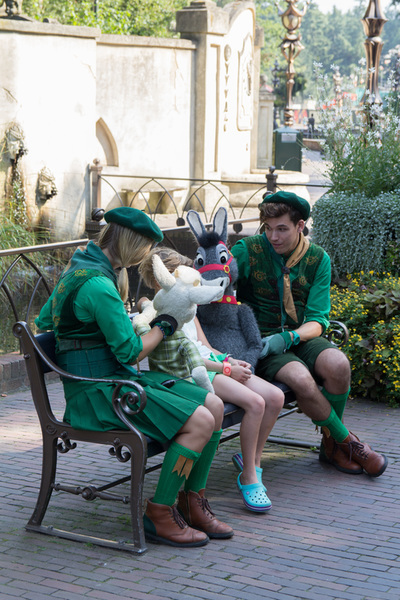 Meet and greet your fairy tale friends! 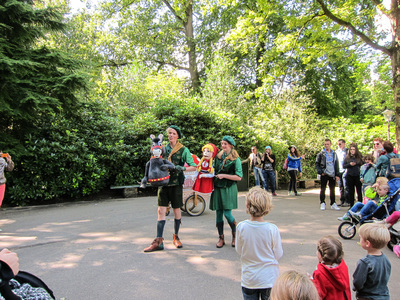 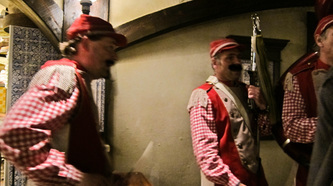 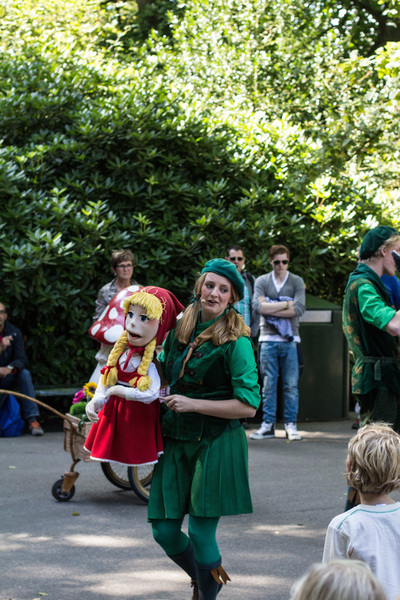 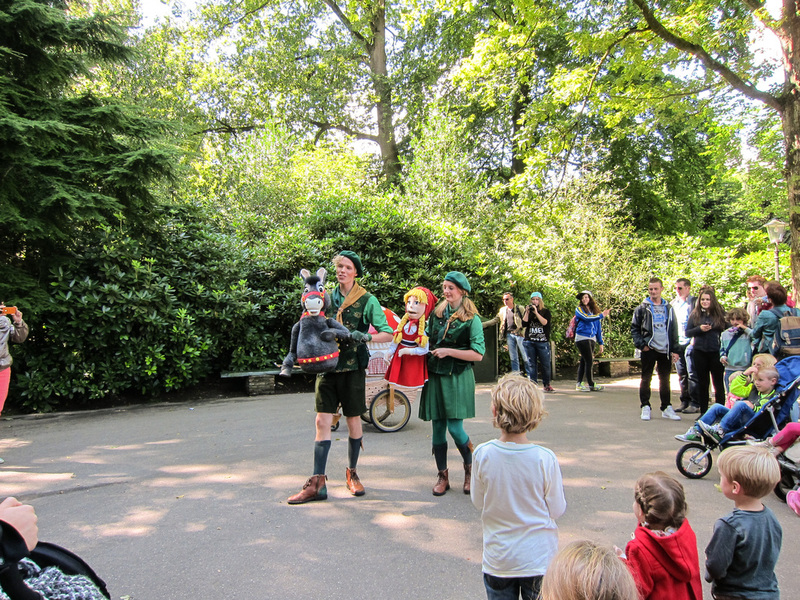 Meet the Fairy tale puppets and puppeteers from the Fairy Tale Park Show. 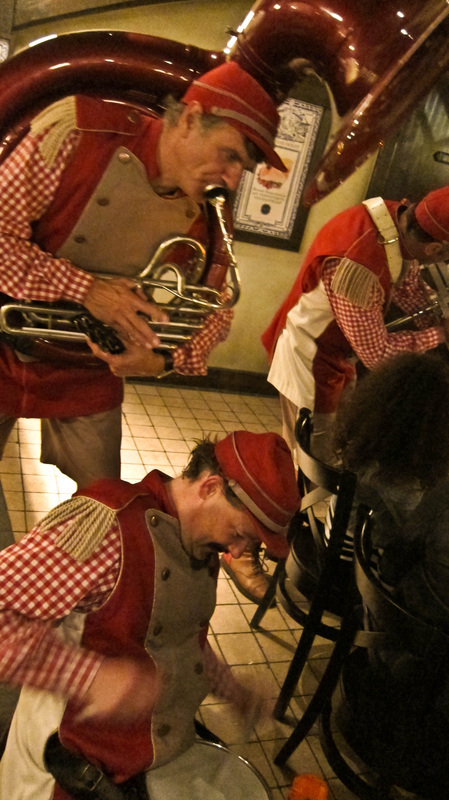 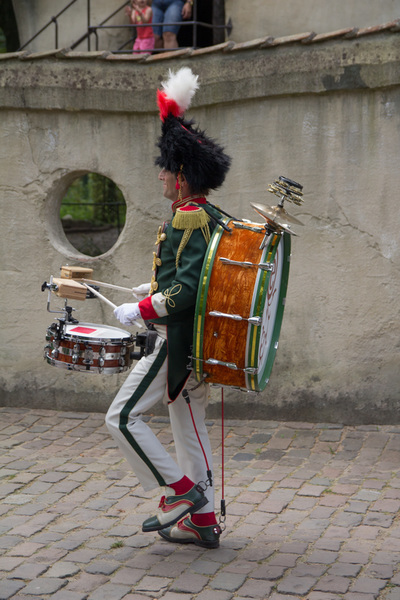 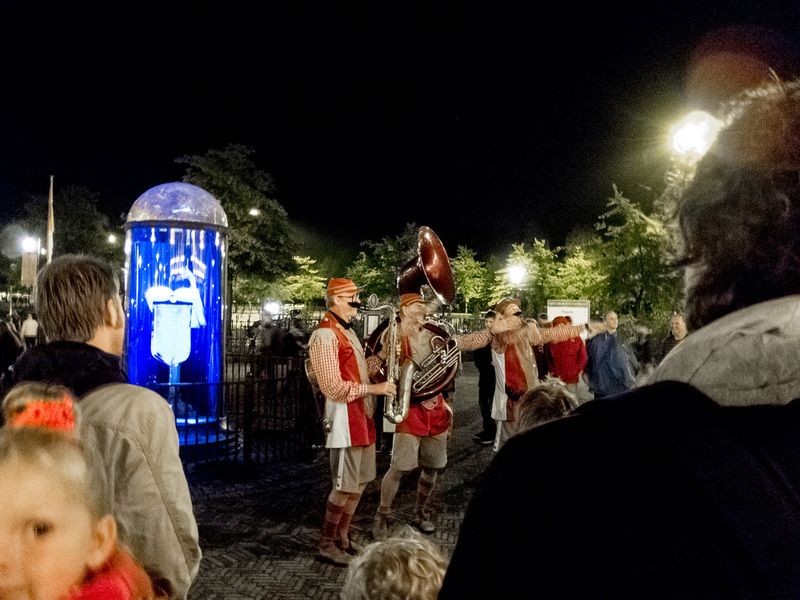 Four musical virtuosos play their instruments and their audience. They are theatrical, comical and every song is an event on its own. 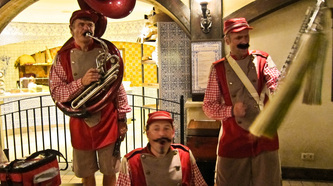 The Harmony Of Three is played by The Funfare, This is a minifun fare of a very theatrical trio of singers and comedians. This nostalgic streat theatre will stir young and old.